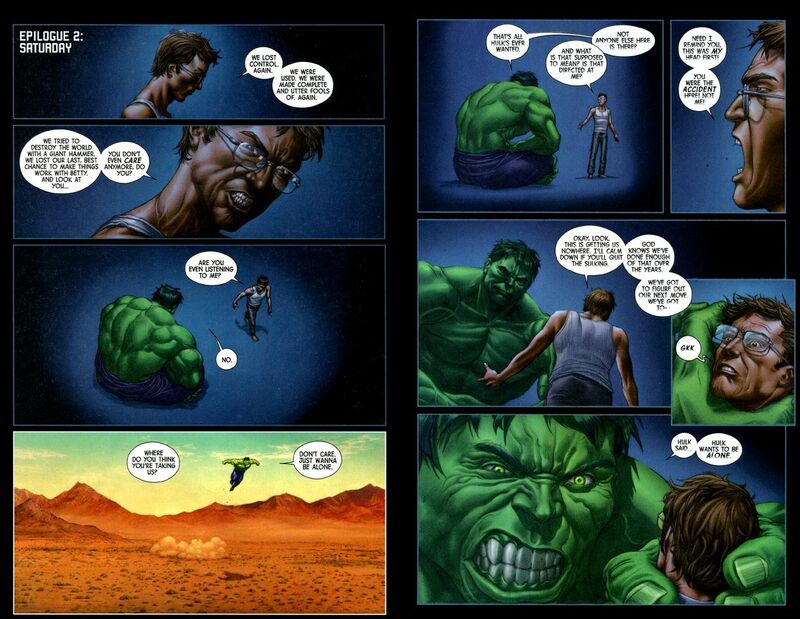 The Professor Hulk. 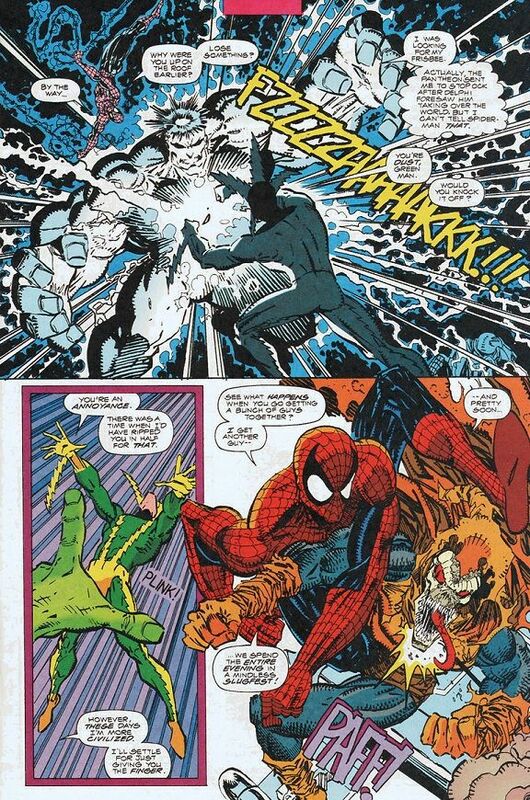 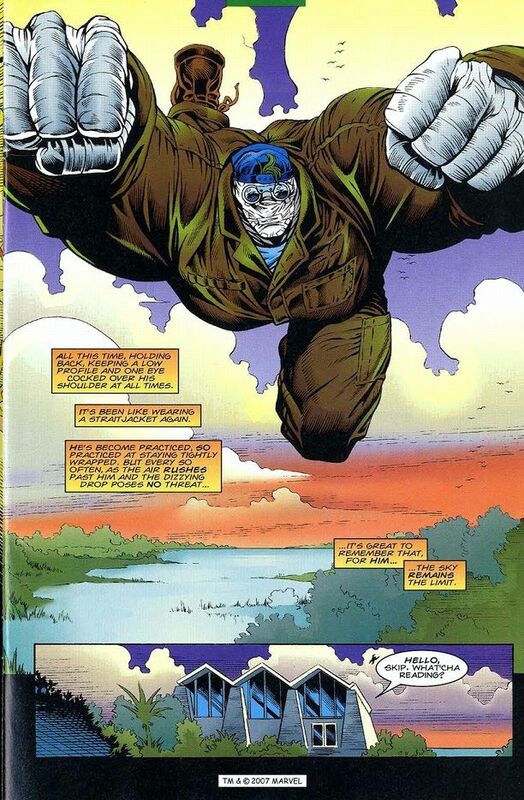 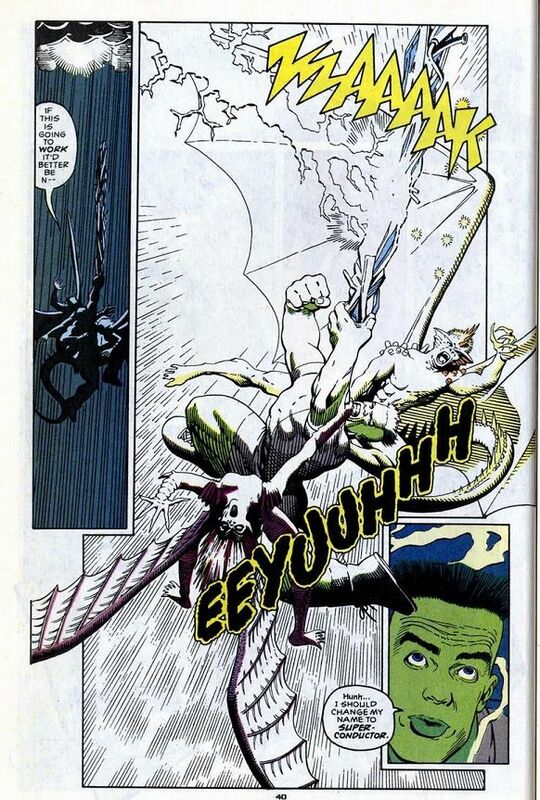 Originally thought to be a merger of the Banner, Savage Hulk and Gray Hulk identities, it was later revealed that this persona was a wholly distinct fourth one. 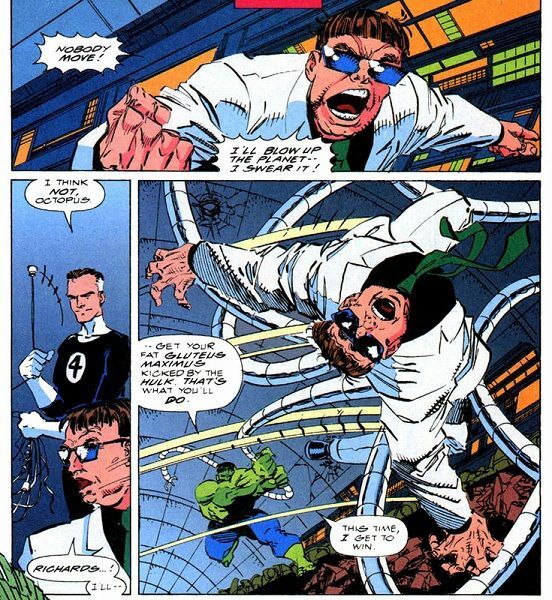 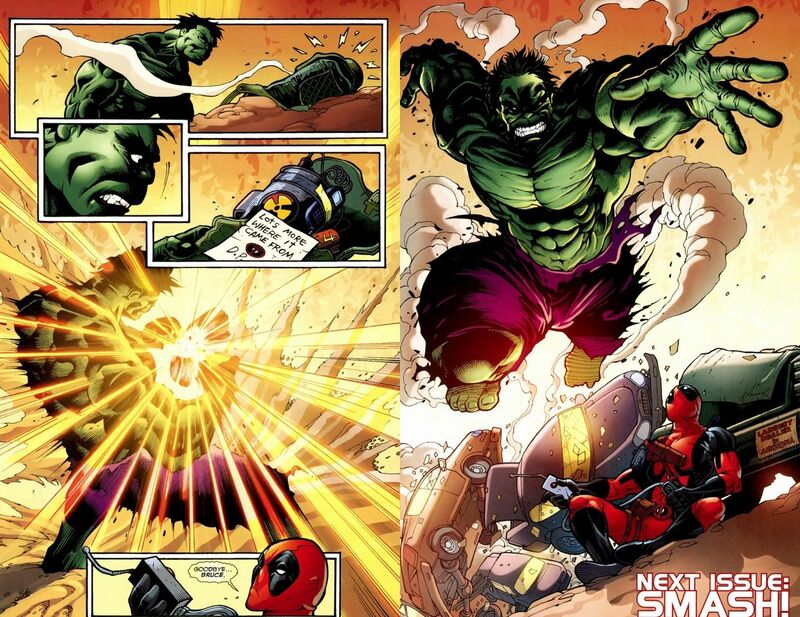 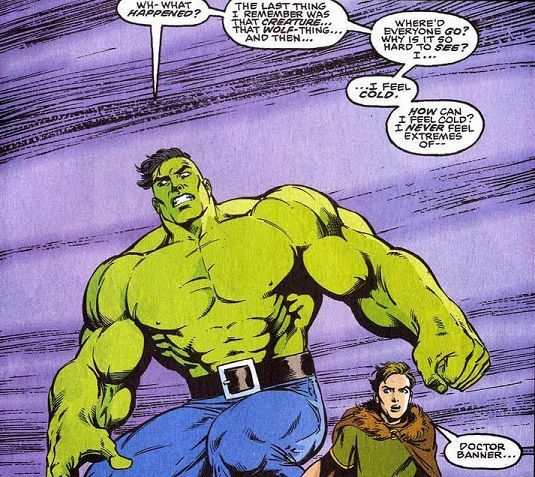 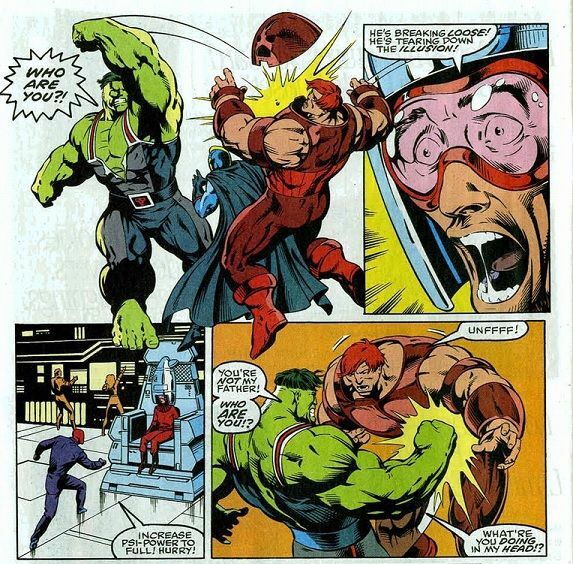 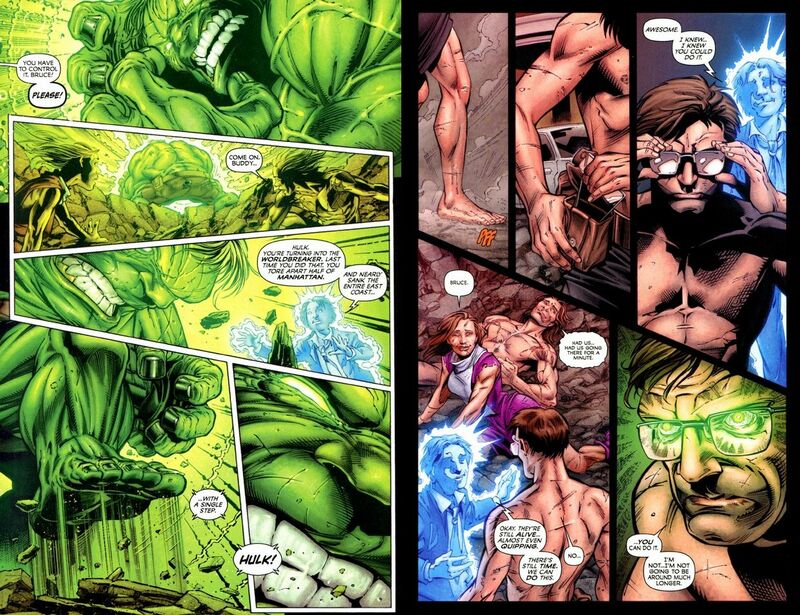 The Professor Hulk possessed all of Banner's intellect, the Savage Hulk's strength and Mr. Fixit's attitude. 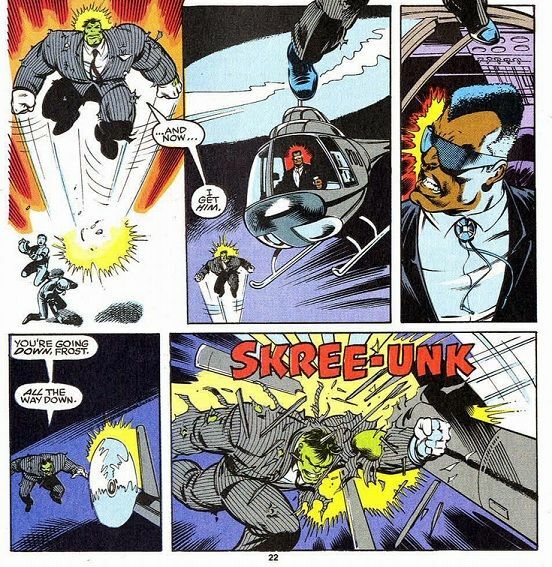 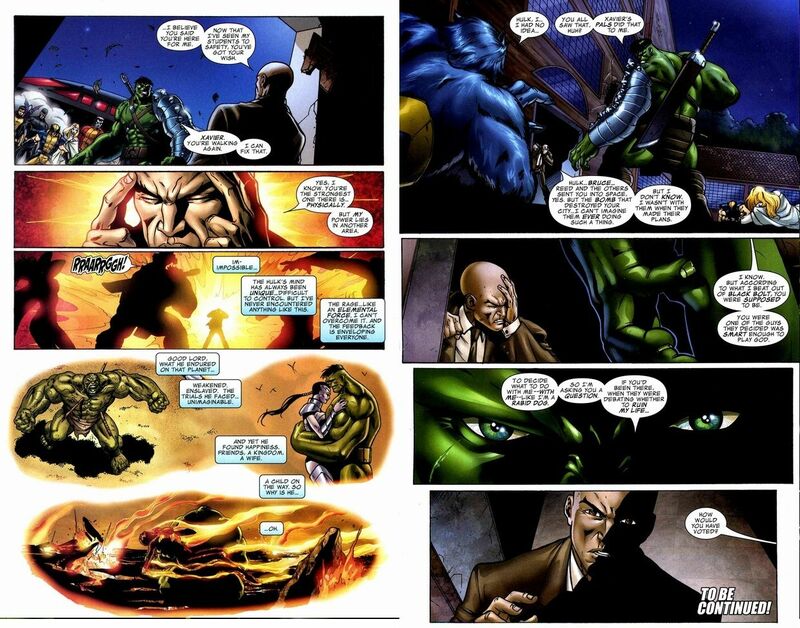 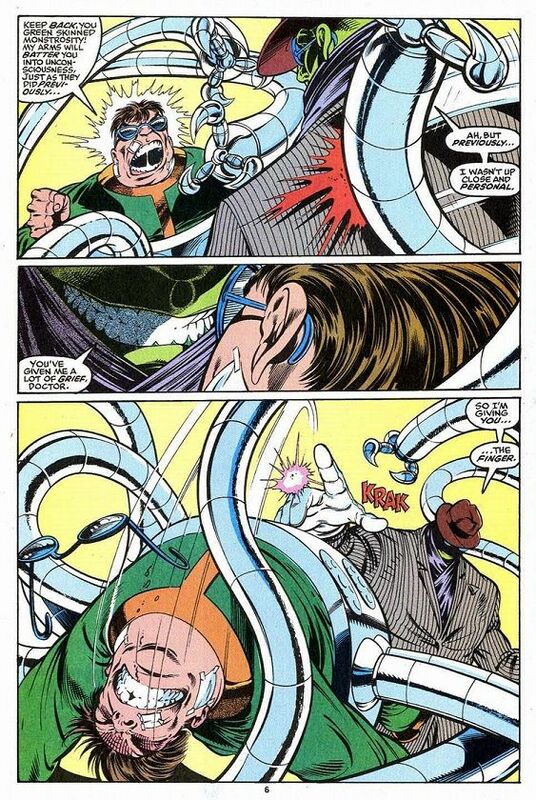 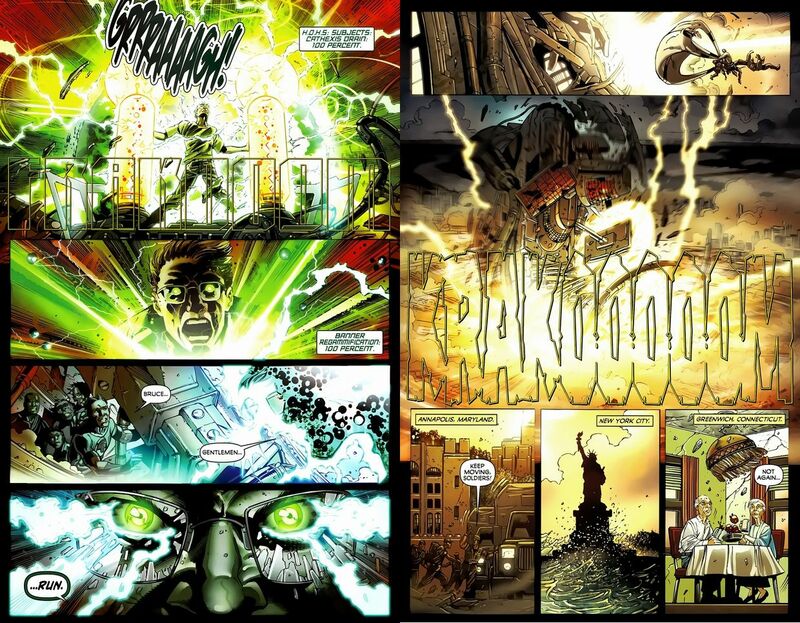 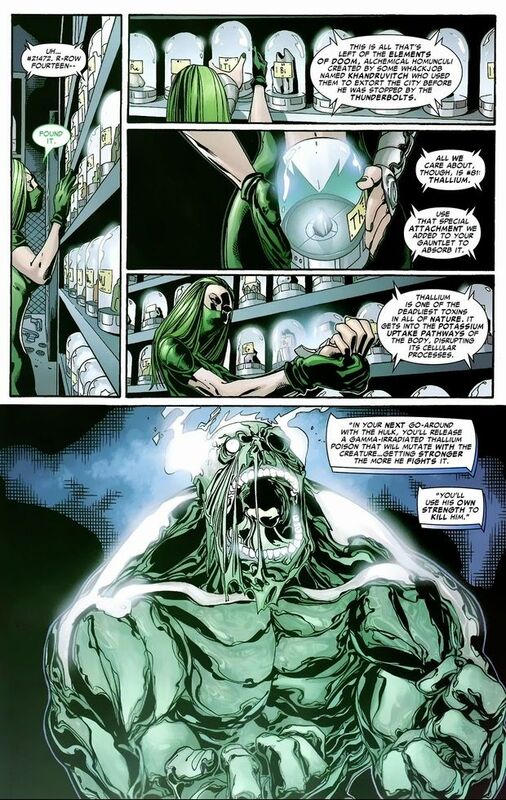 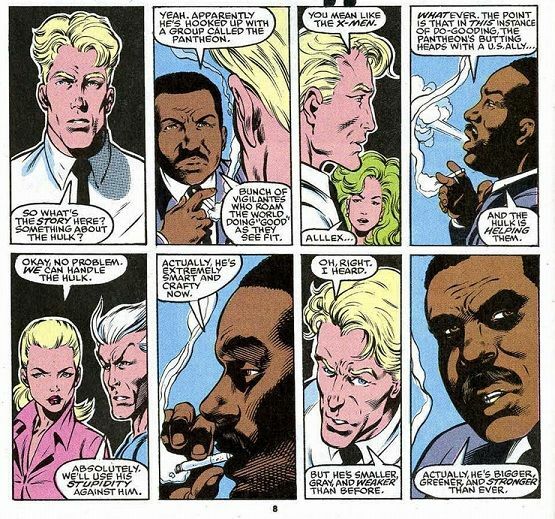 Due to brain damage caused by shrapnel, the Professor Hulk persona would warp into the Maestro, a self-styled villain for the rest of the world to unite against. 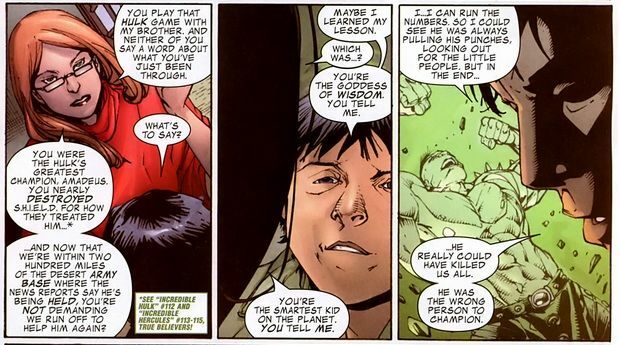 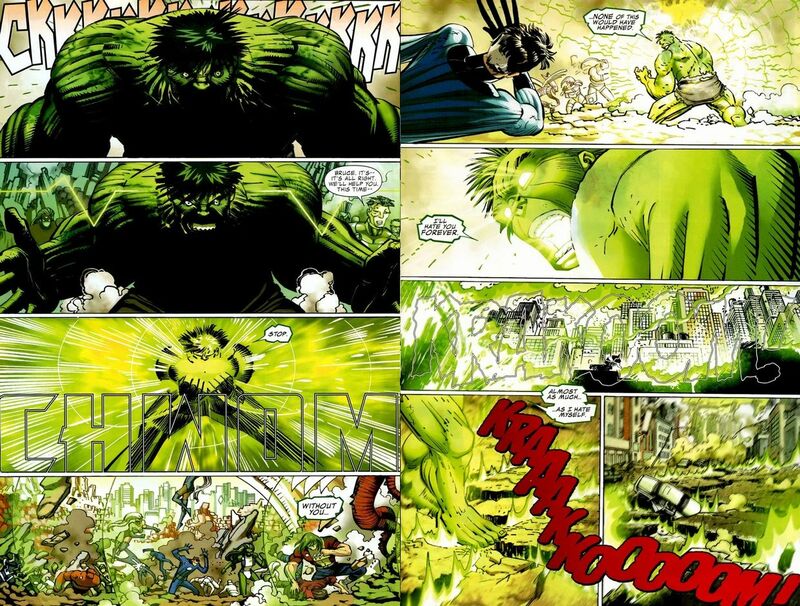 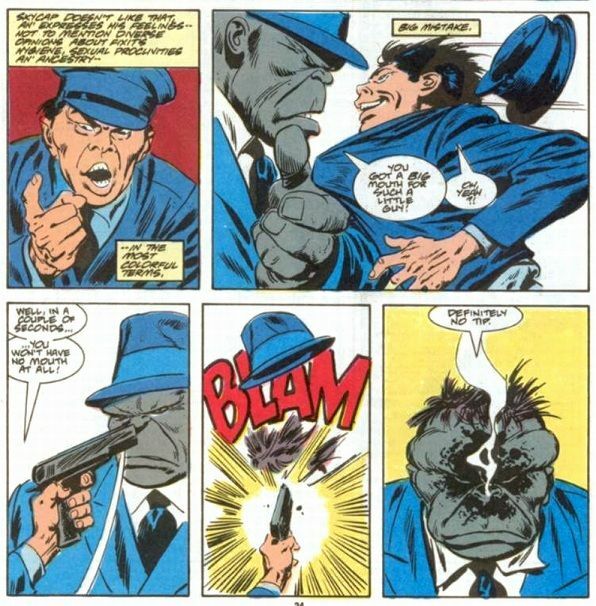 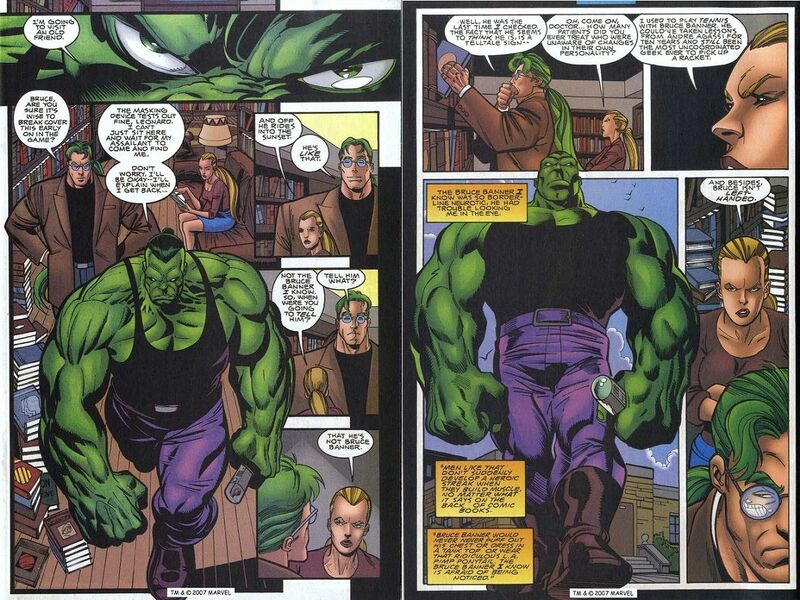 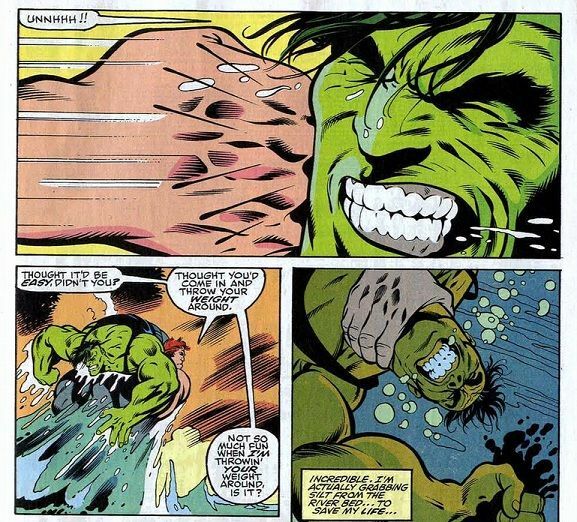 In terms of strength, the Professor Hulk actually started off much stronger than the Savage Hulk. 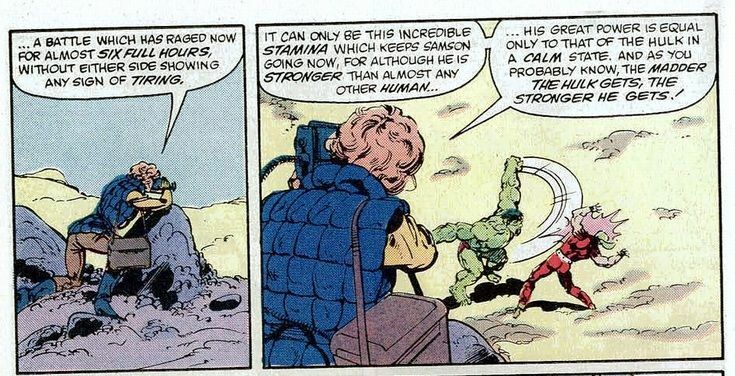 He also could ramp up his strength at a rapid pace. 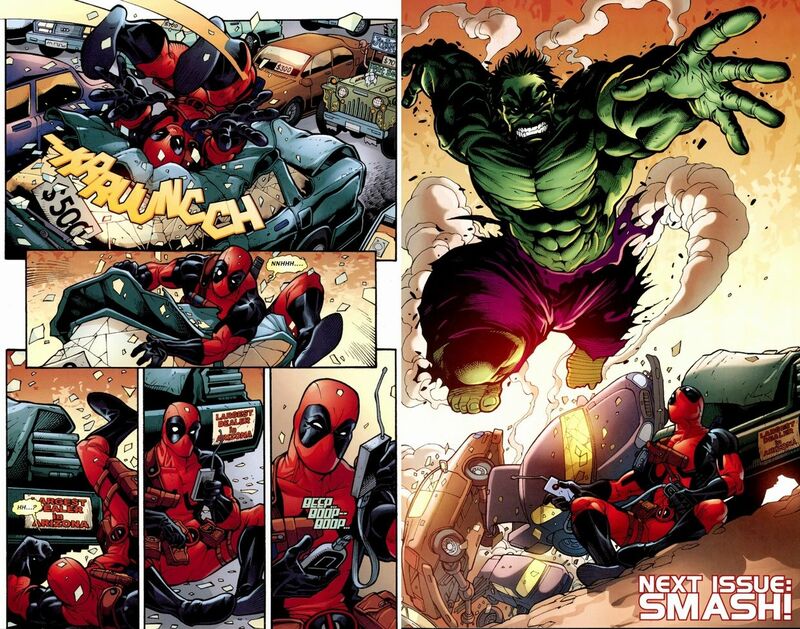 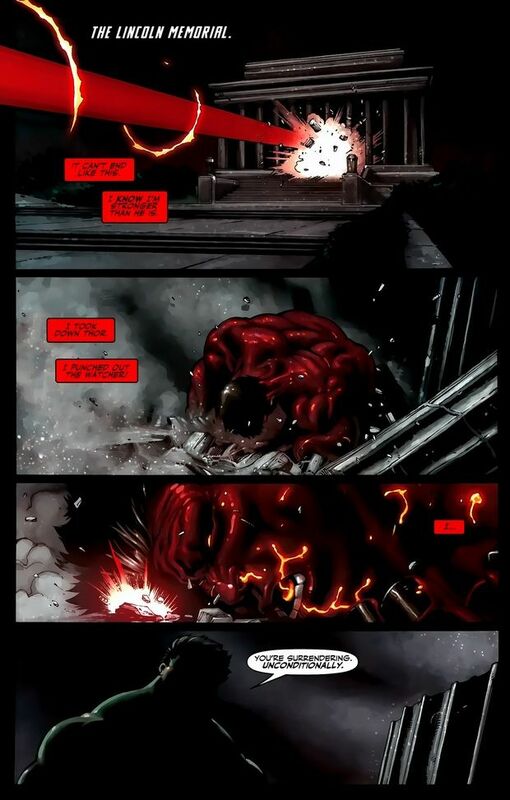 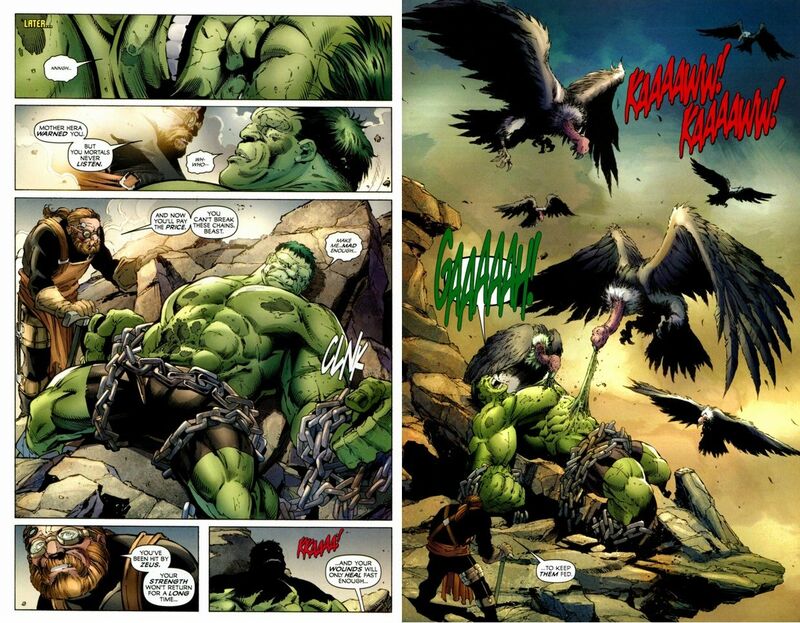 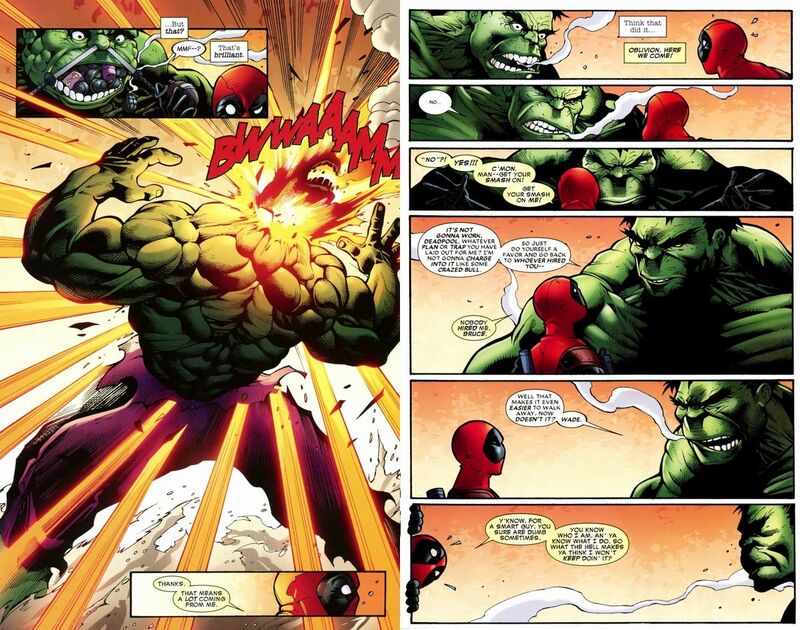 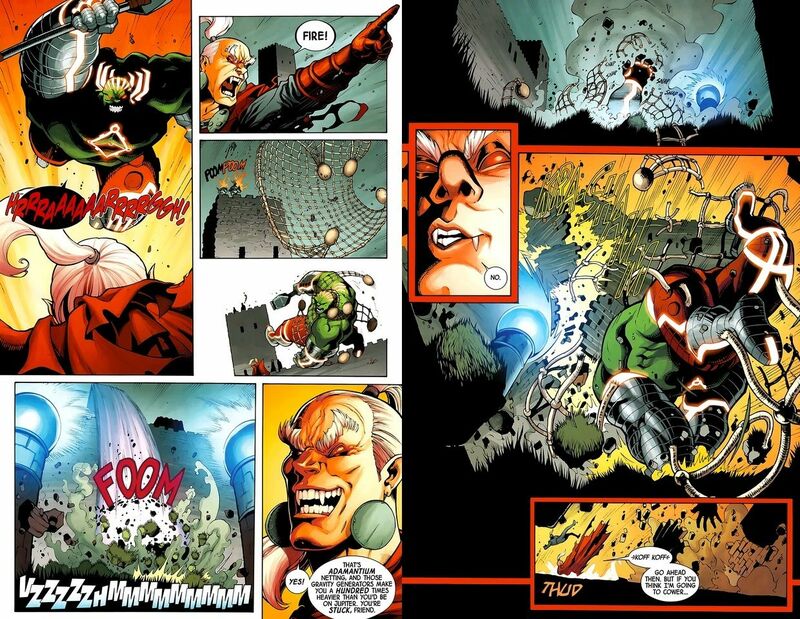 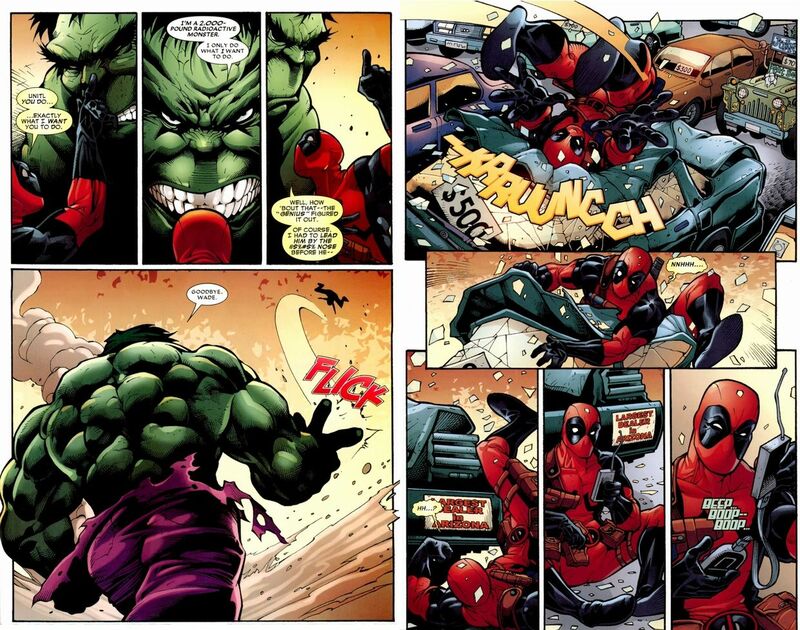 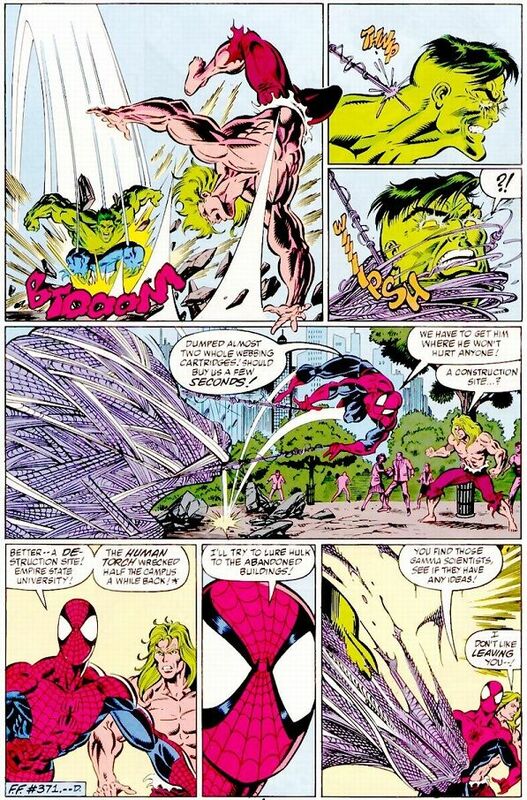 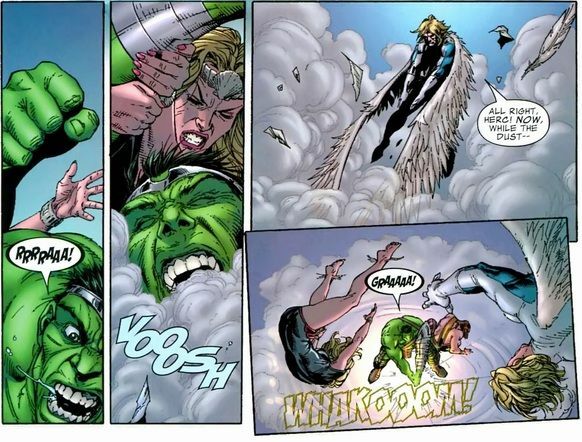 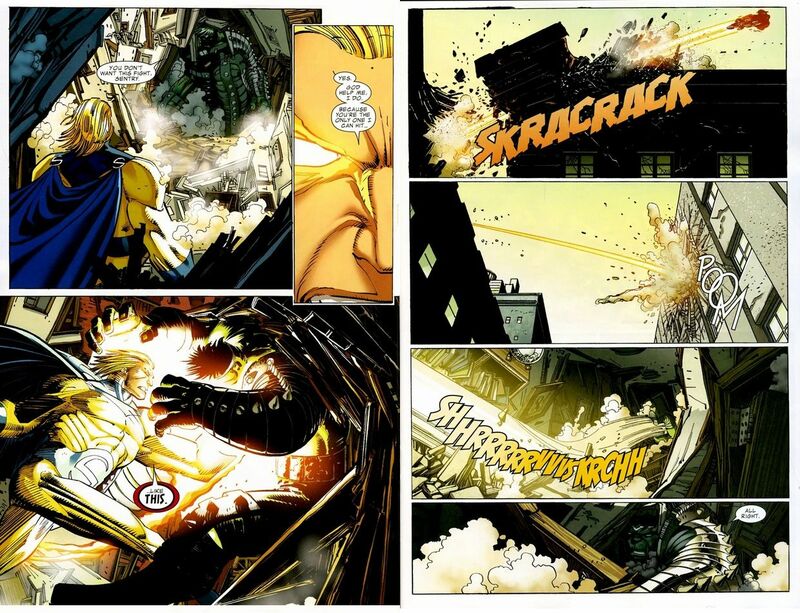 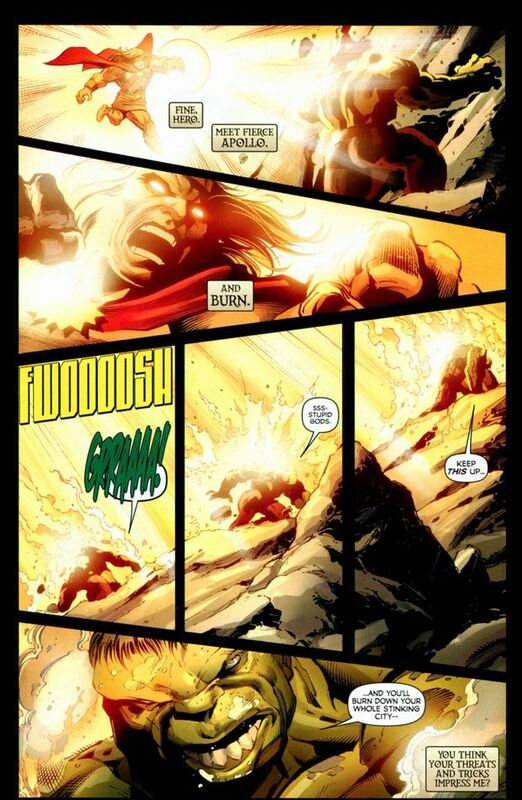 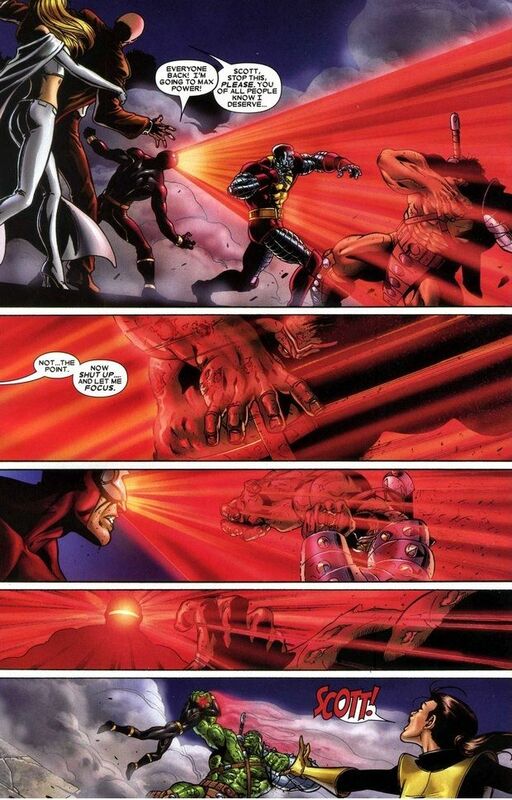 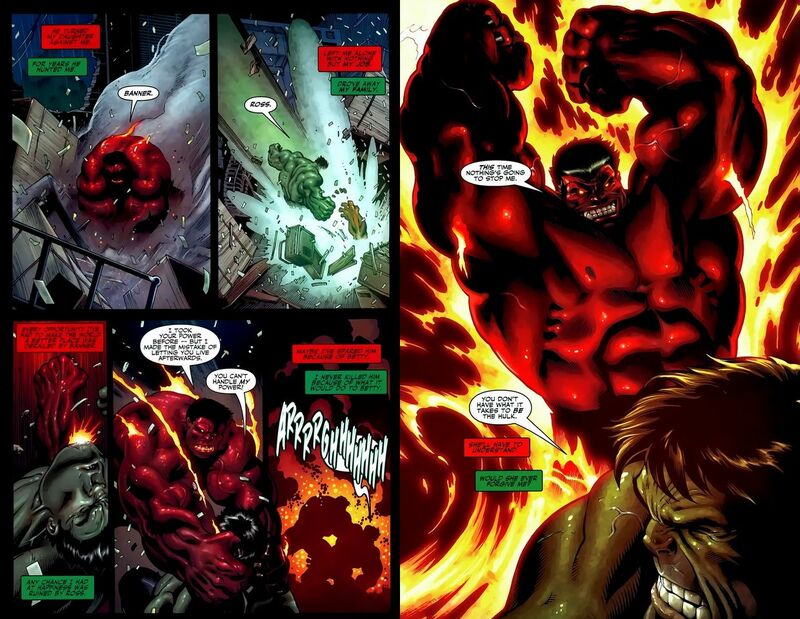 The only limiting factor to his strength was a mental fail-safe he created: should he completely lose control and become overly enraged, he would revert back to puny Banner. 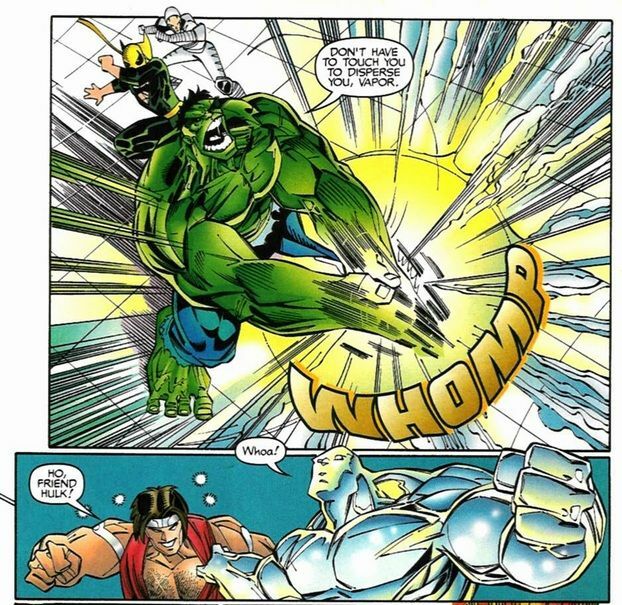 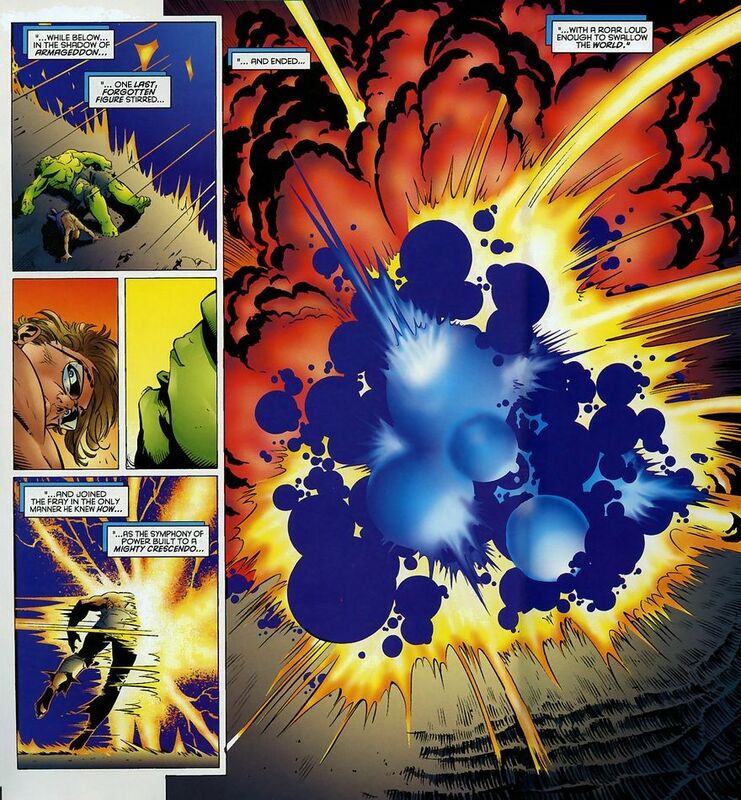 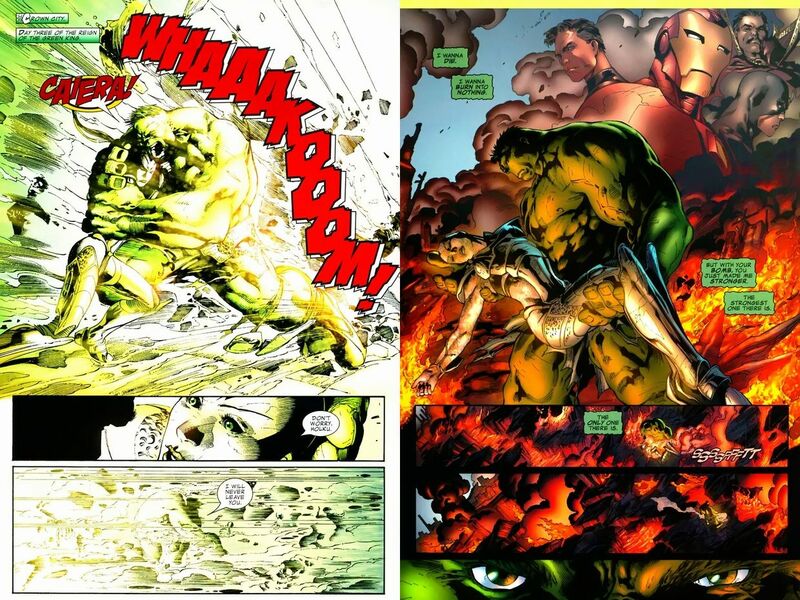 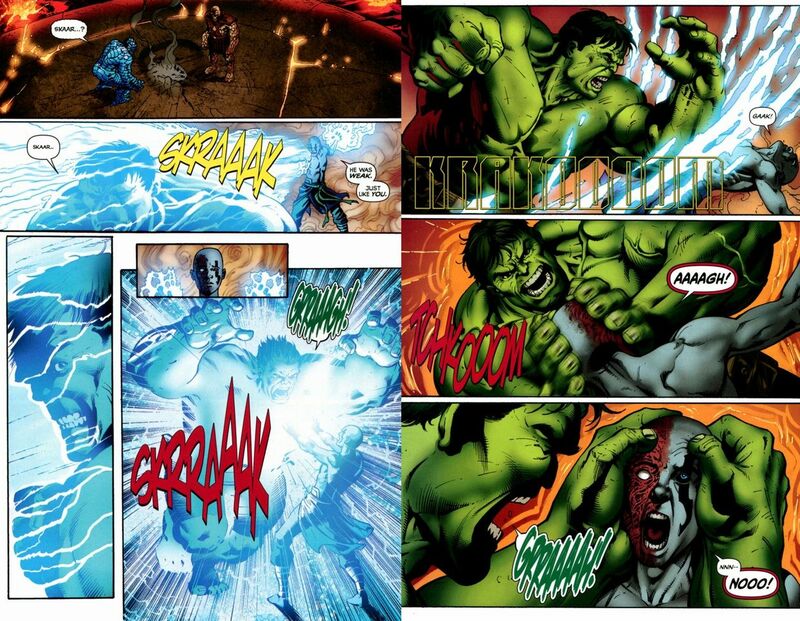 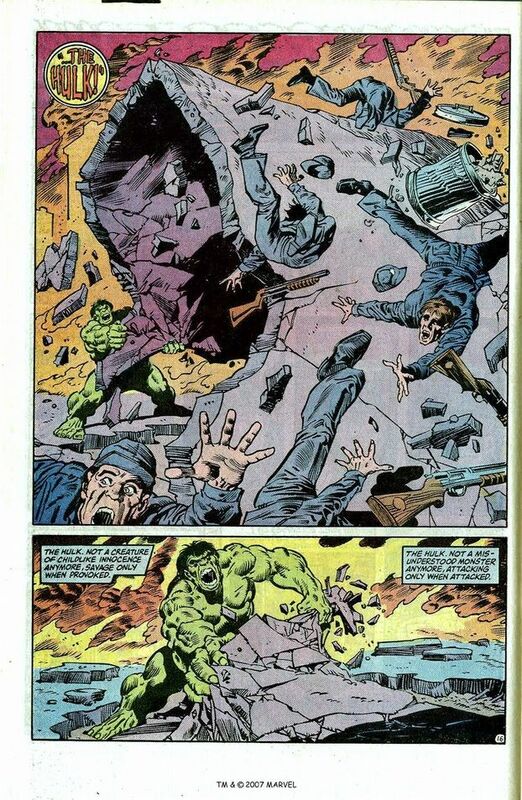 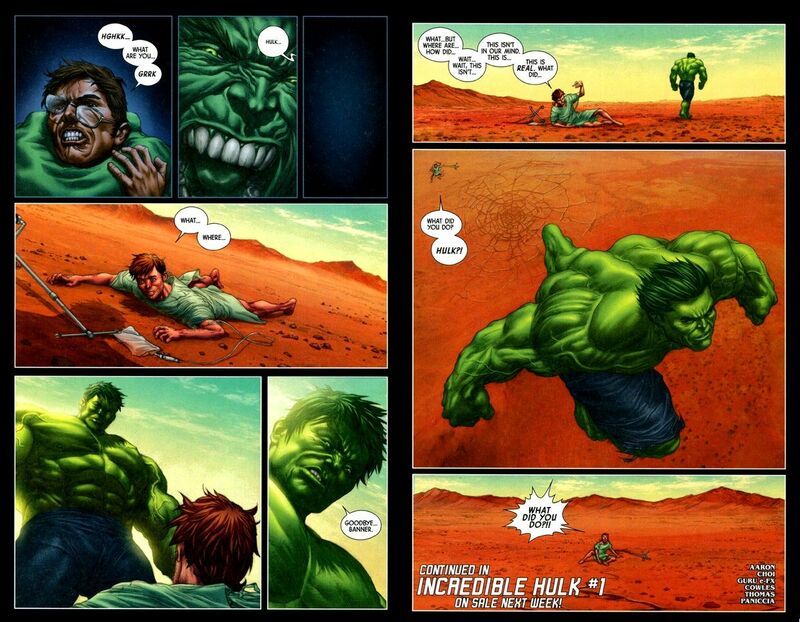 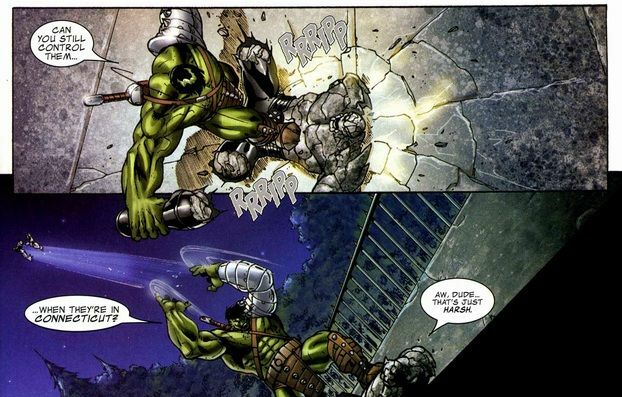 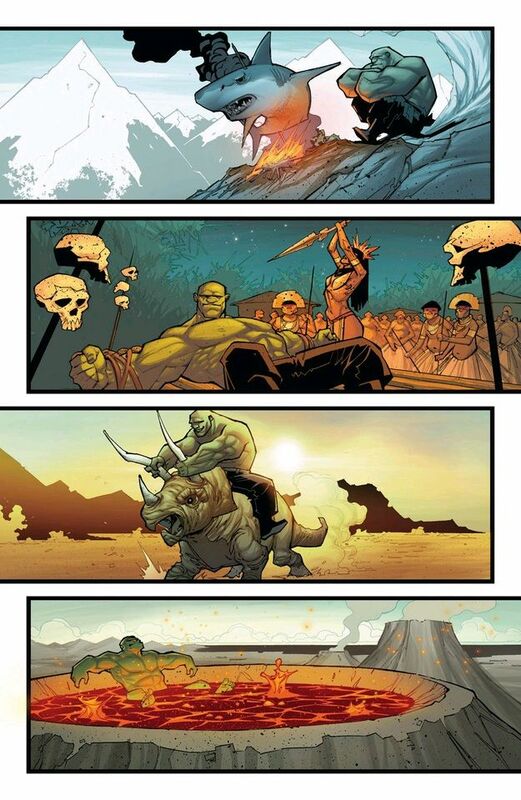 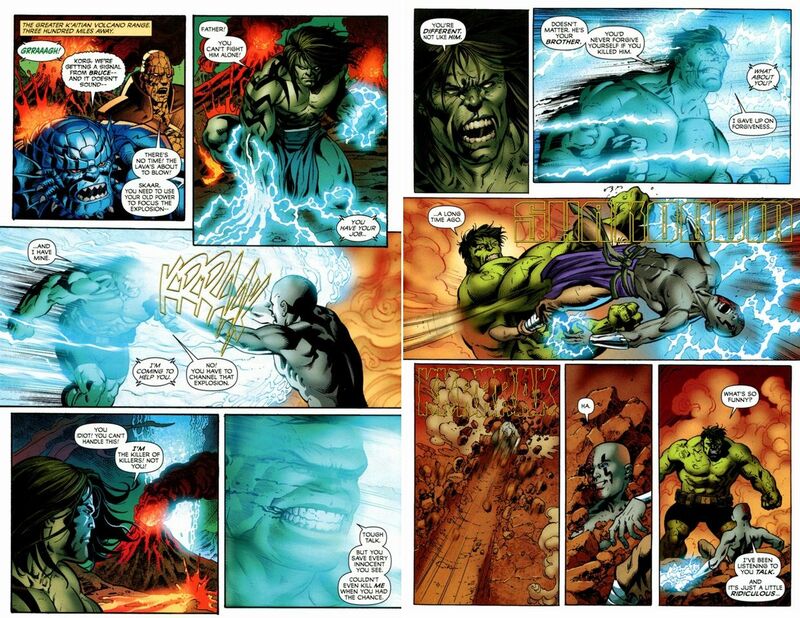 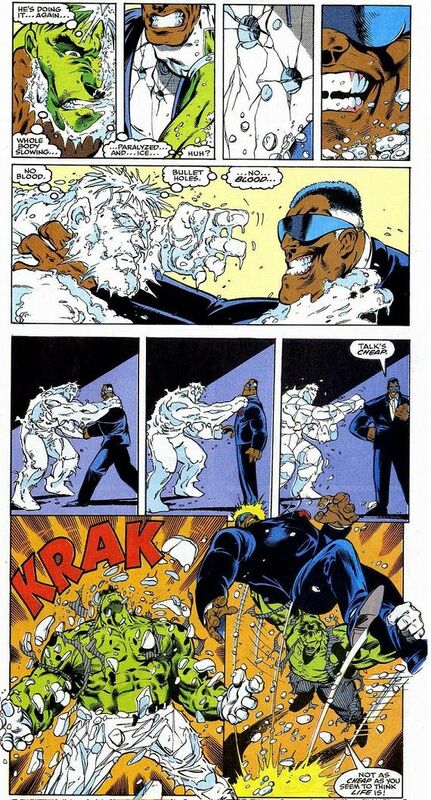 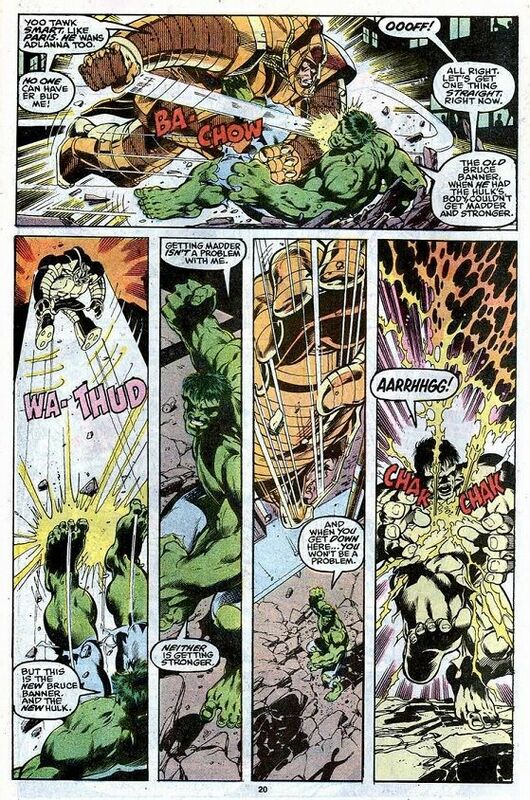 Professor Hulk's durability also started off much higher than Savage Hulk's. 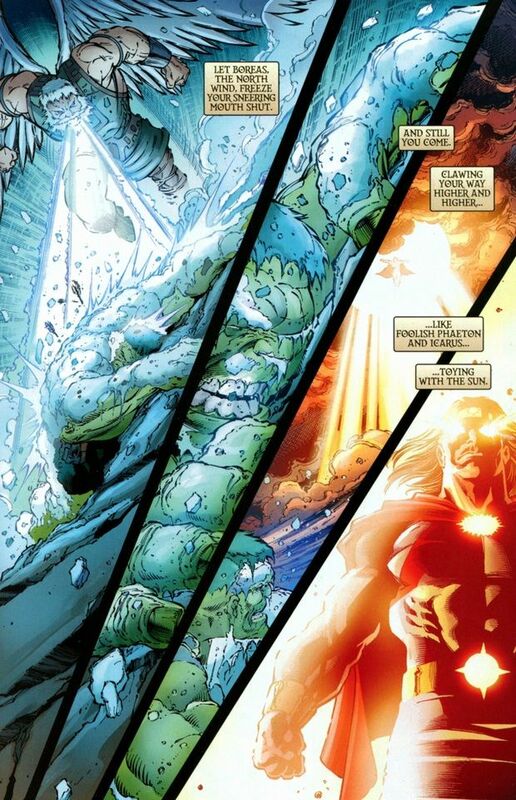 And his capacity for shrugging off attacks of physical force, energy projection, temperature extremes, piercing, chemical and mental attacks is equally, if not moreso, impressive. 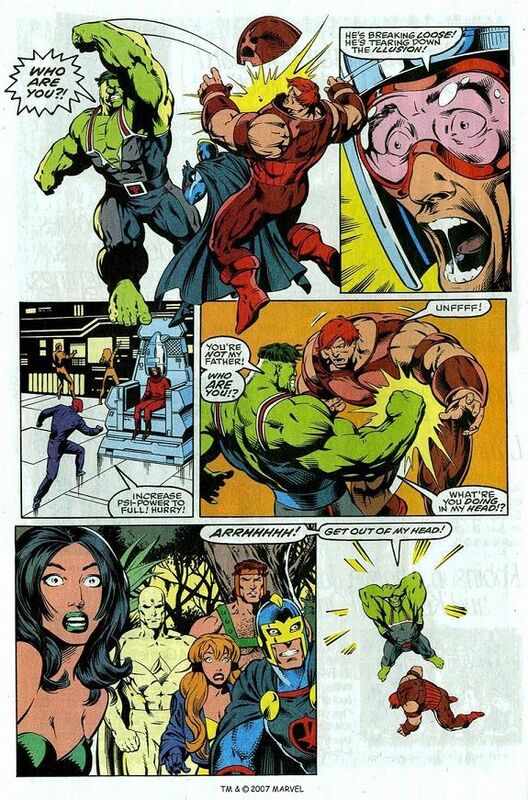 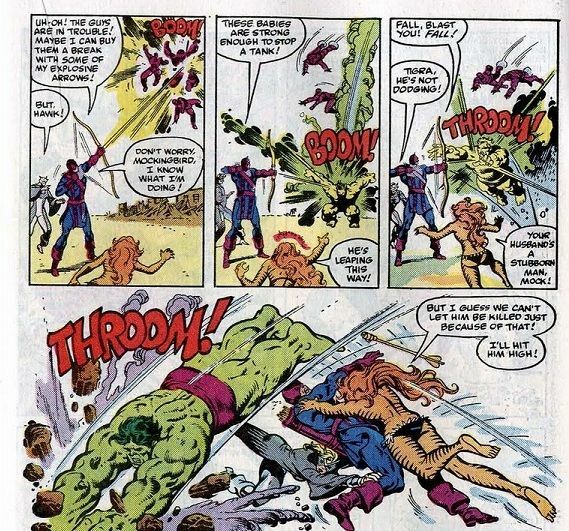 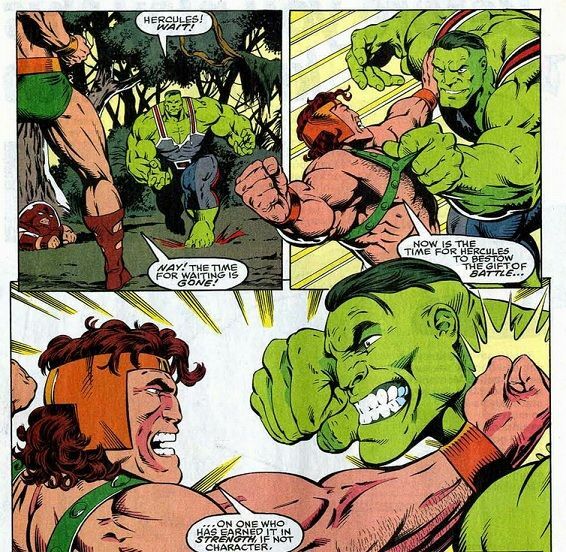 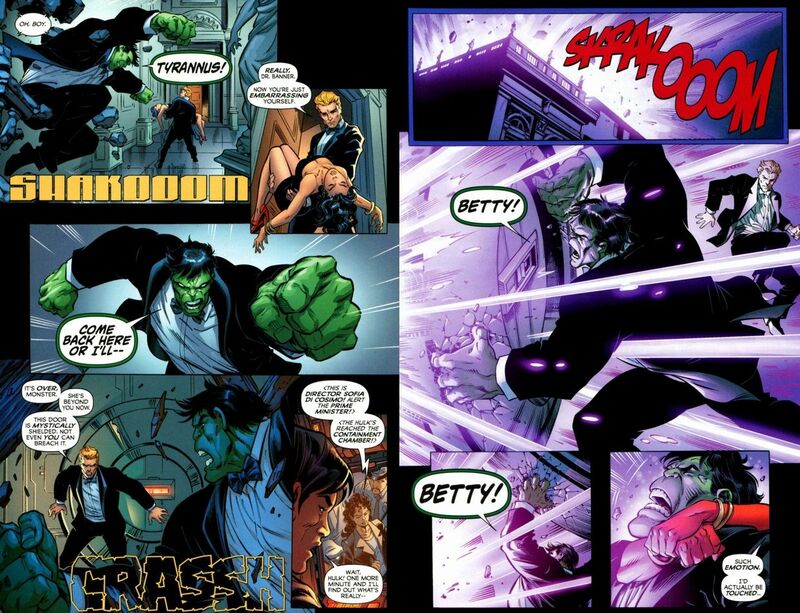 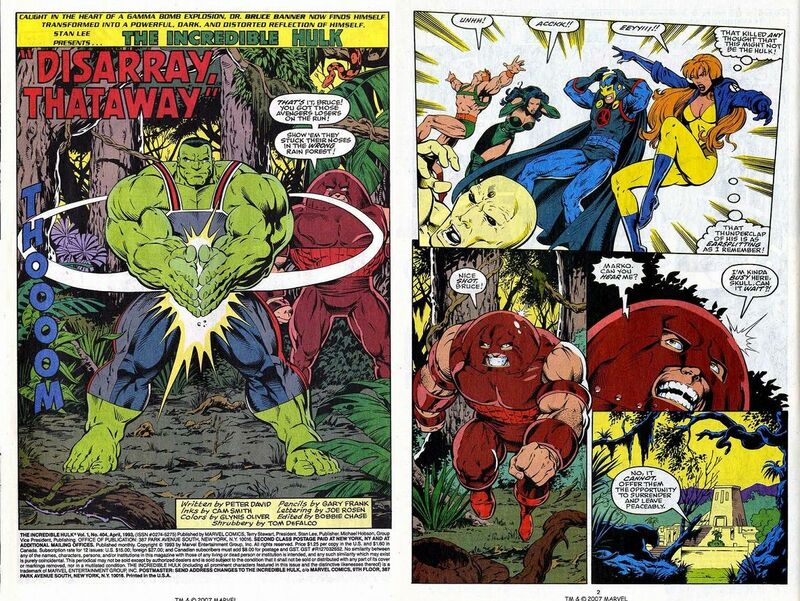 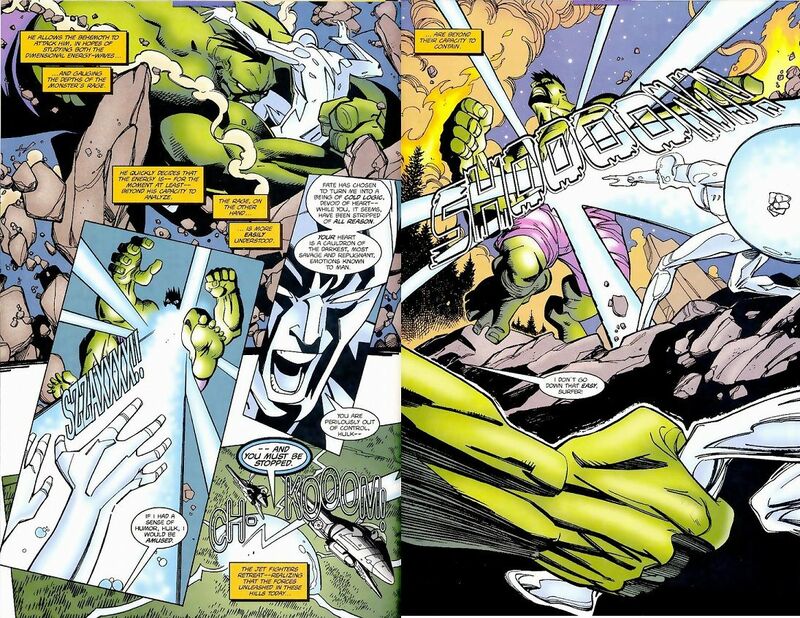 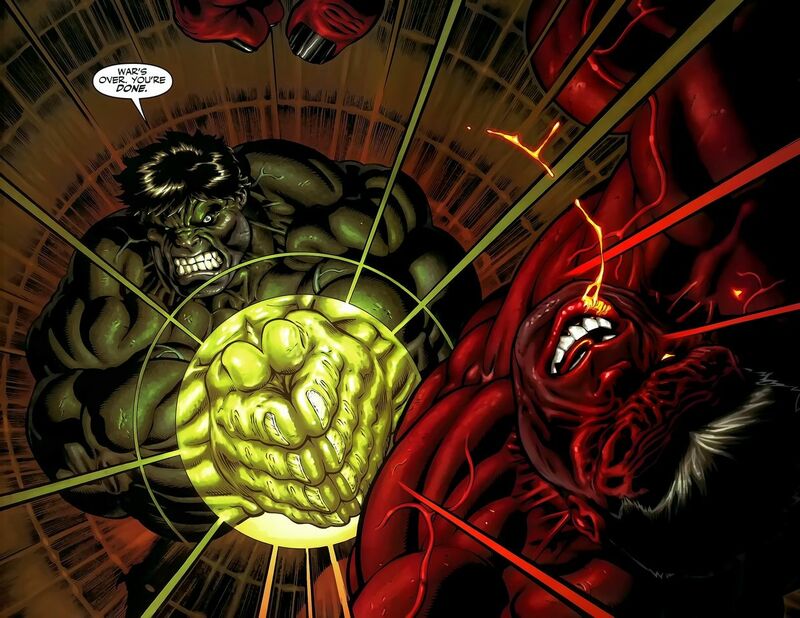 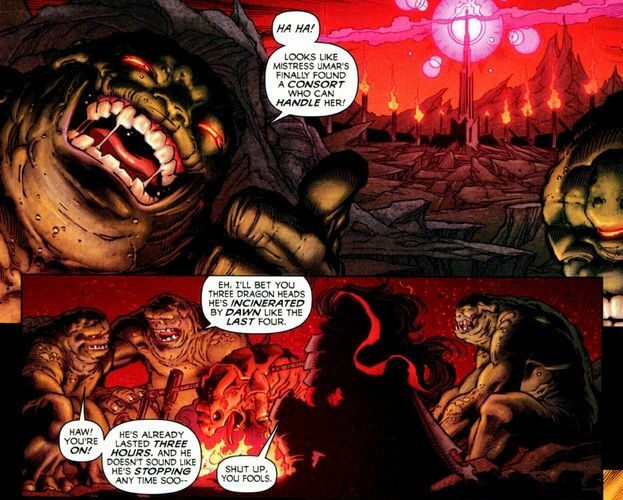 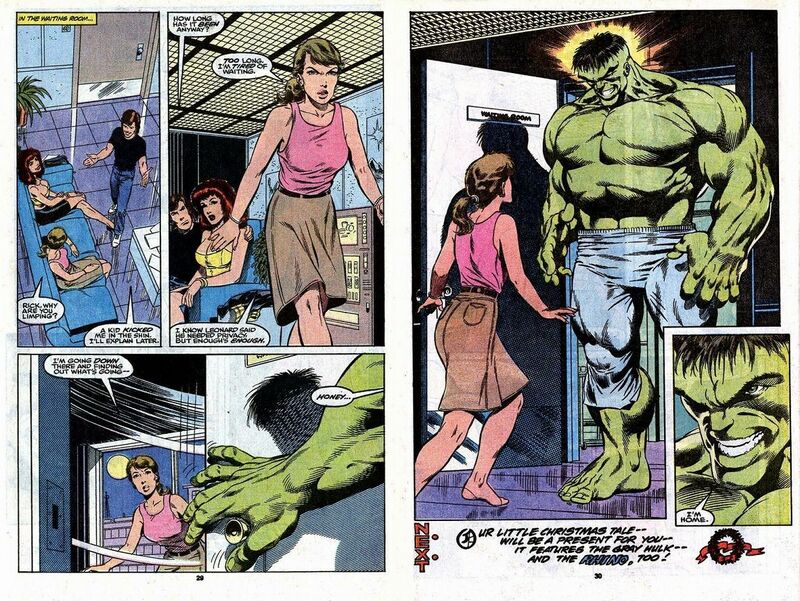 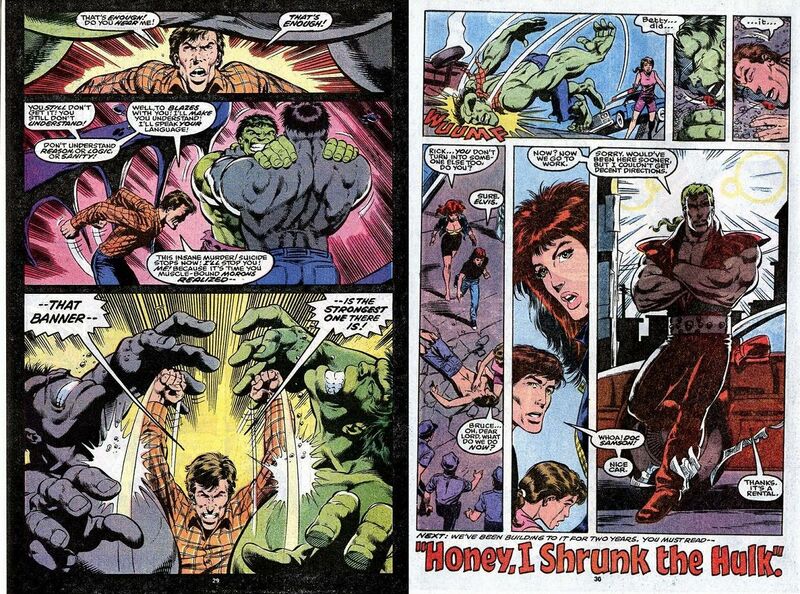 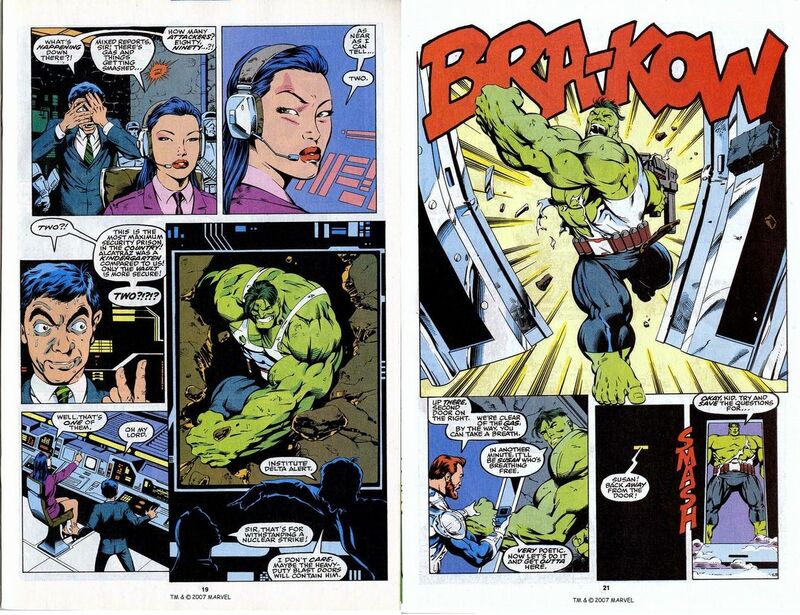 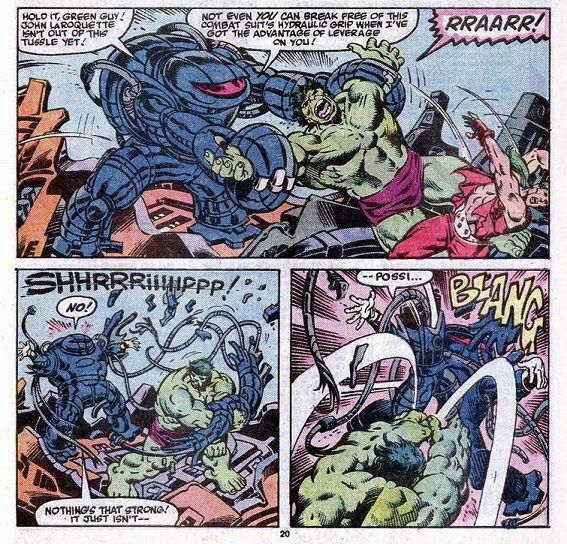 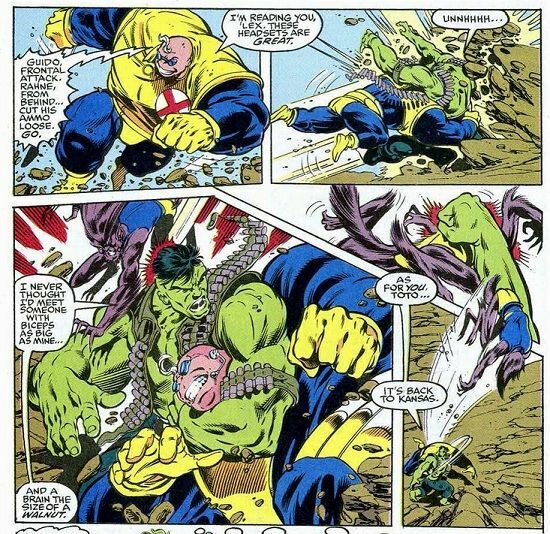 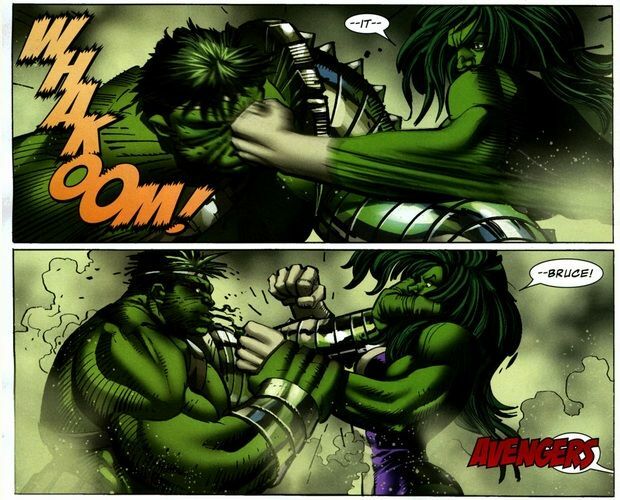 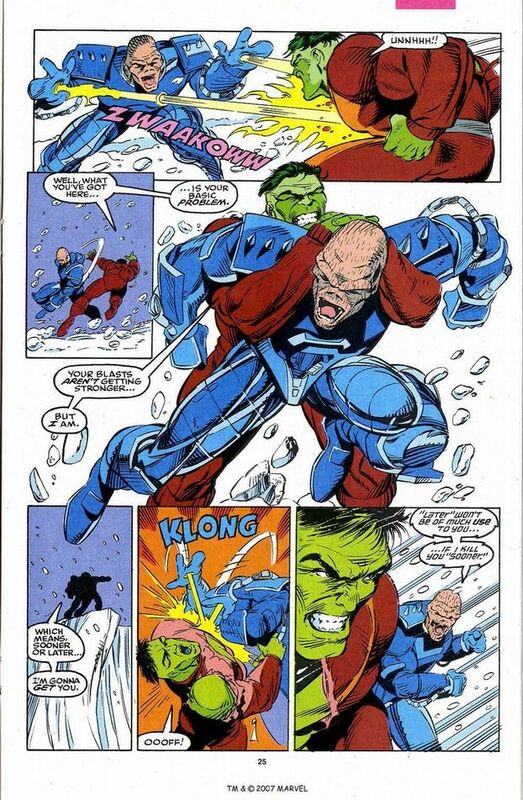 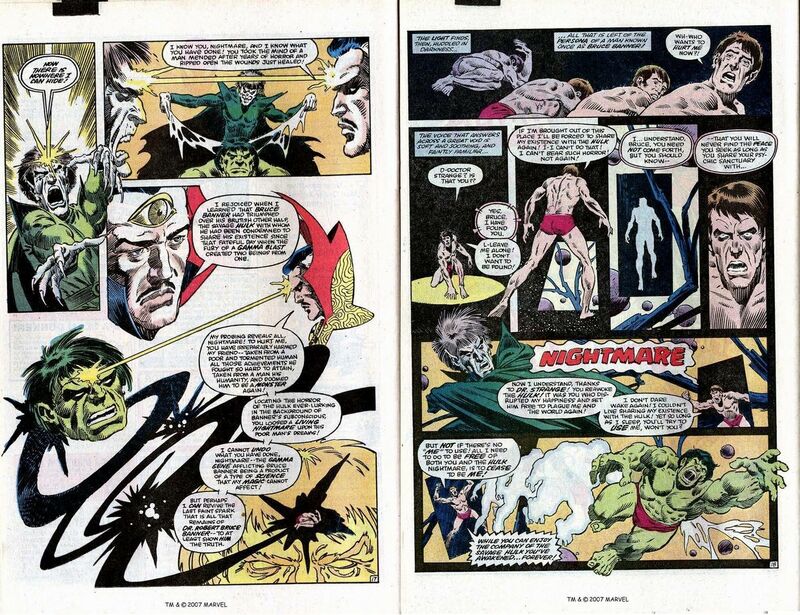 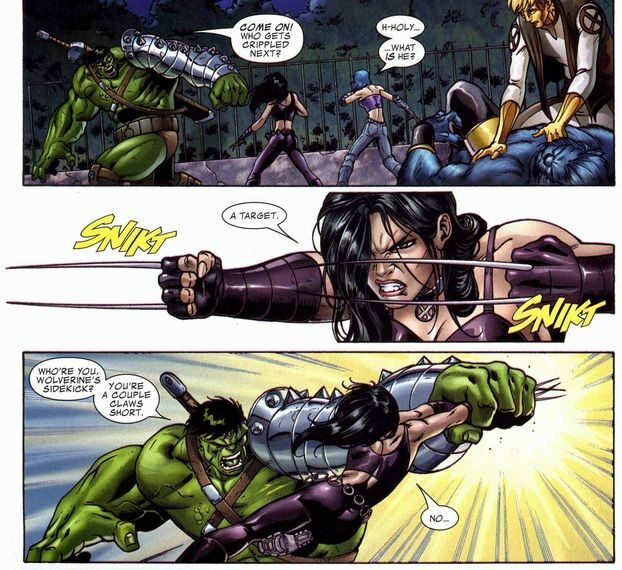 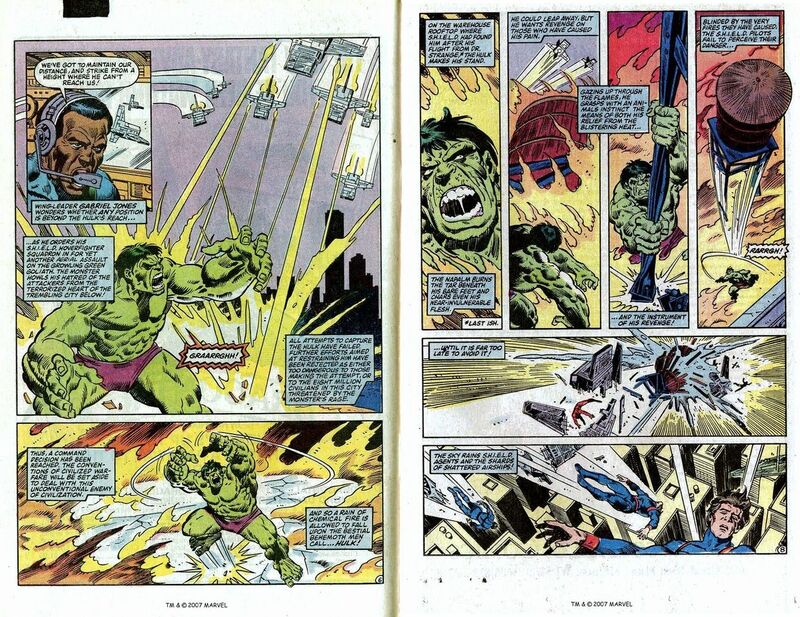 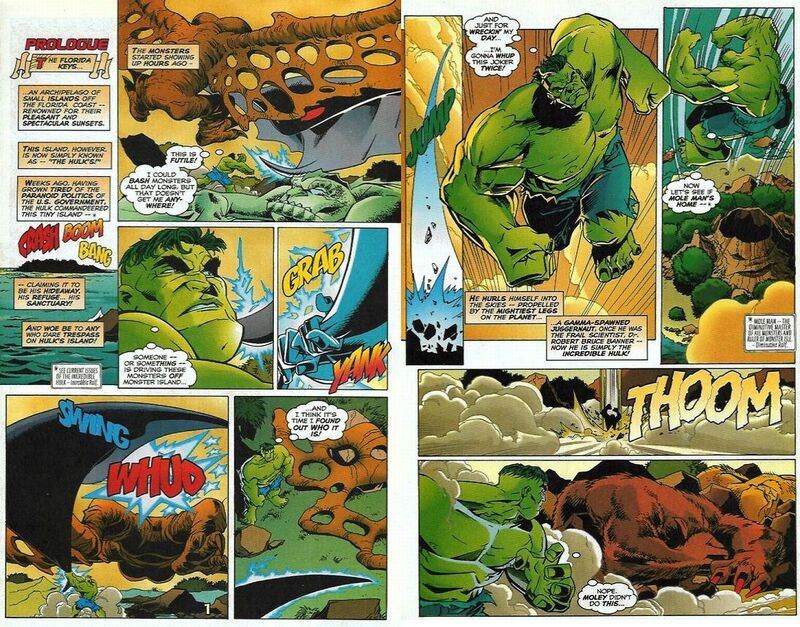 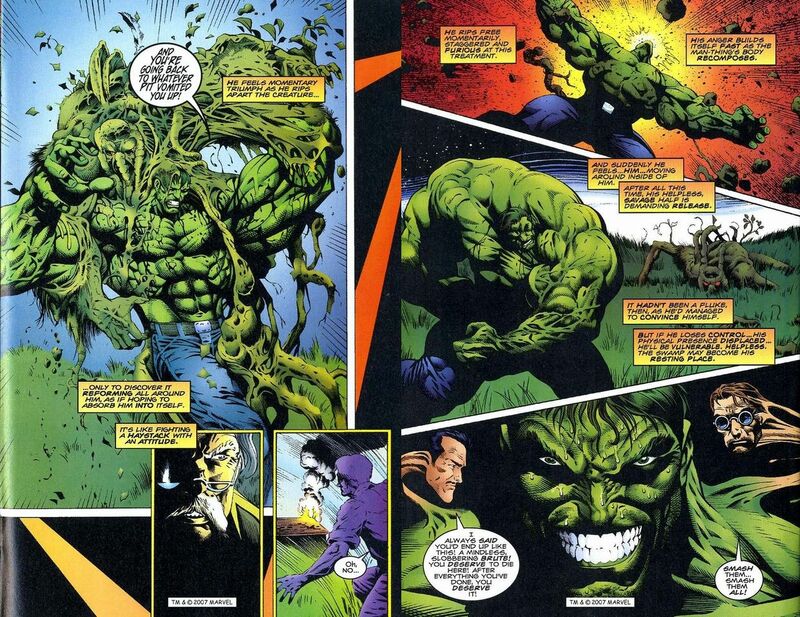 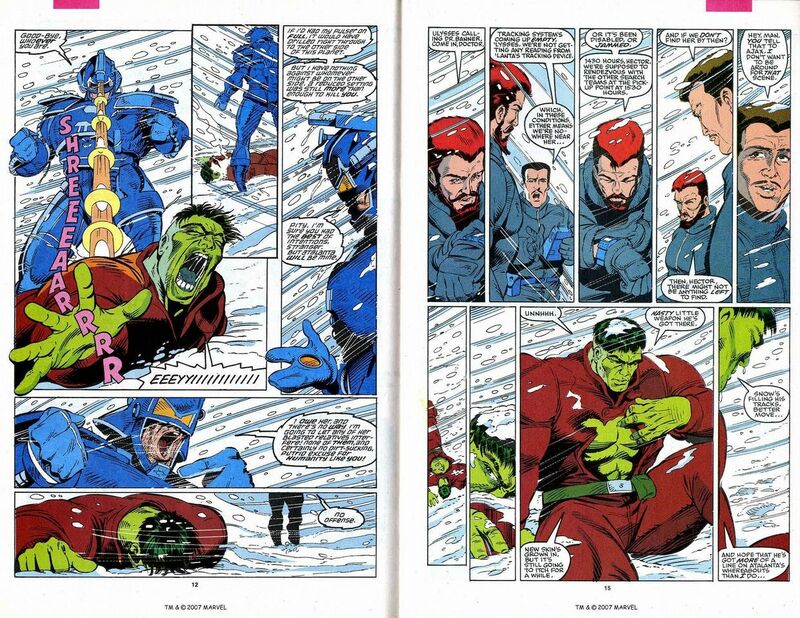 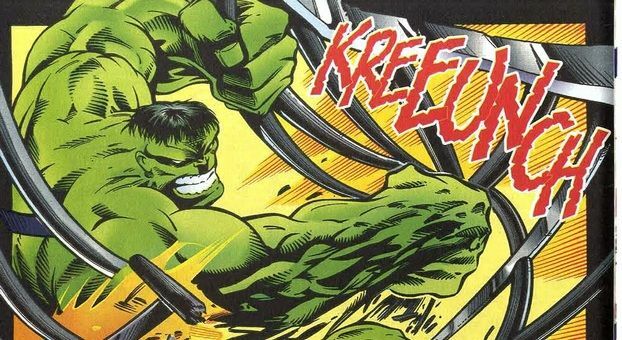 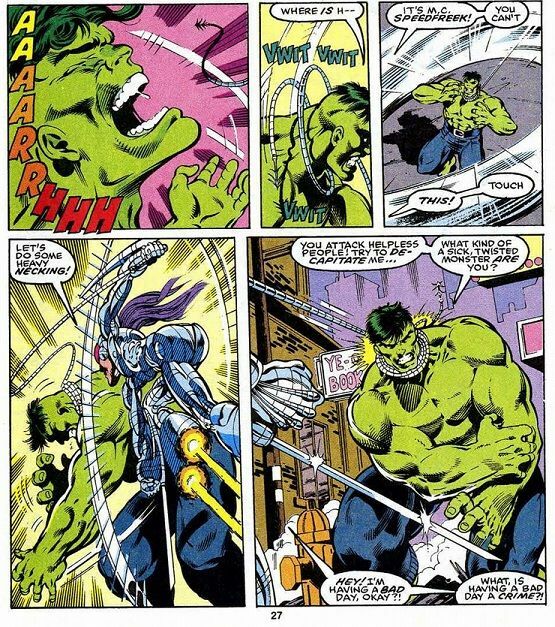 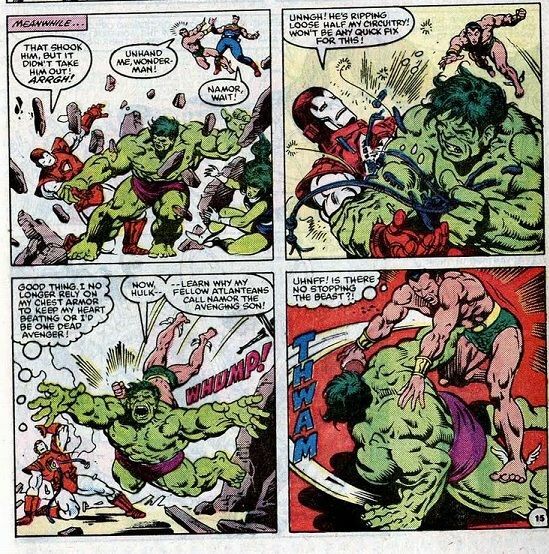 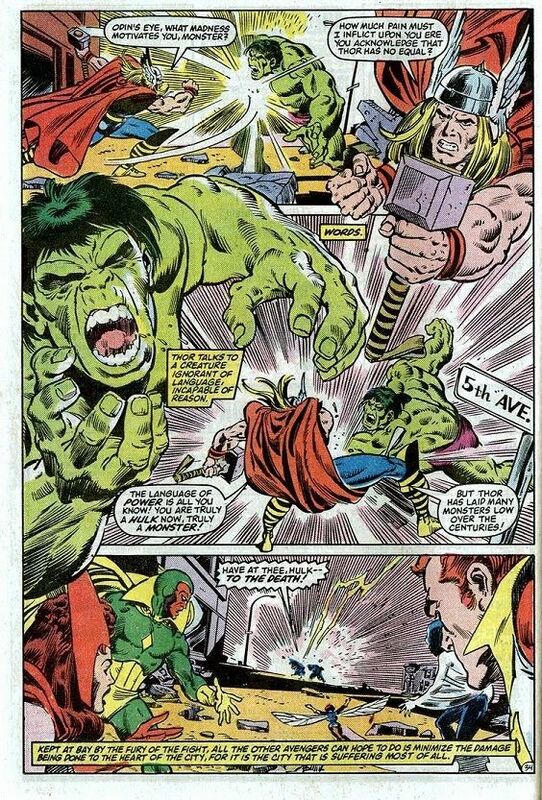 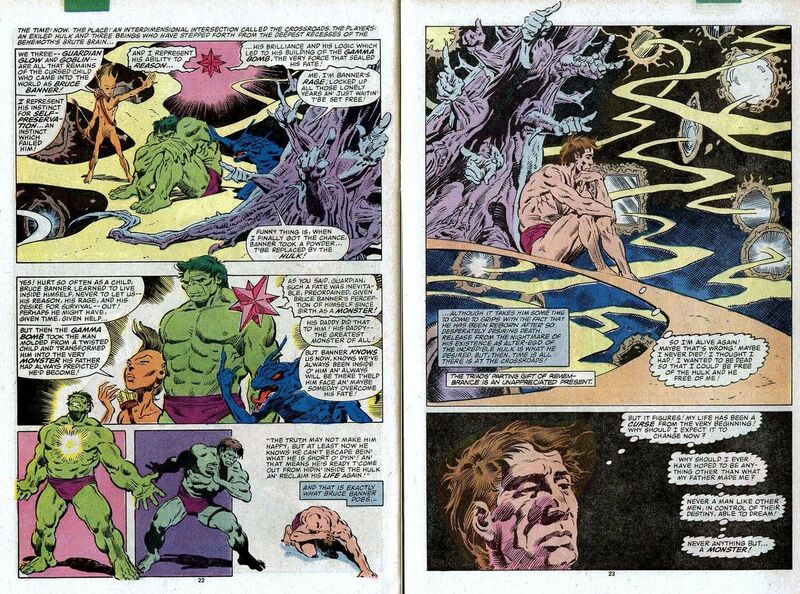 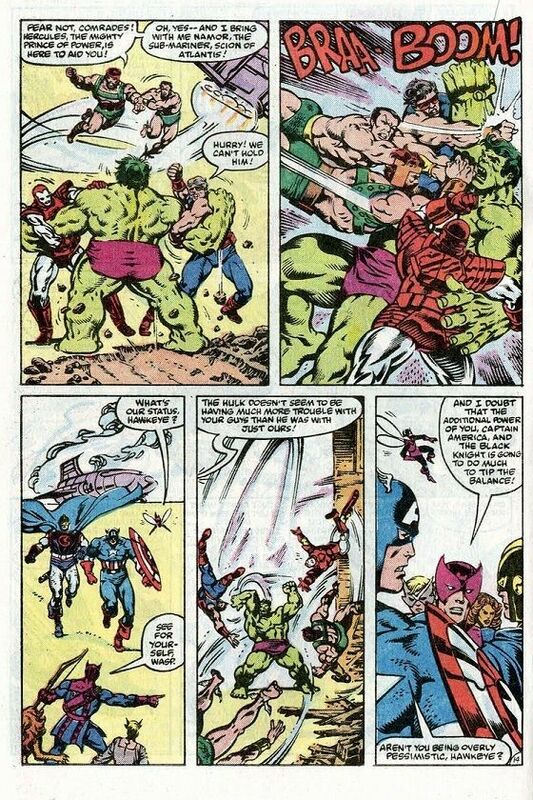 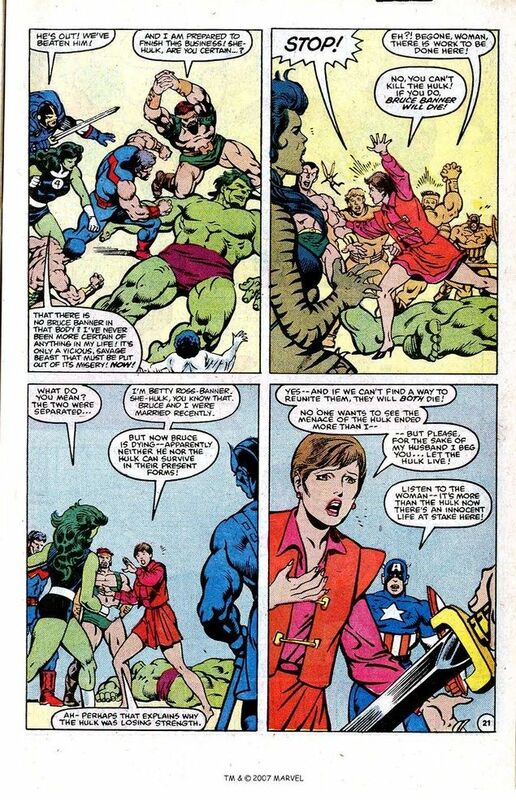 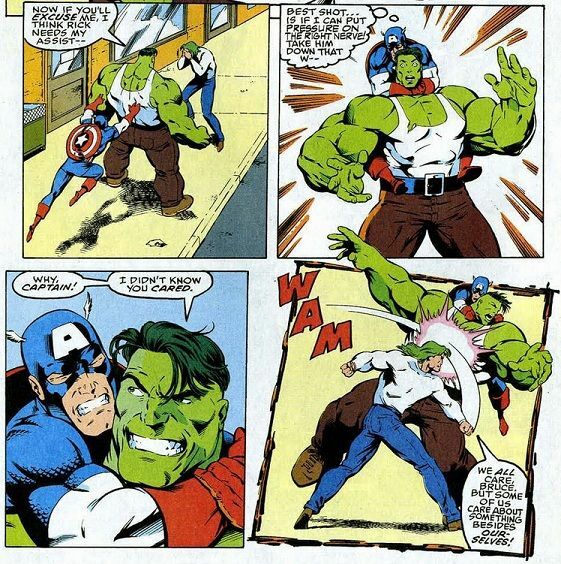 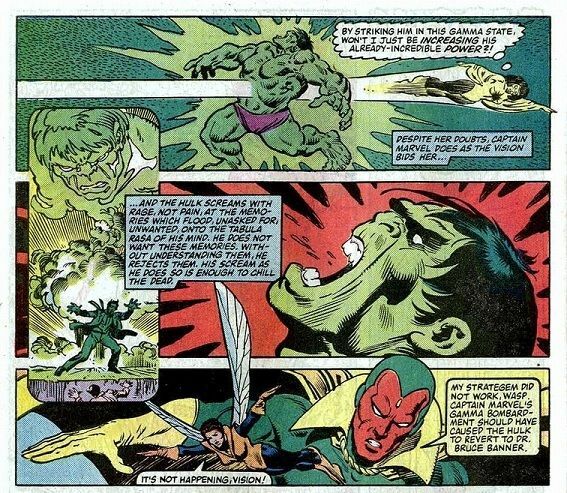 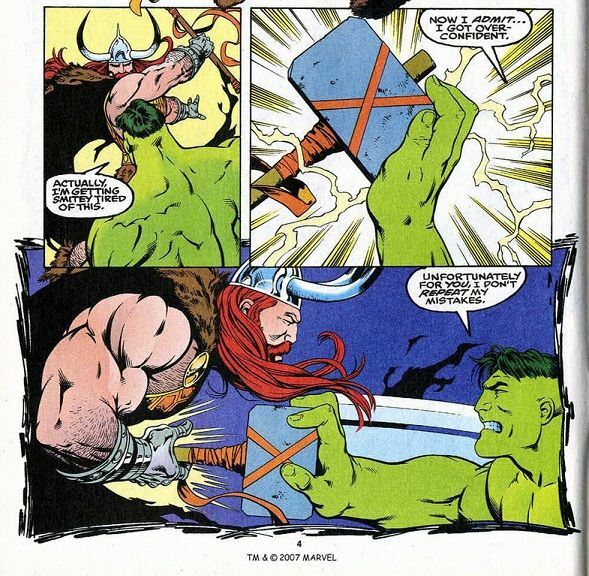 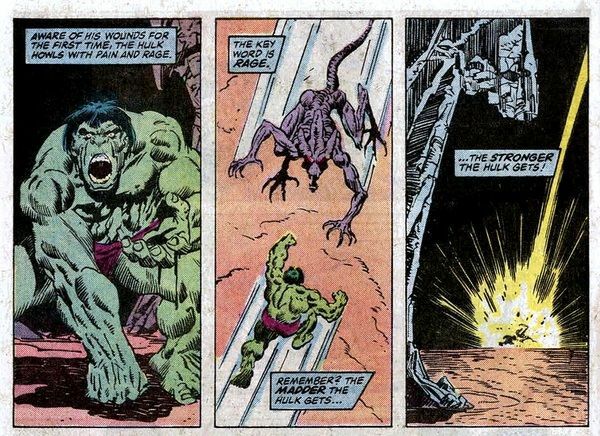 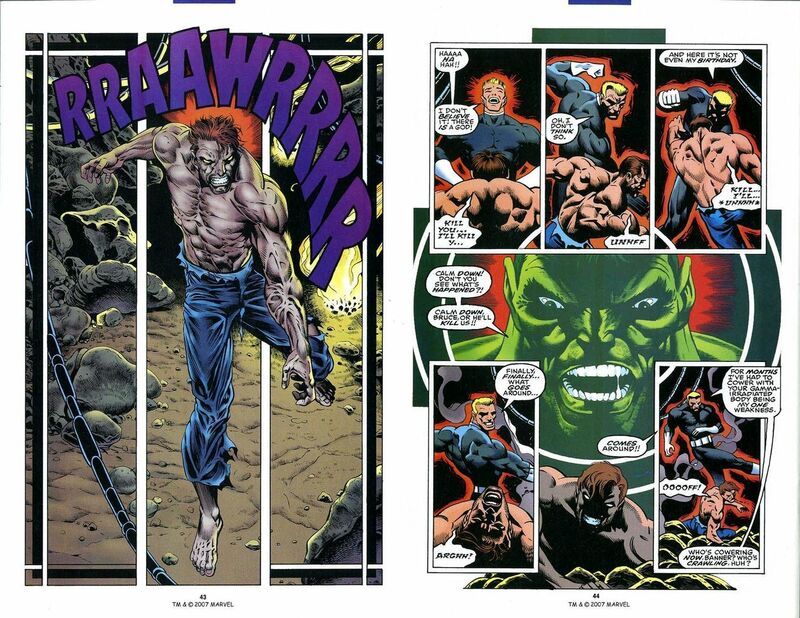 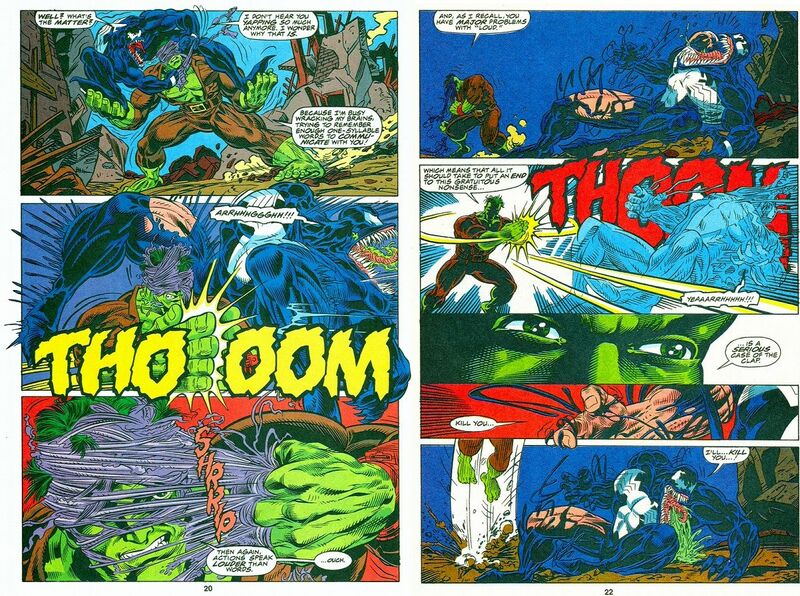 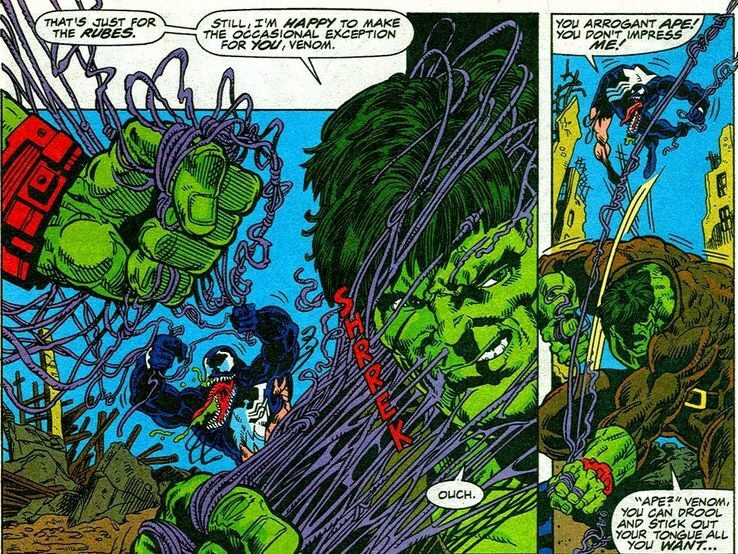 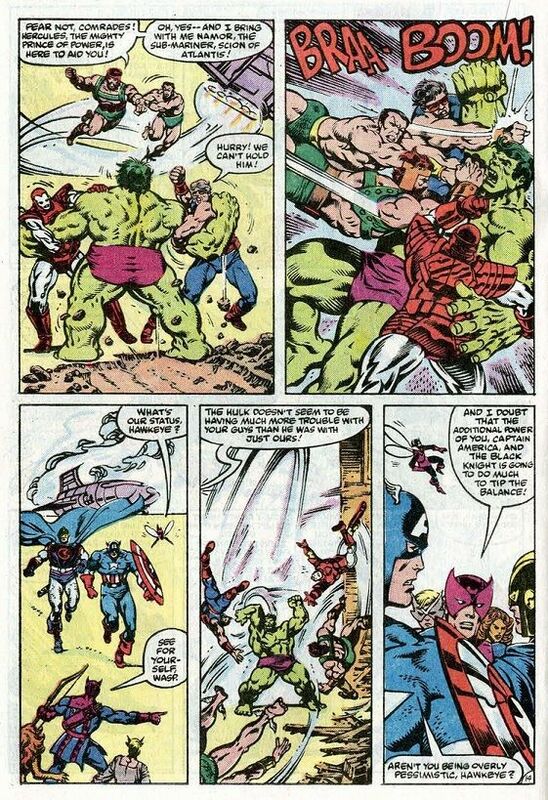 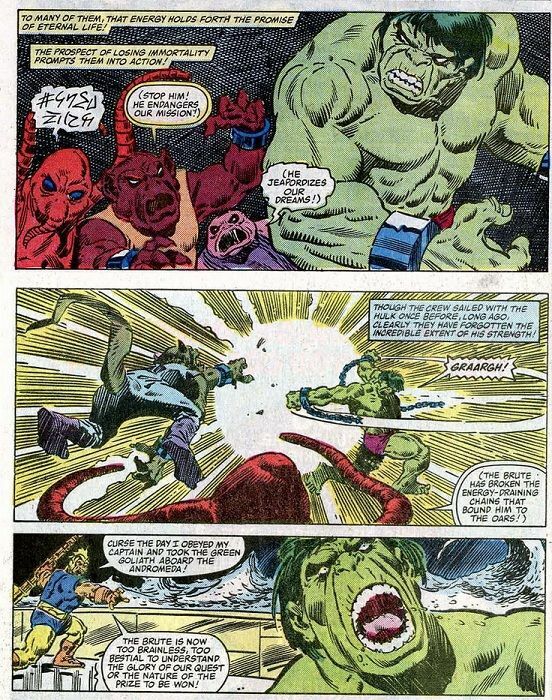 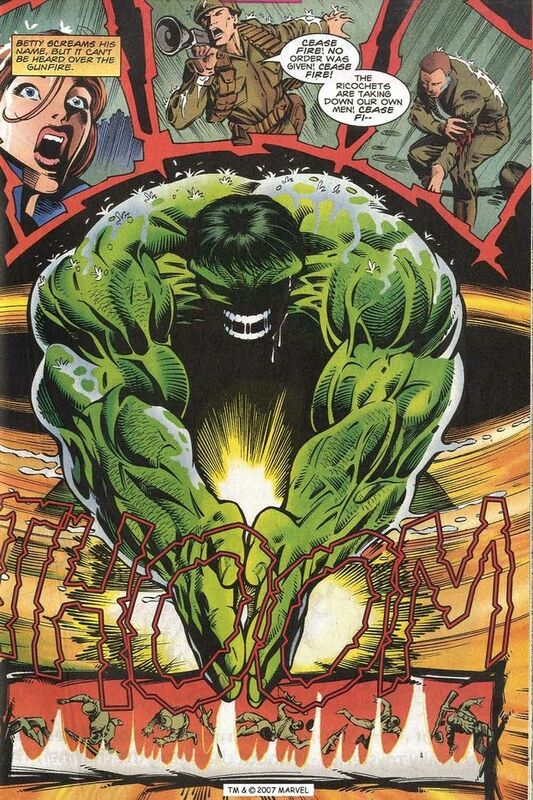 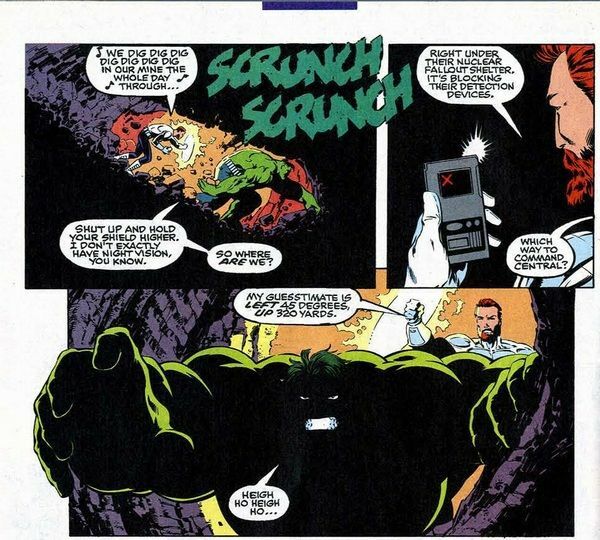 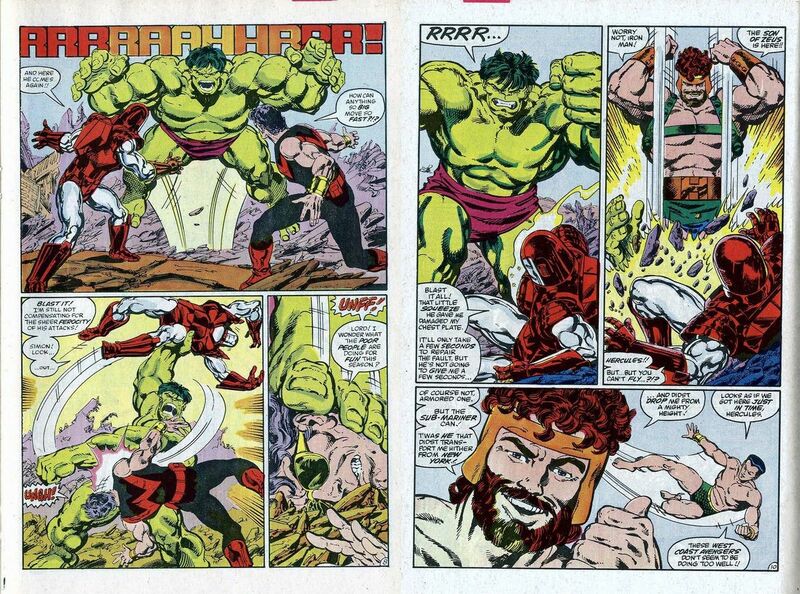 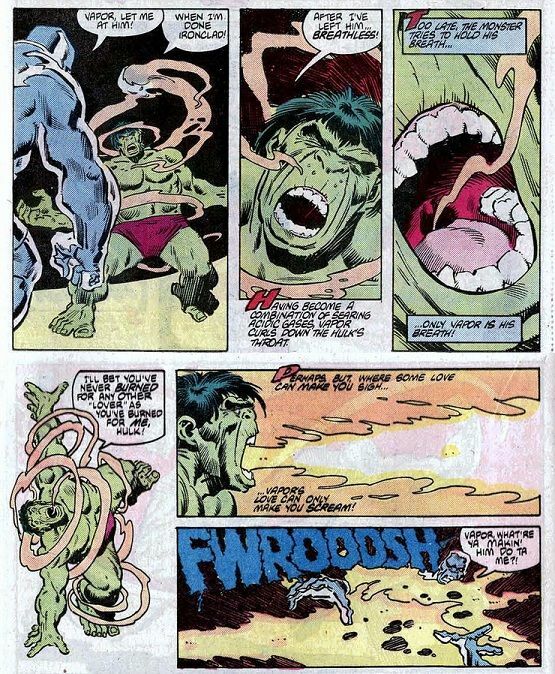 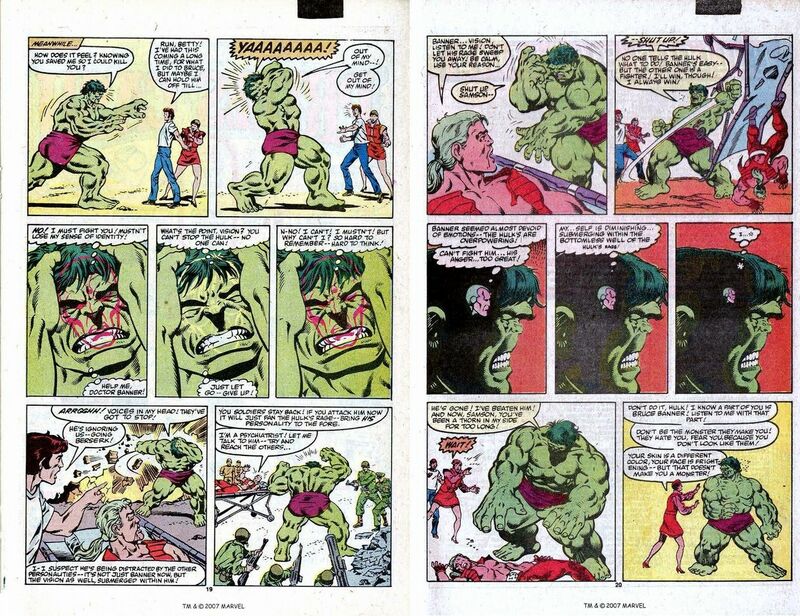 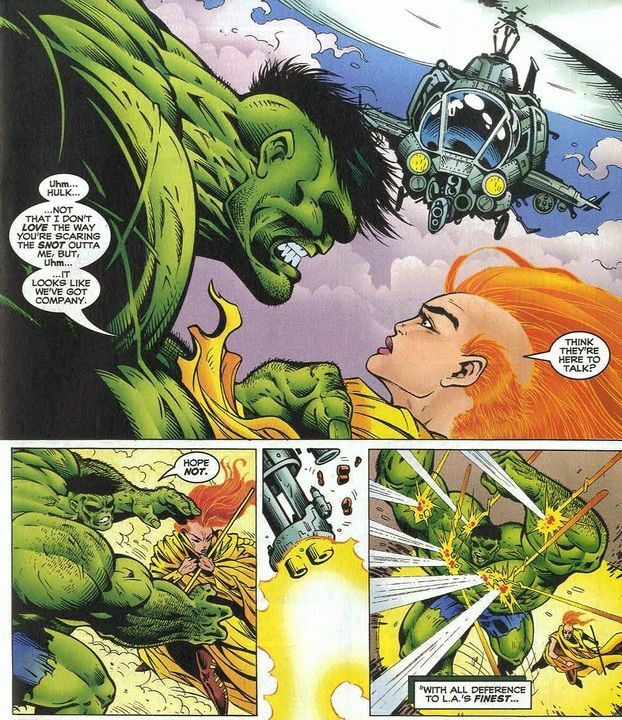 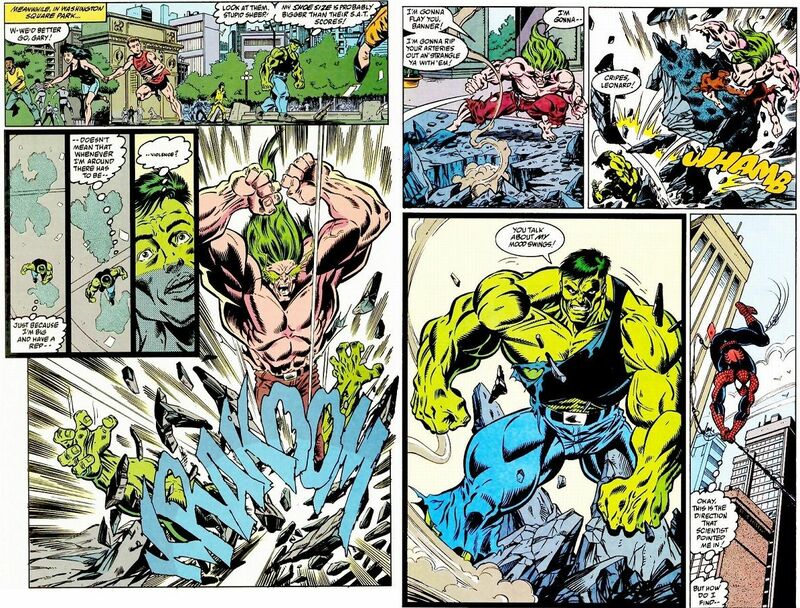 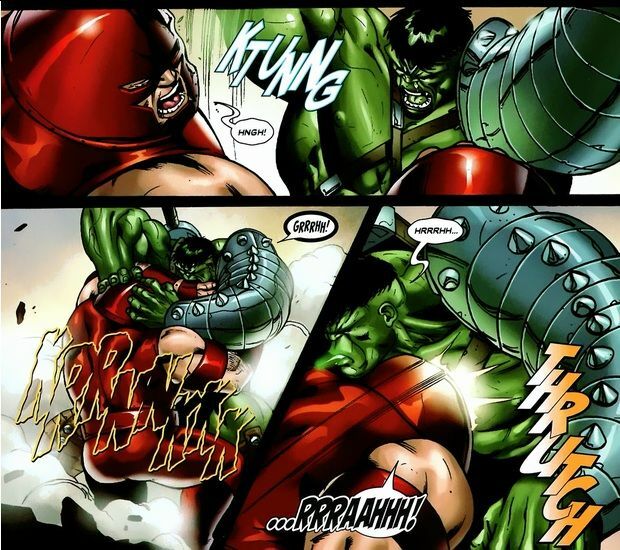 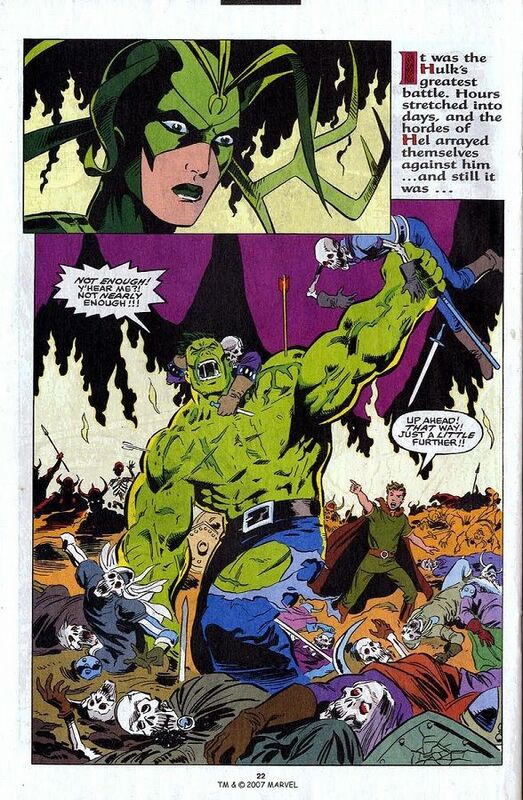 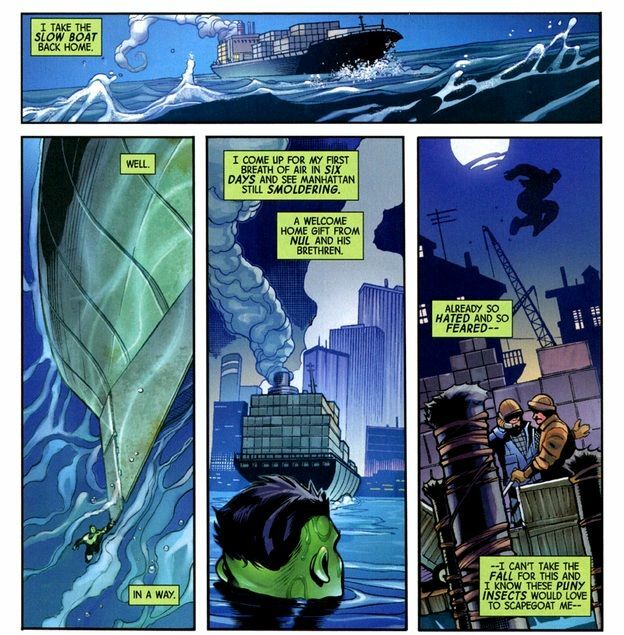 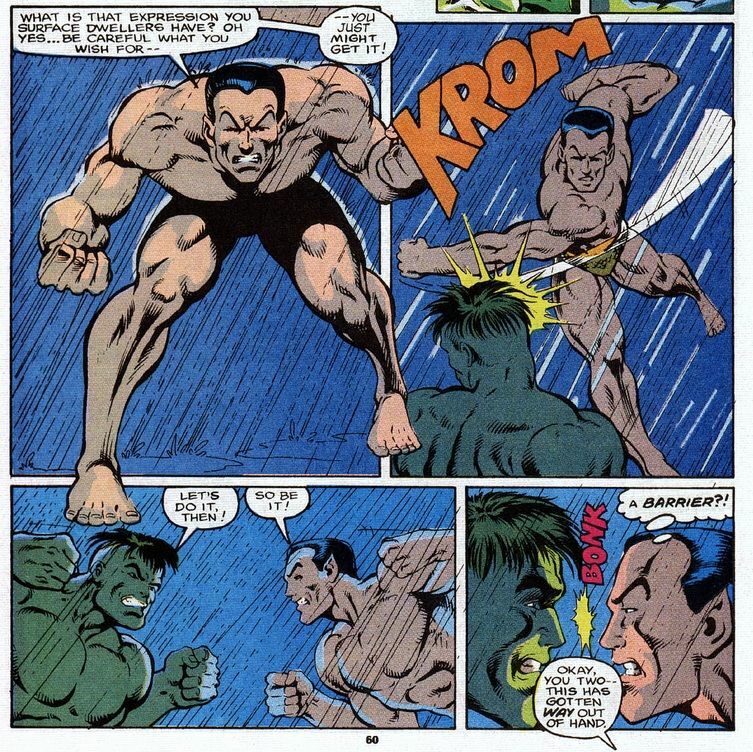 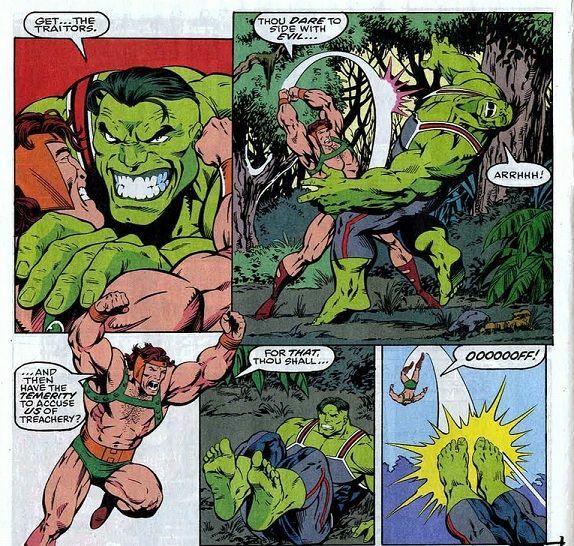 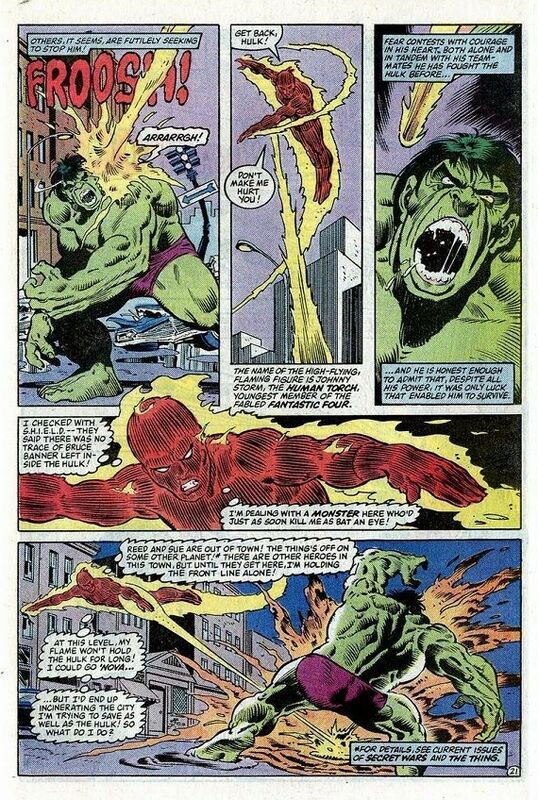 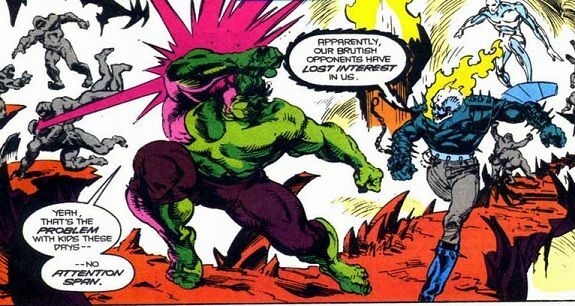 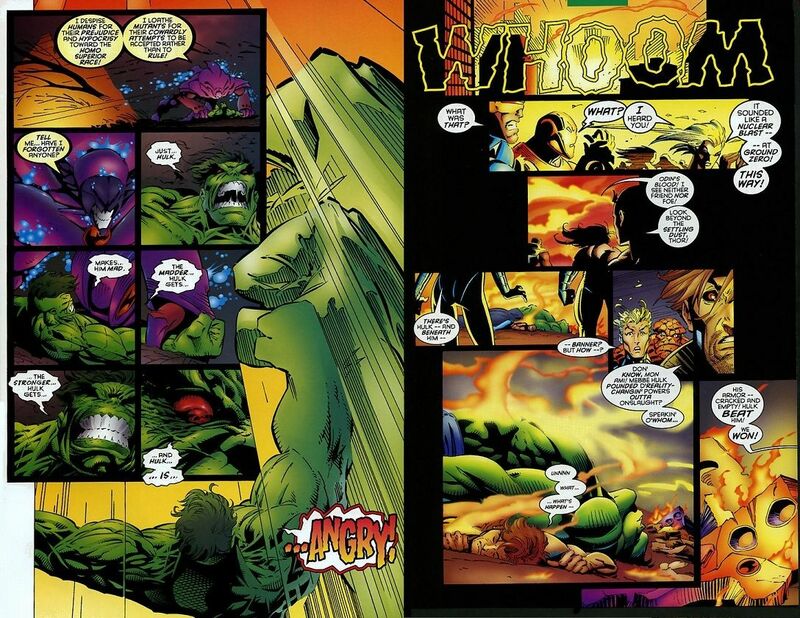 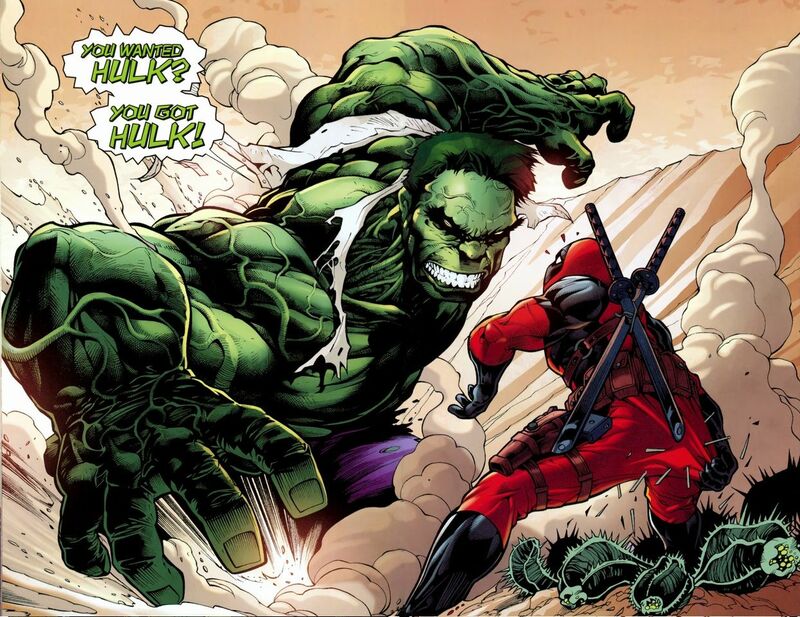 The Mindless Hulk is mostly a catch-all category for the number of times the Banner personality was either deeply sublimated within or physically separated apart from the Hulk itself. 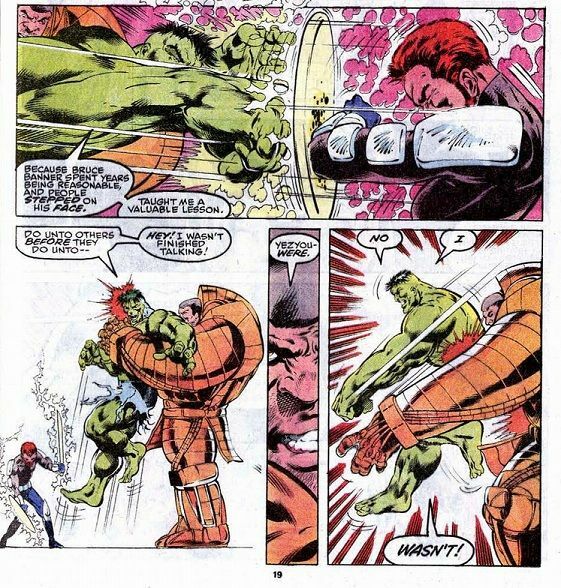 The adjective, "Mindless," is actually a bit of a misnomer as the base Hulk identity always possessed some intelligence and a personality of his own. 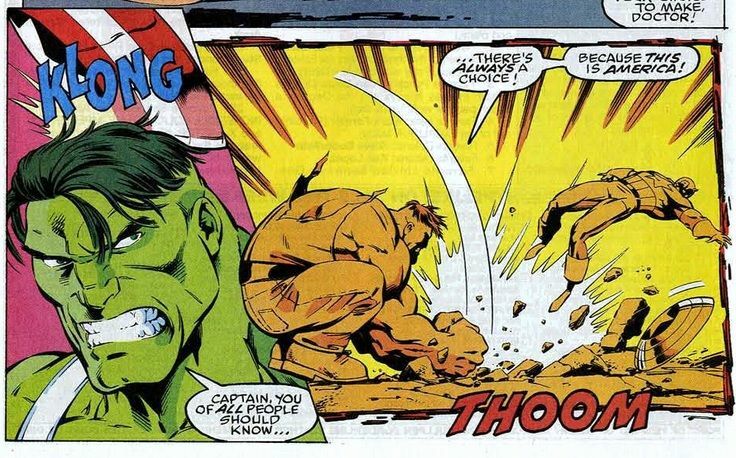 There have been several extended episodes where Banner was separated from Hulk. 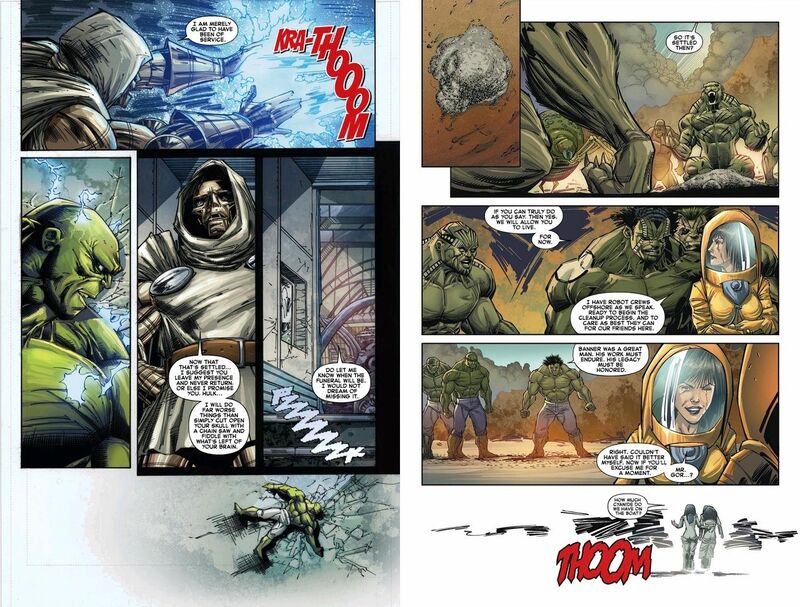 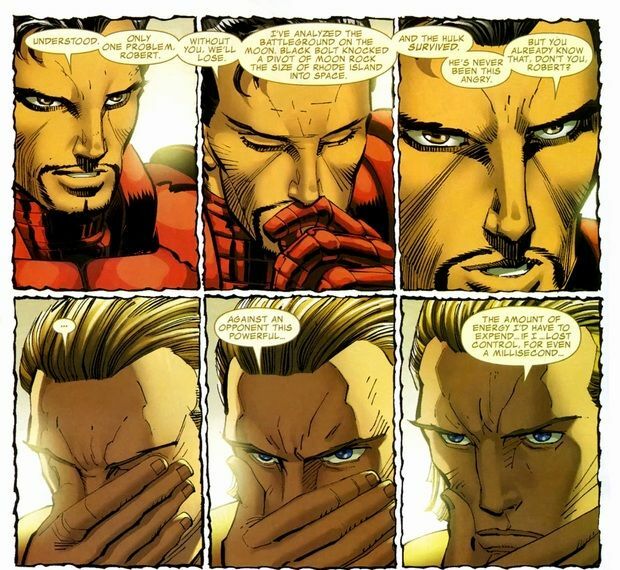 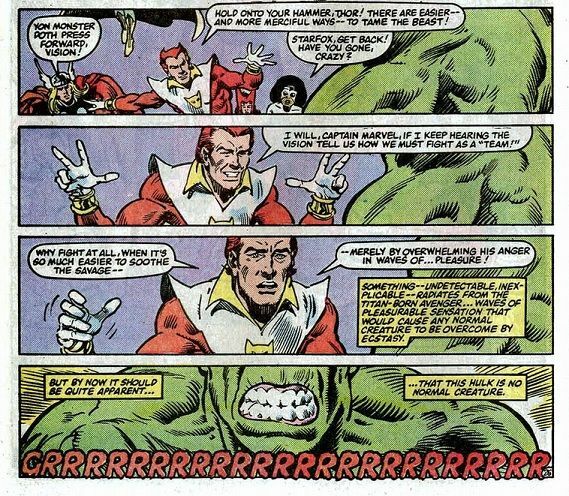 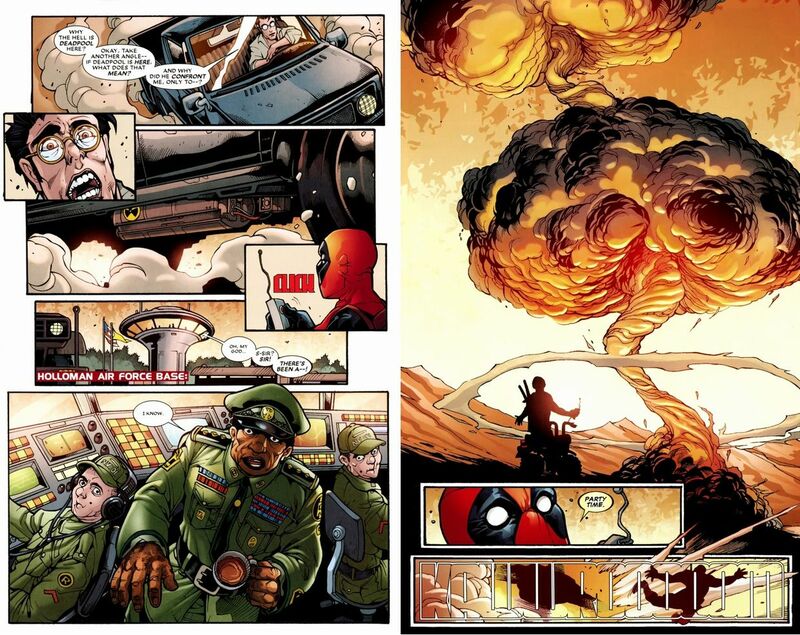 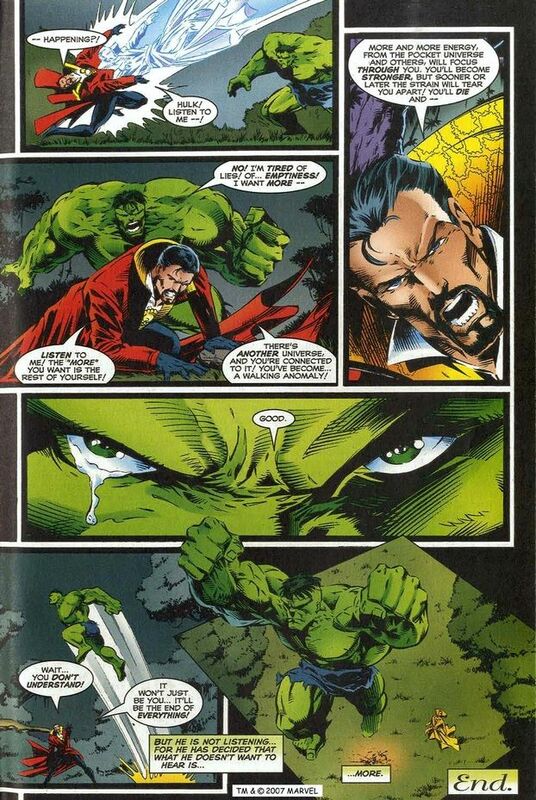 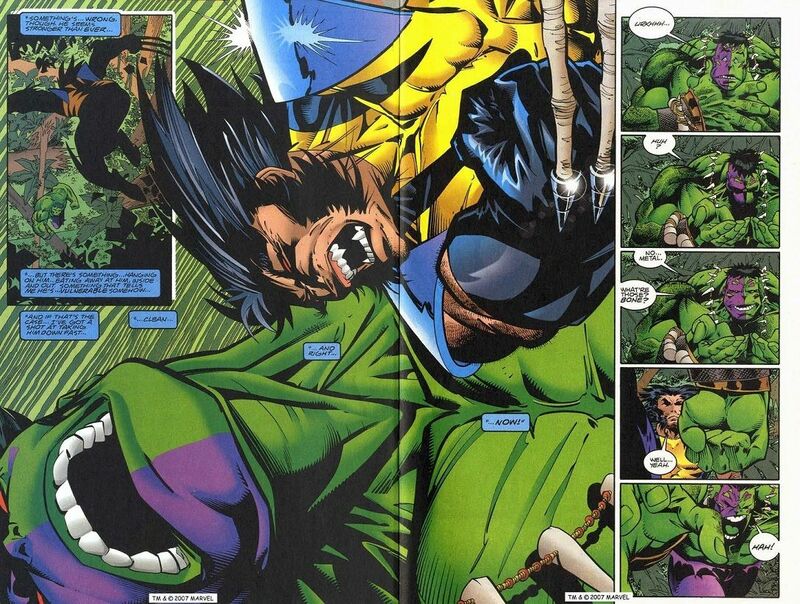 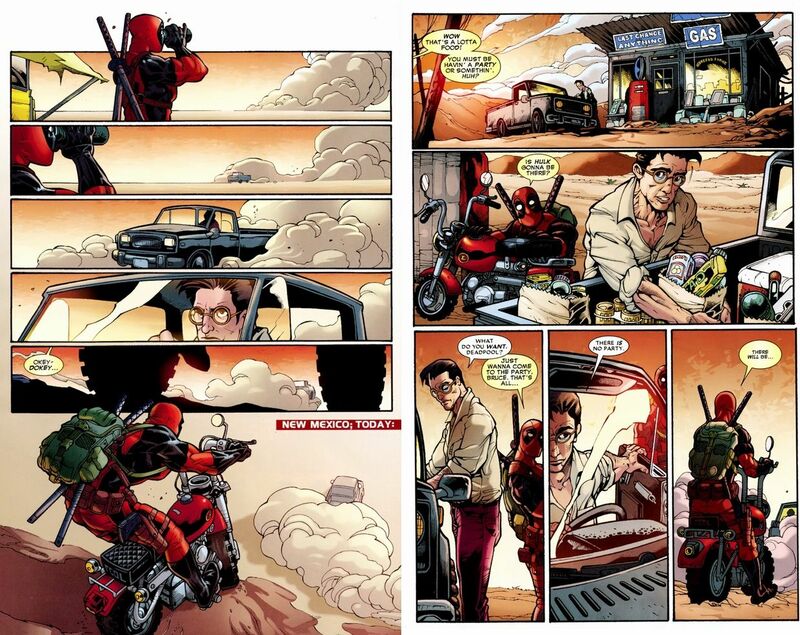 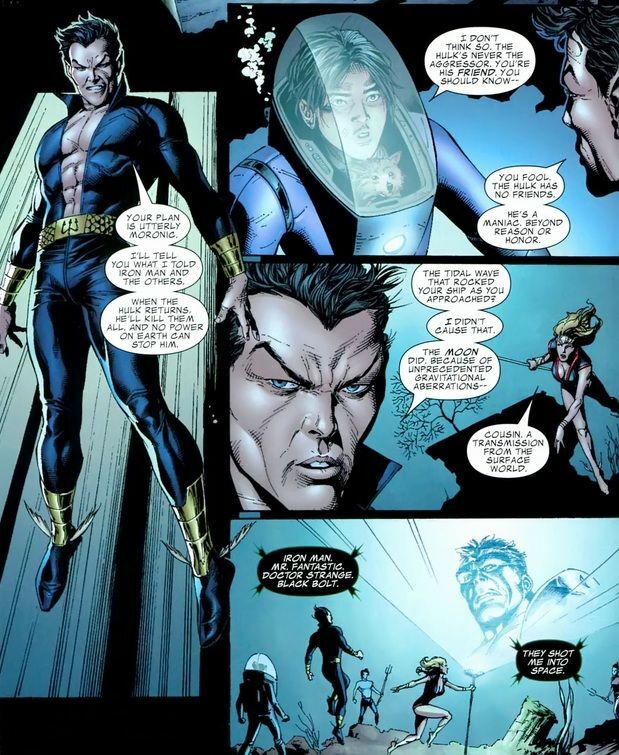 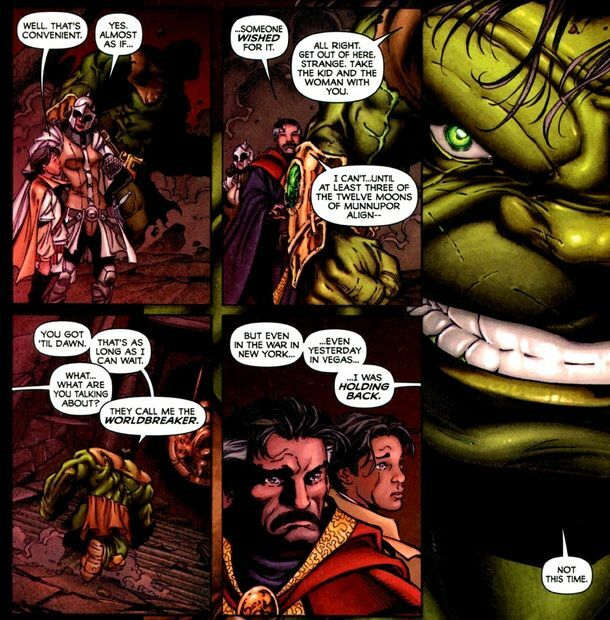 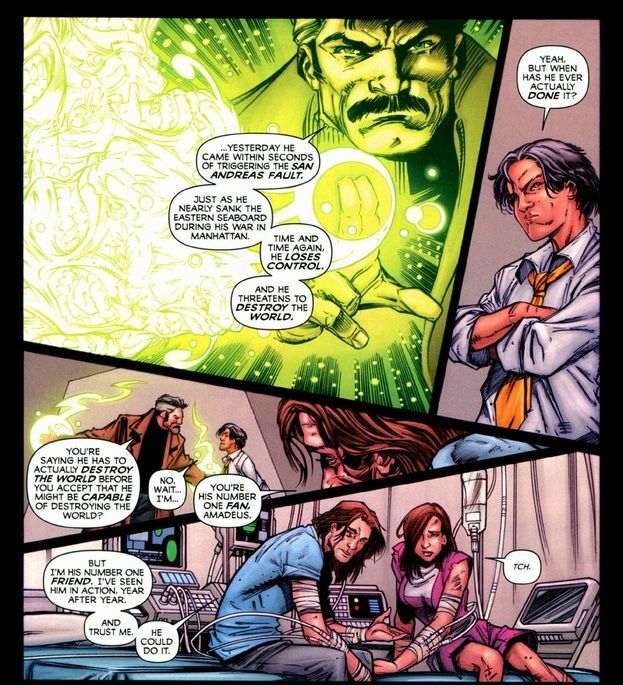 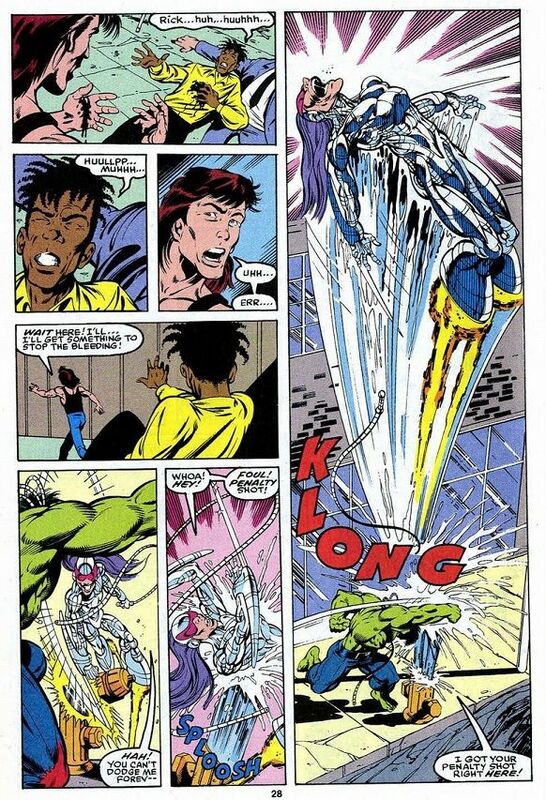 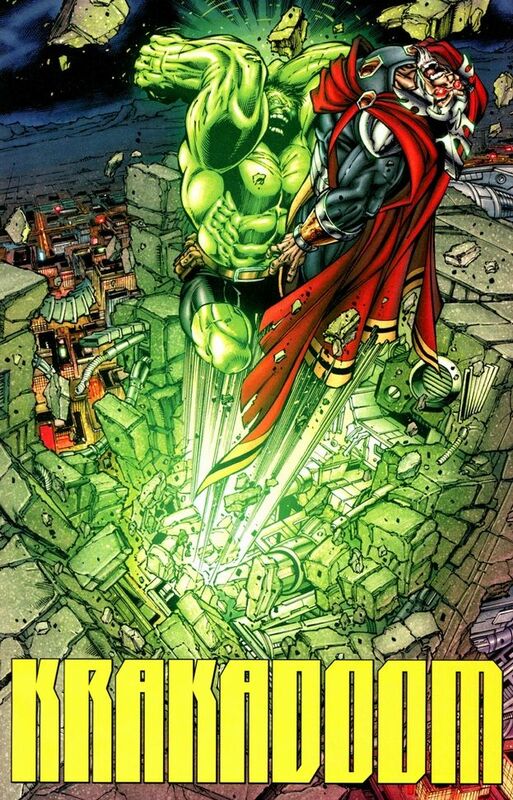 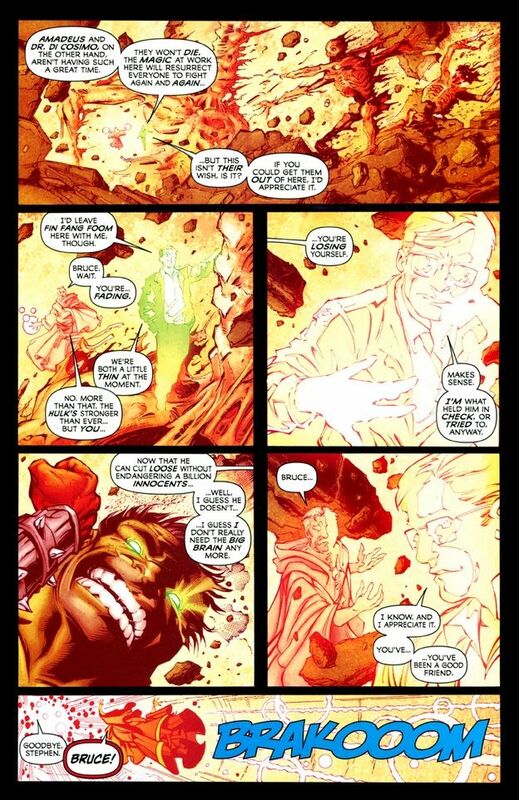 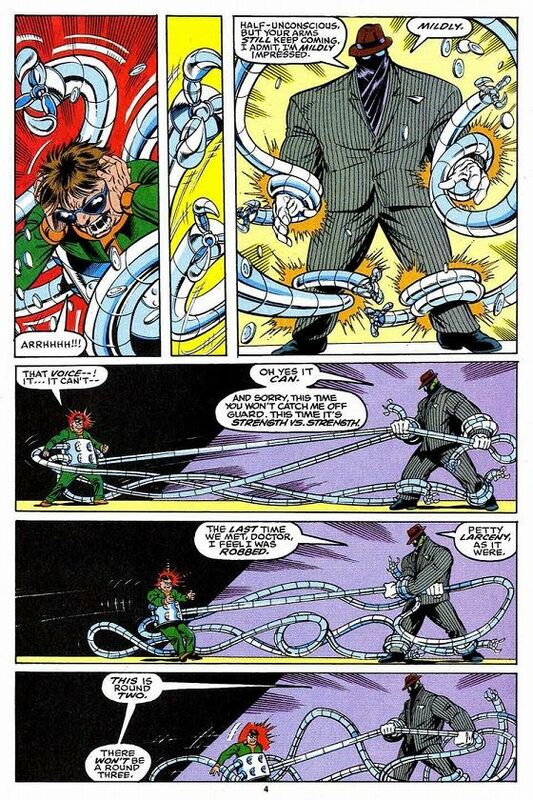 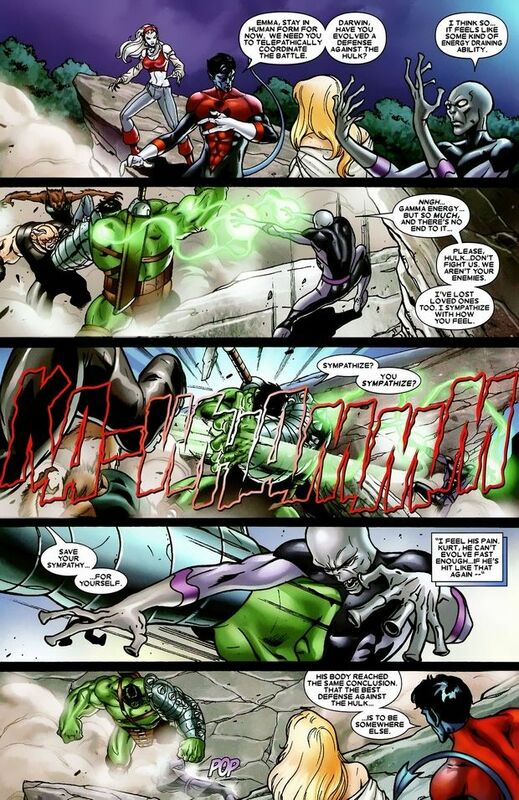 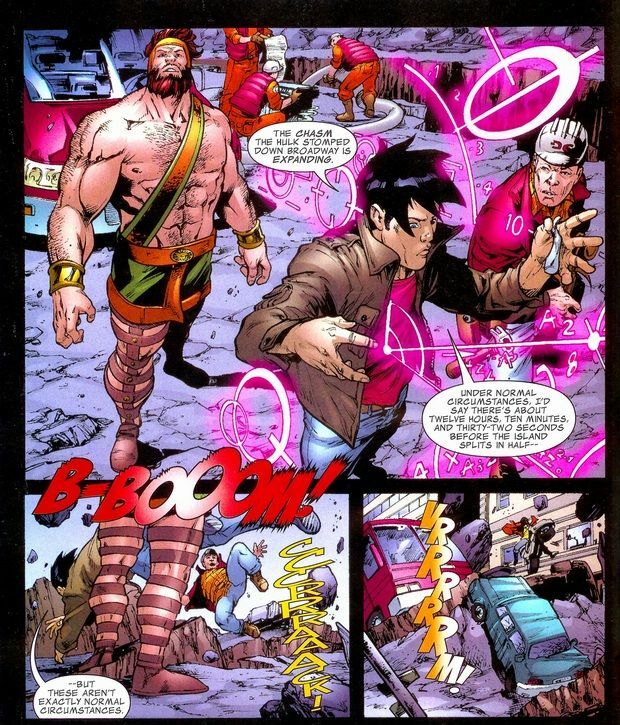 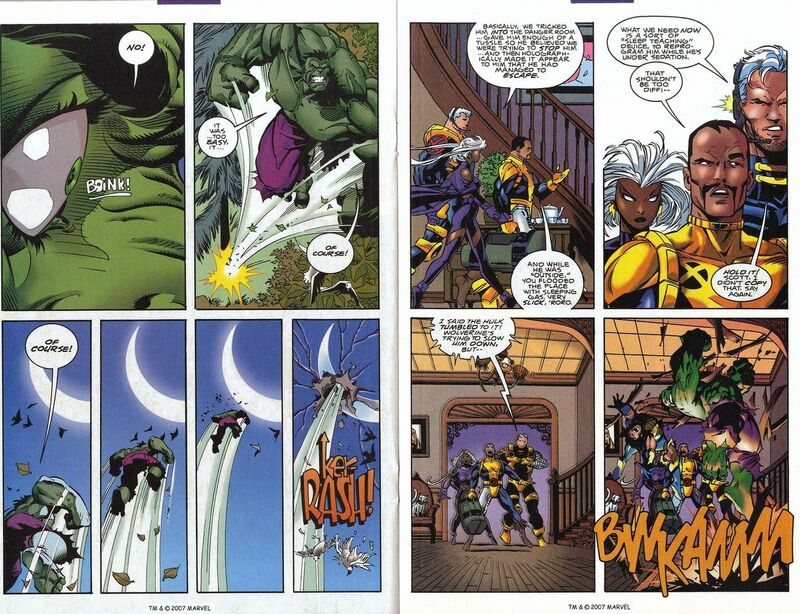 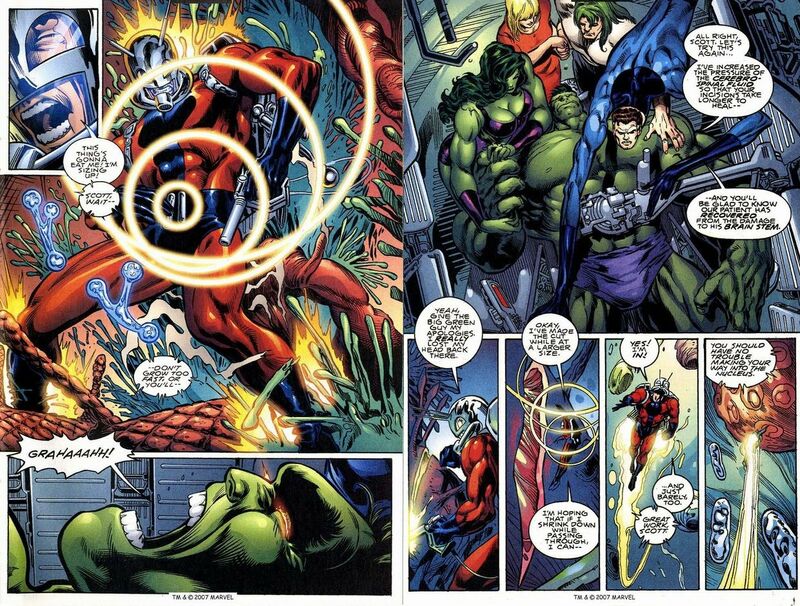 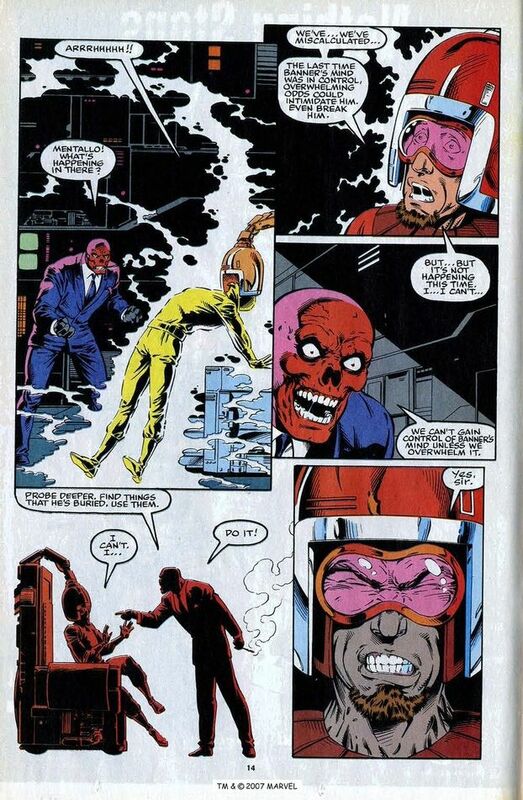 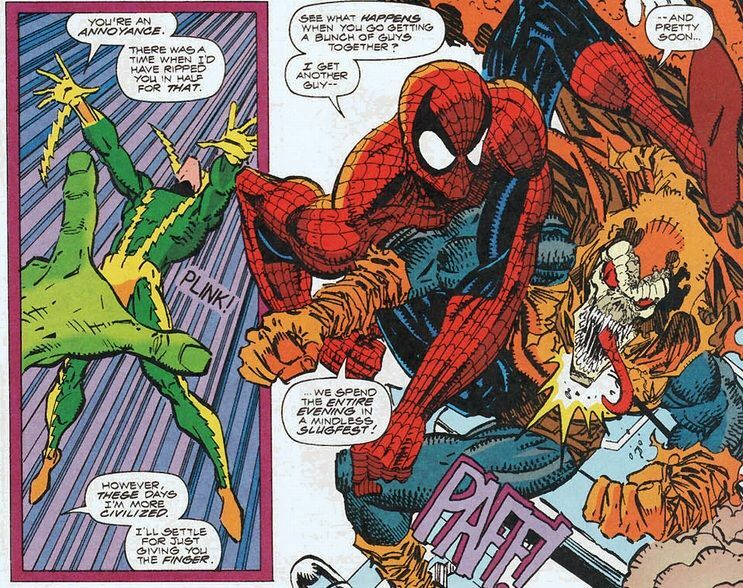 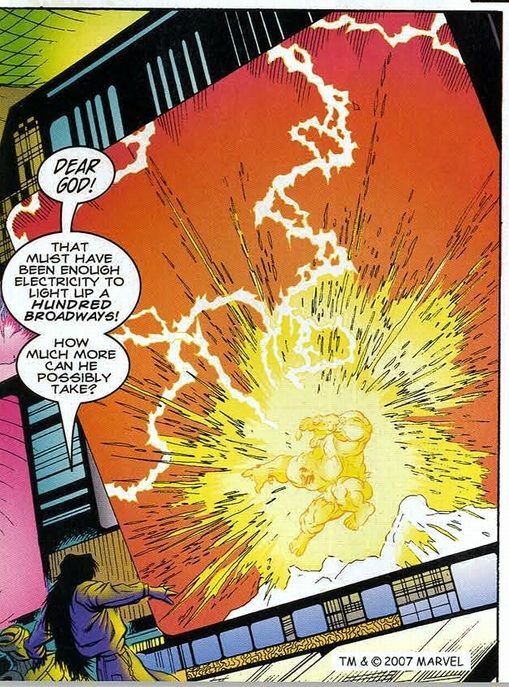 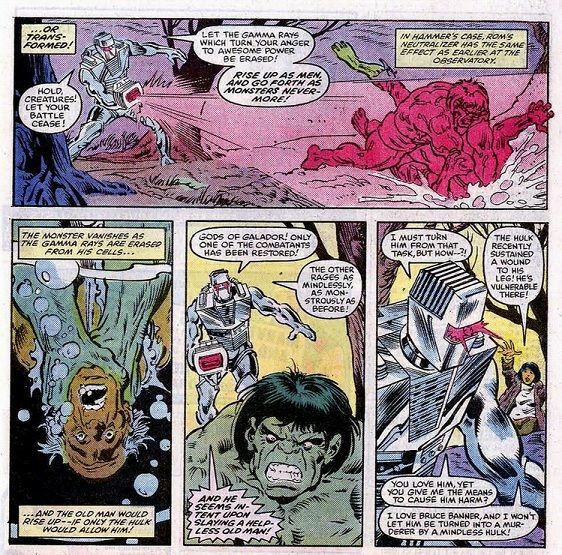 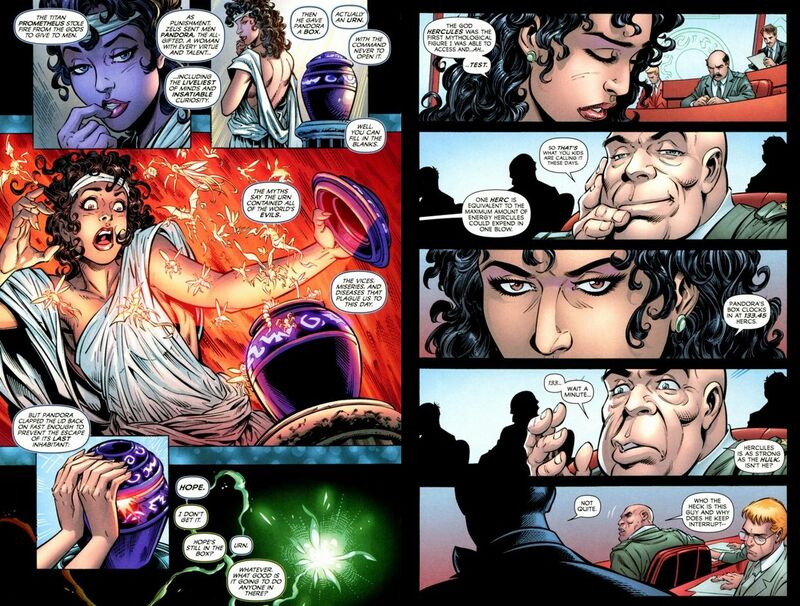 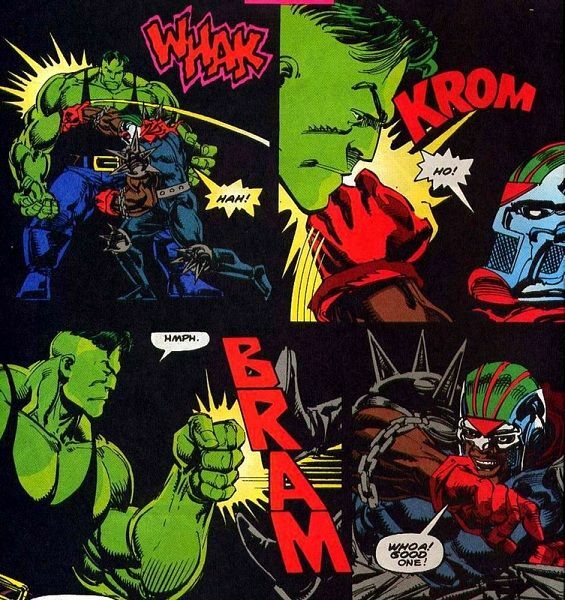 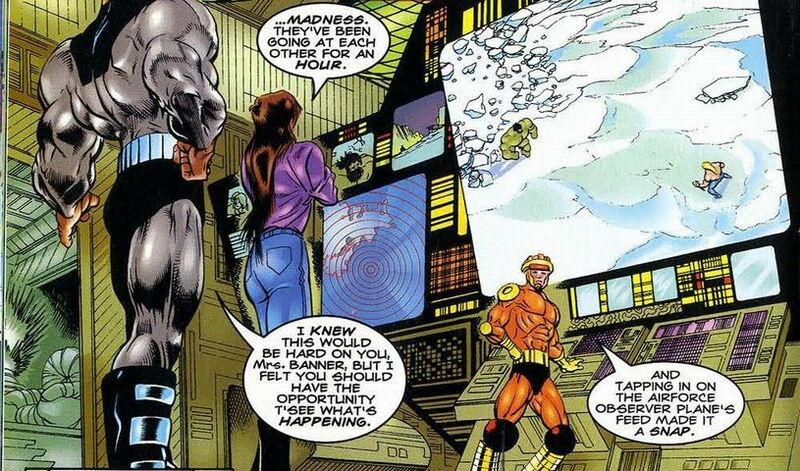 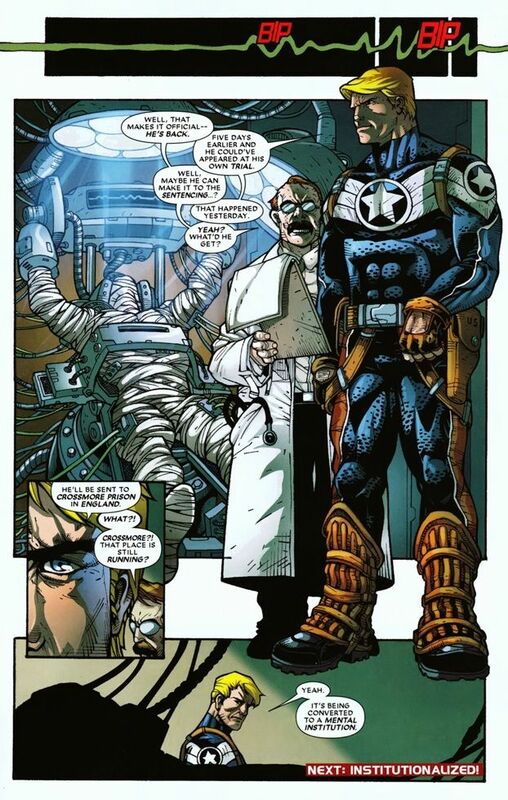 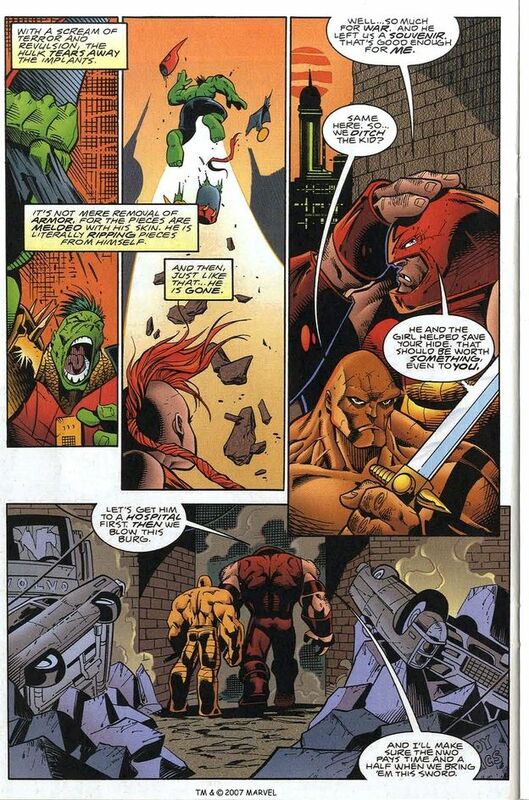 The first occurred when Banner committed mental suicide with the help of Dr. 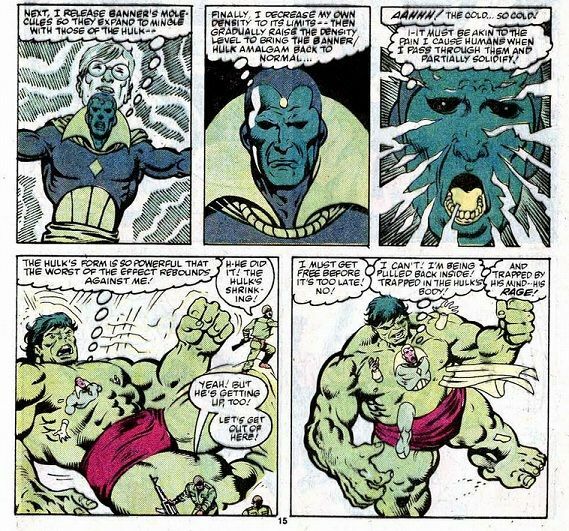 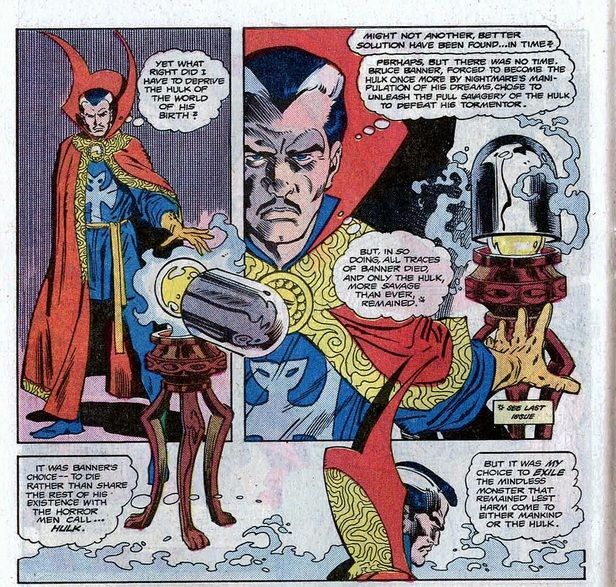 Strange to free himself from the cycle of violence that had peaked when Nightmare unleashed him on Earth. 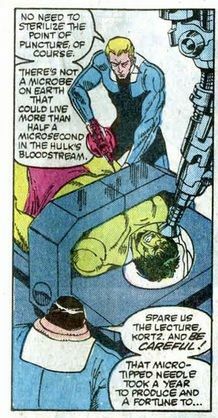 The second episode occurred when Doc Sampson used an experimental nutrient bath to separate the two. 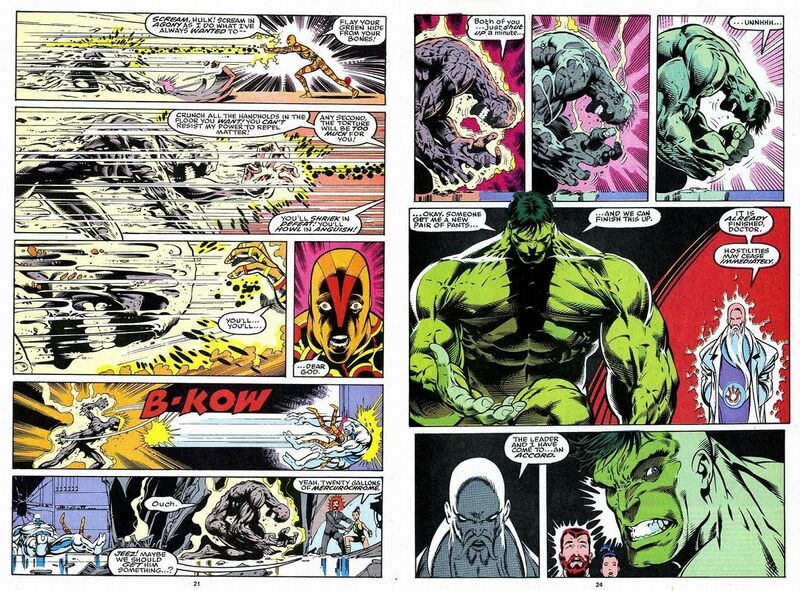 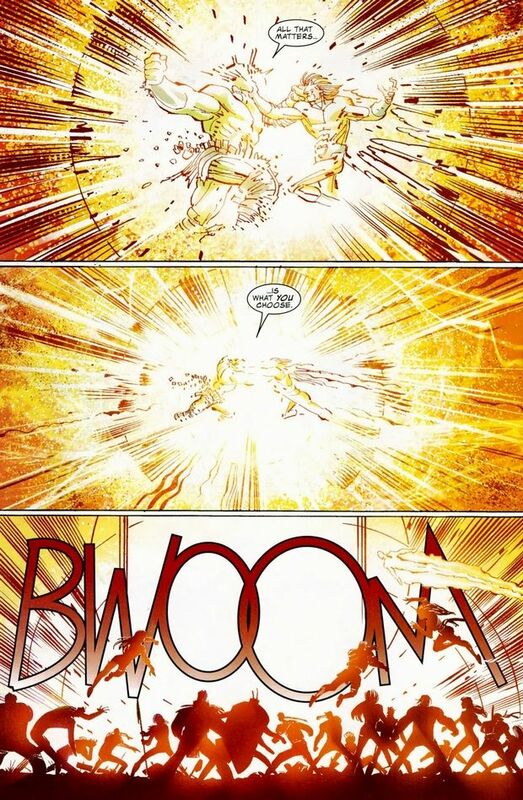 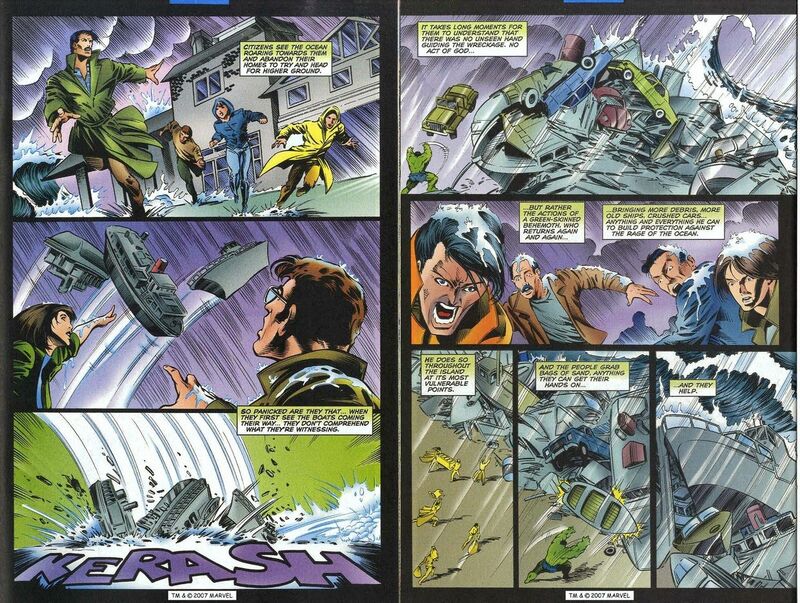 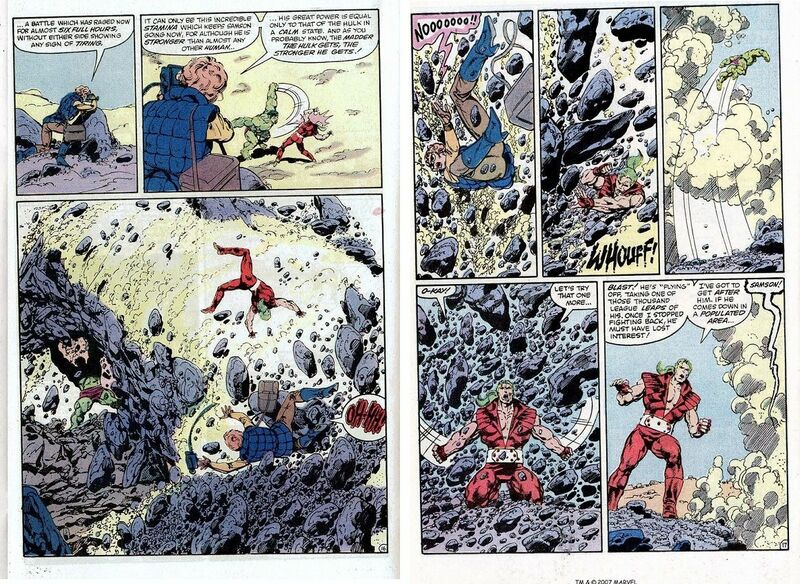 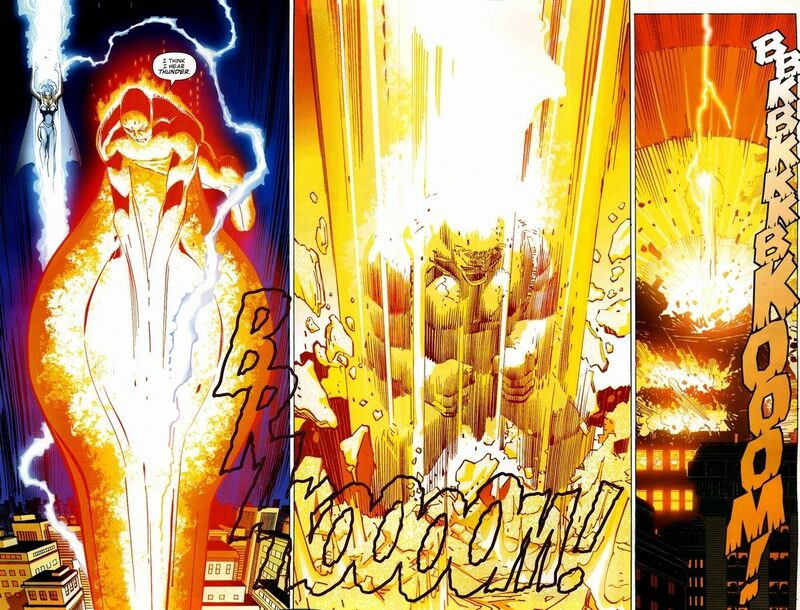 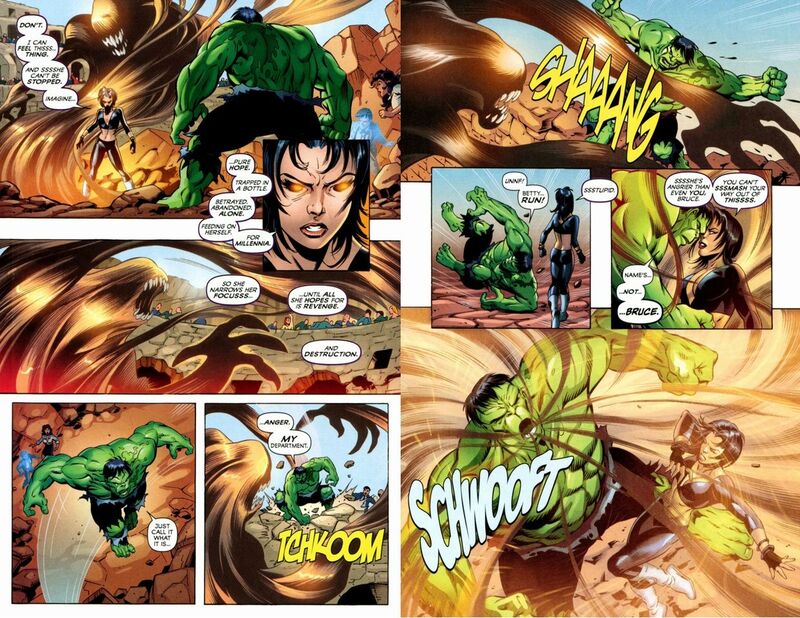 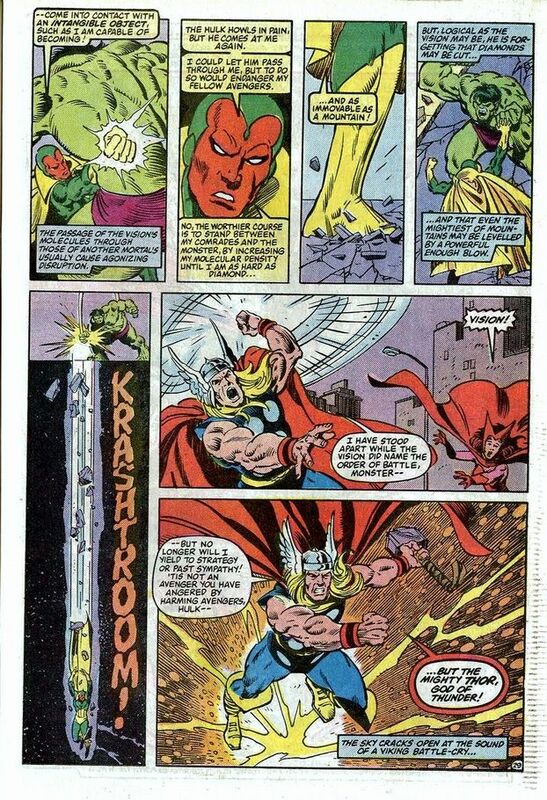 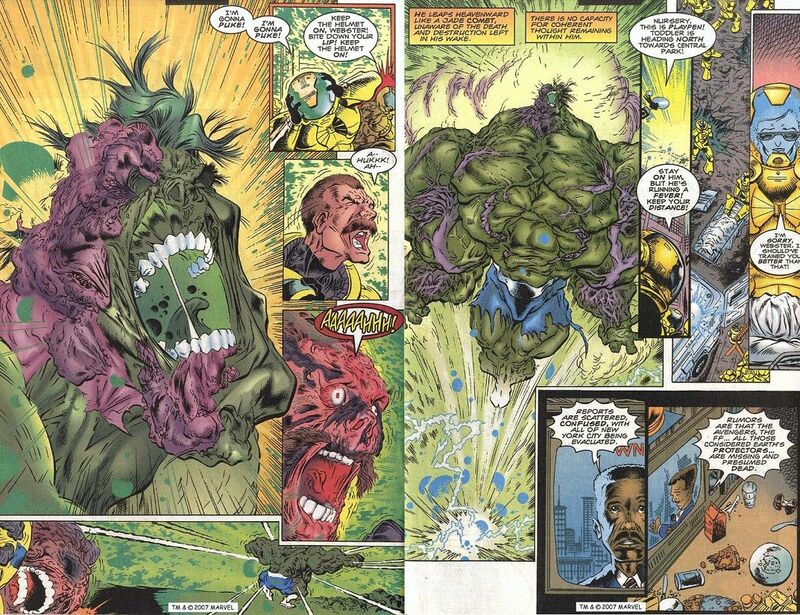 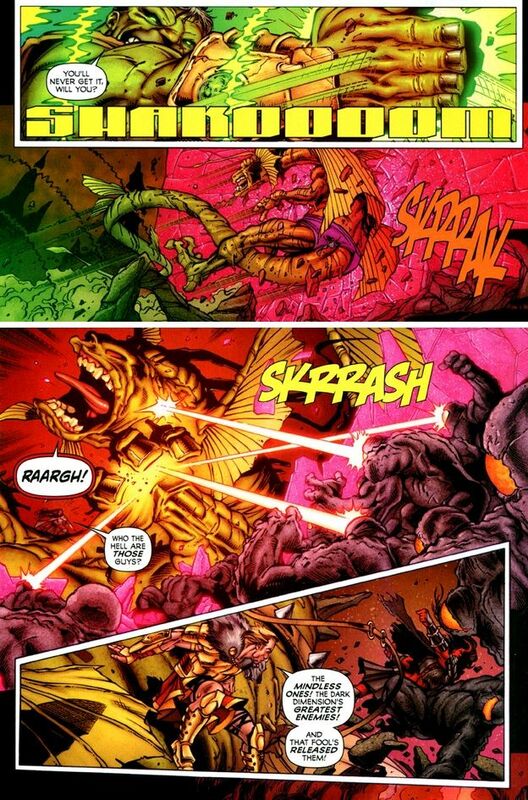 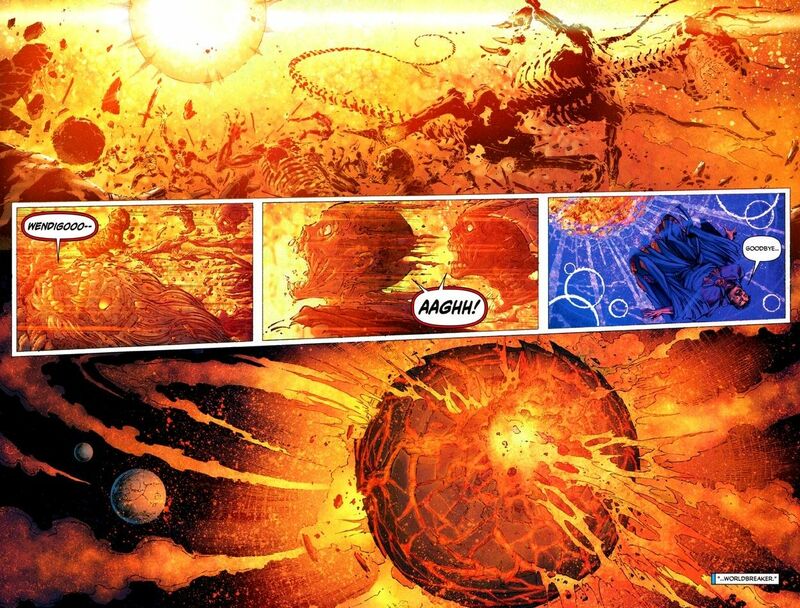 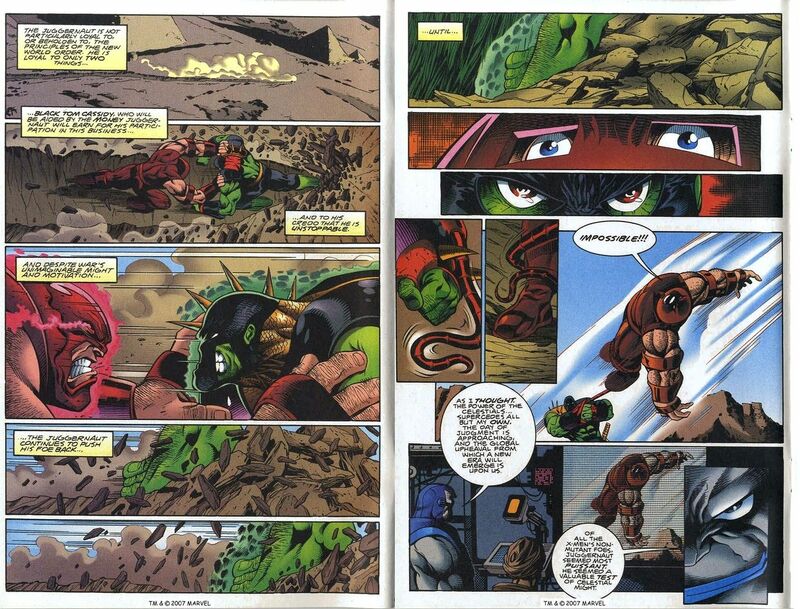 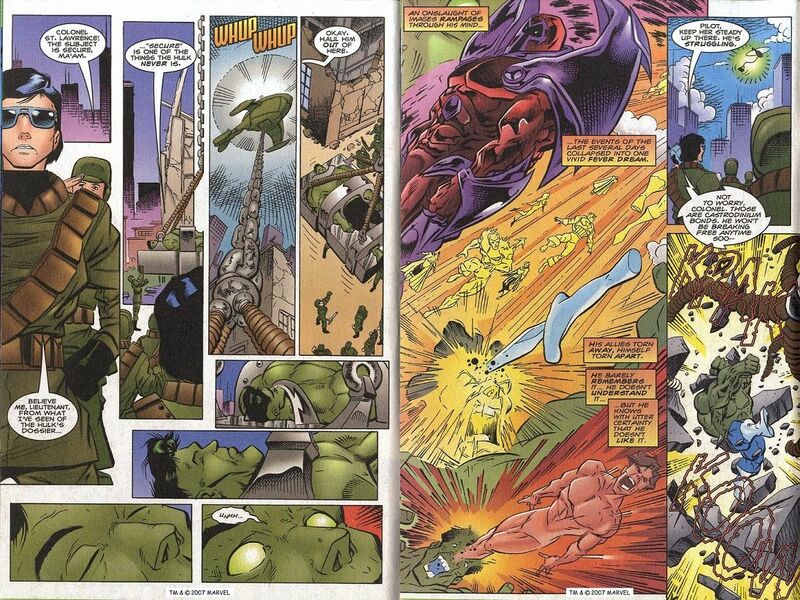 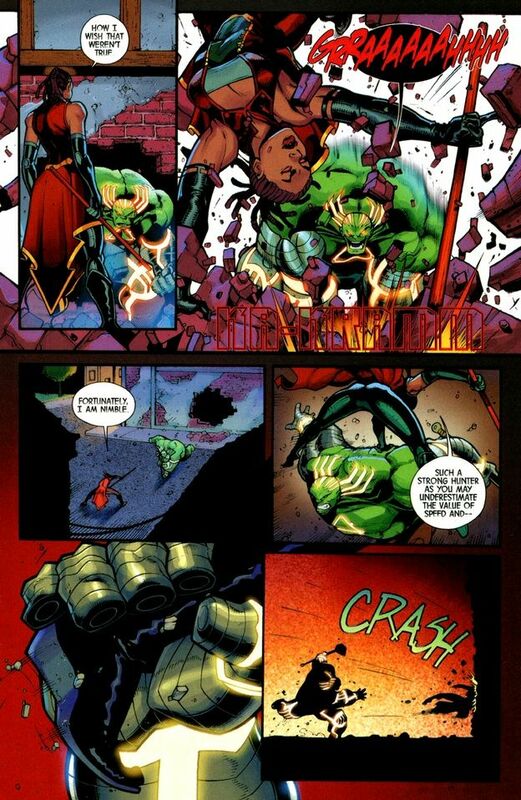 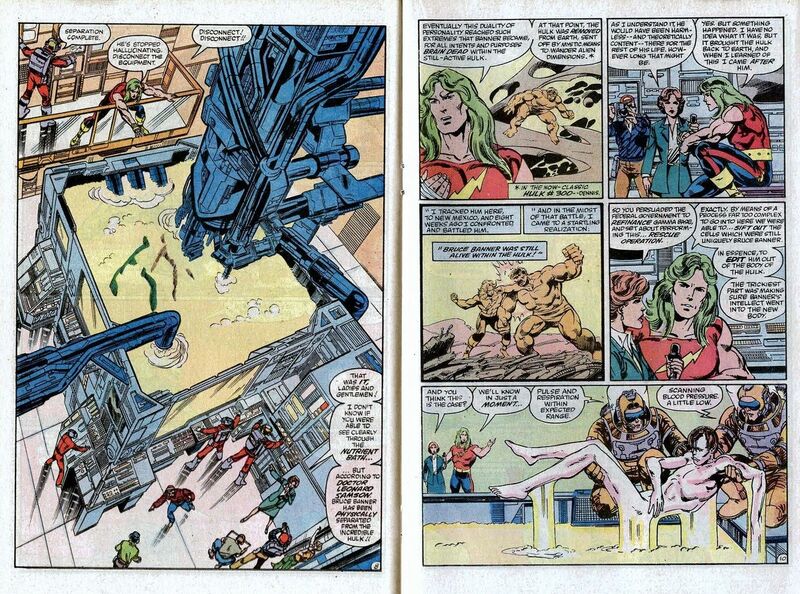 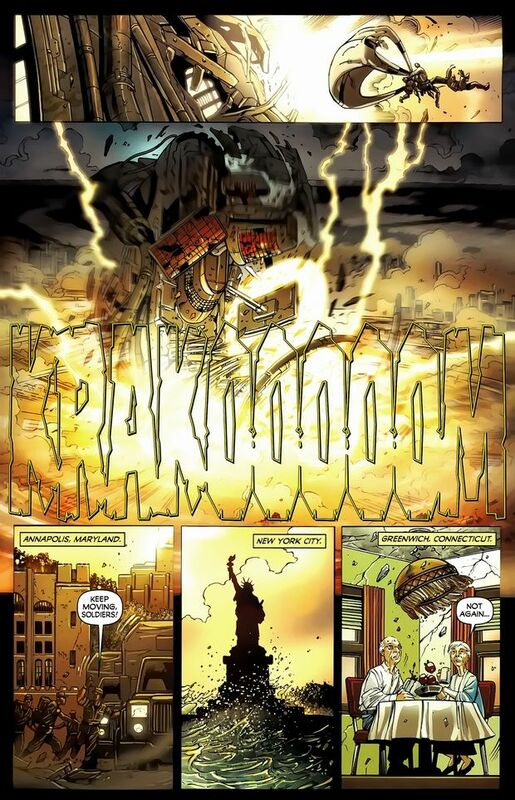 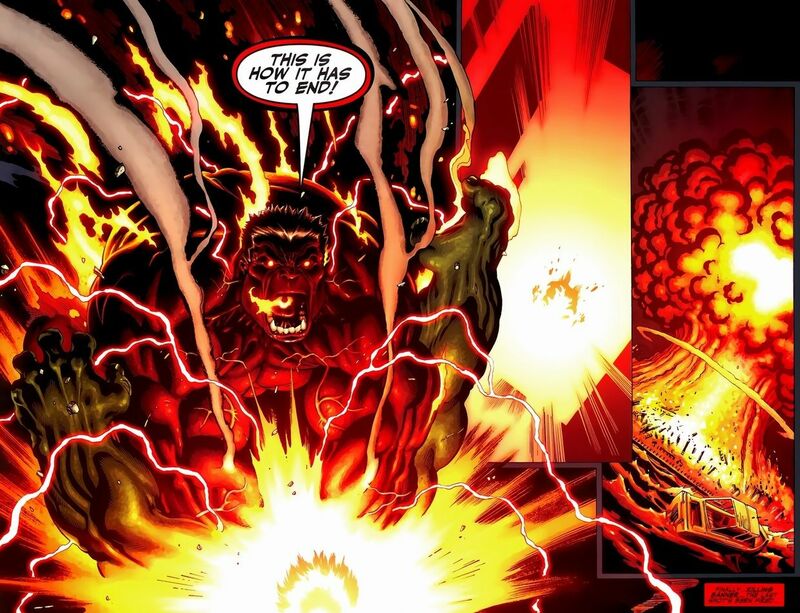 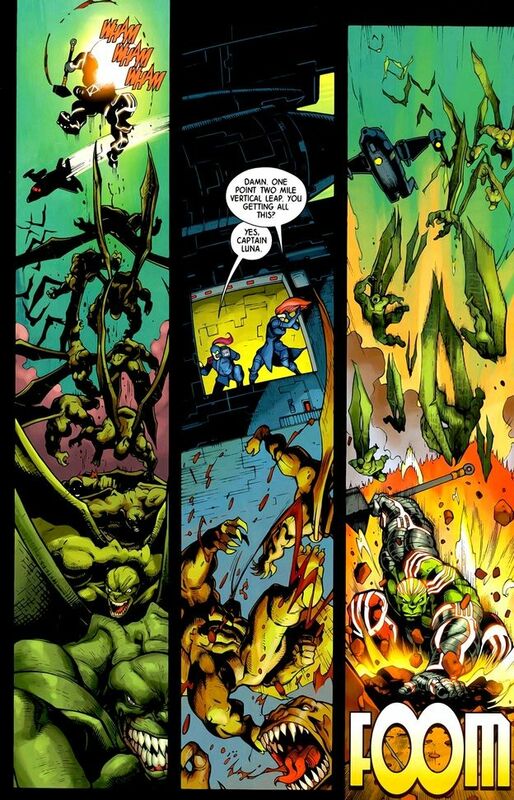 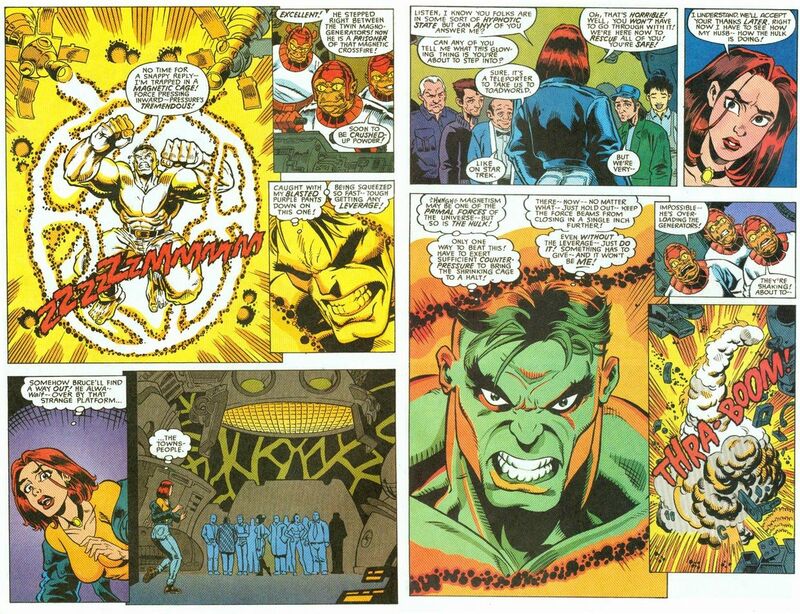 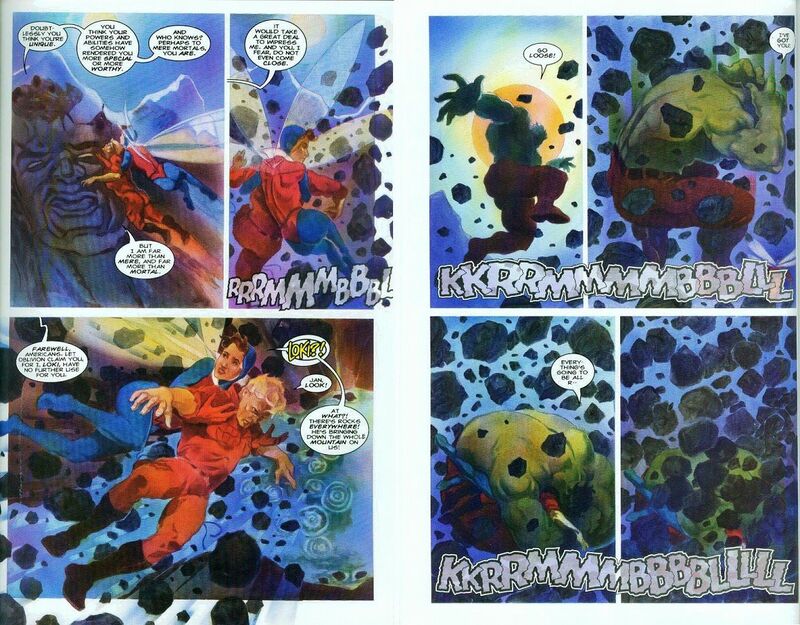 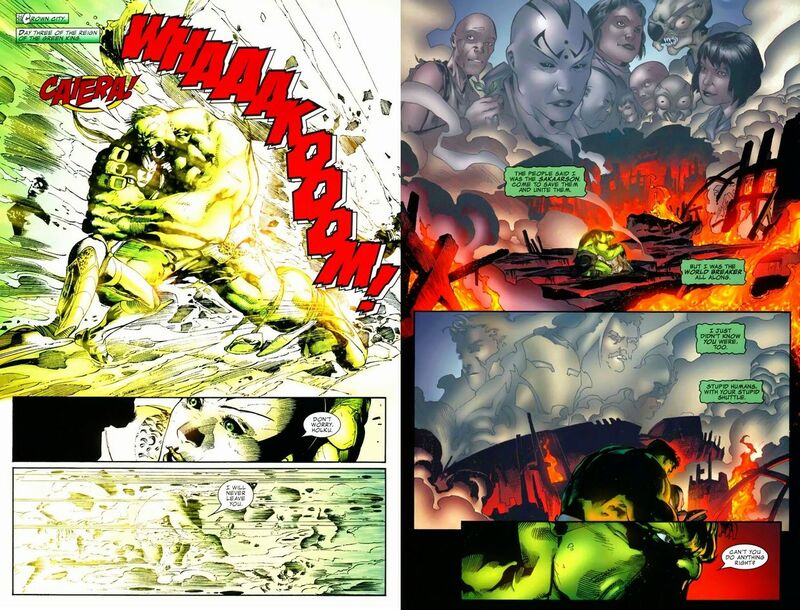 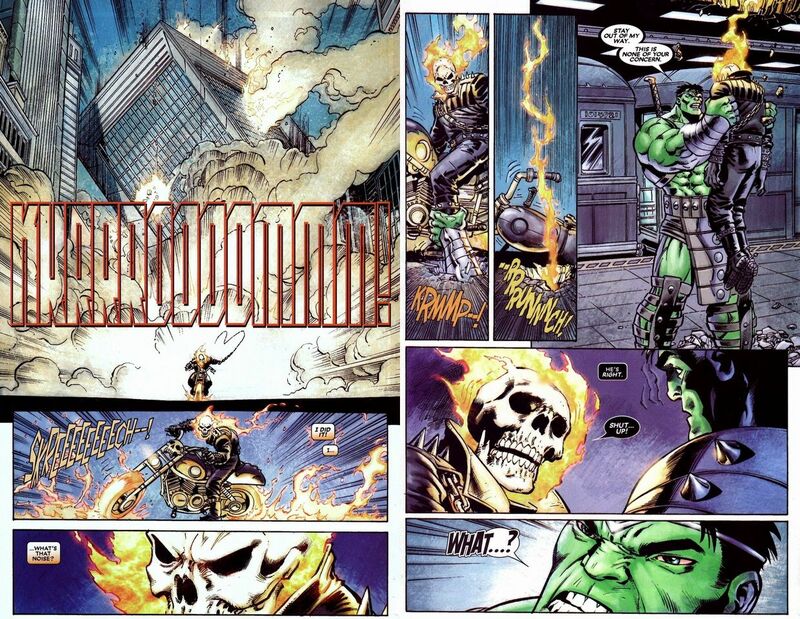 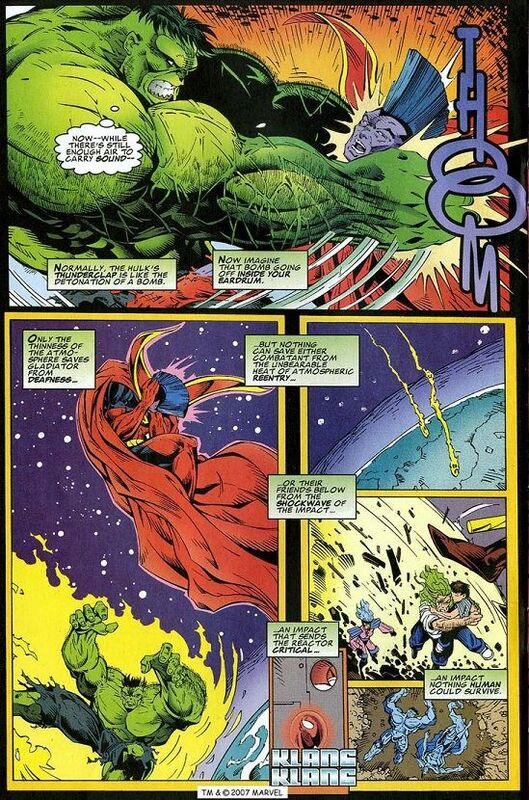 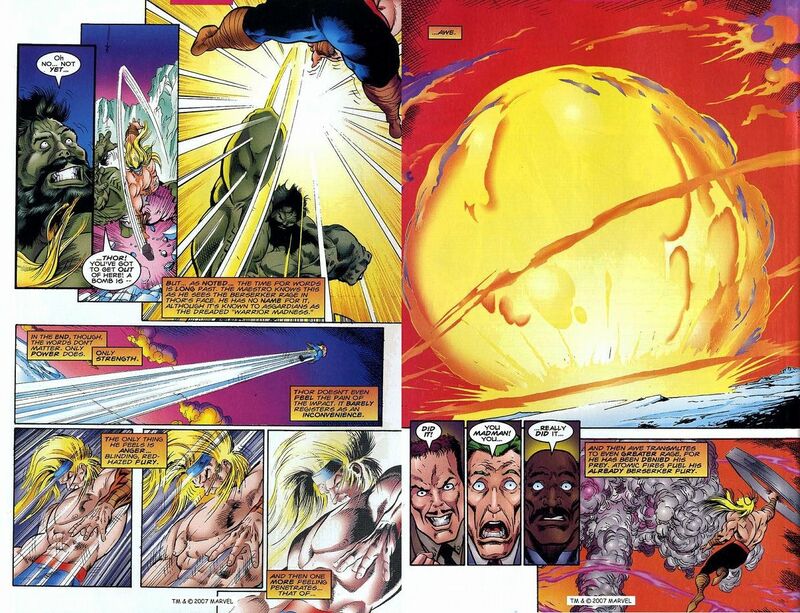 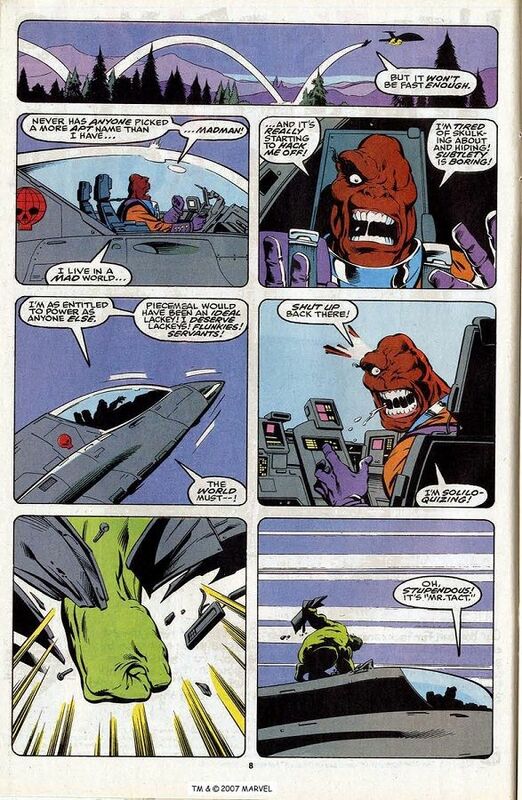 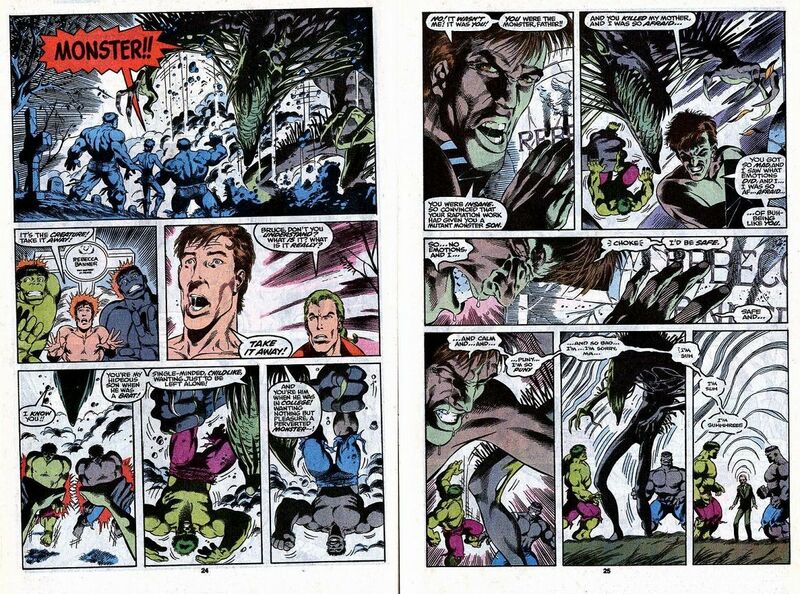 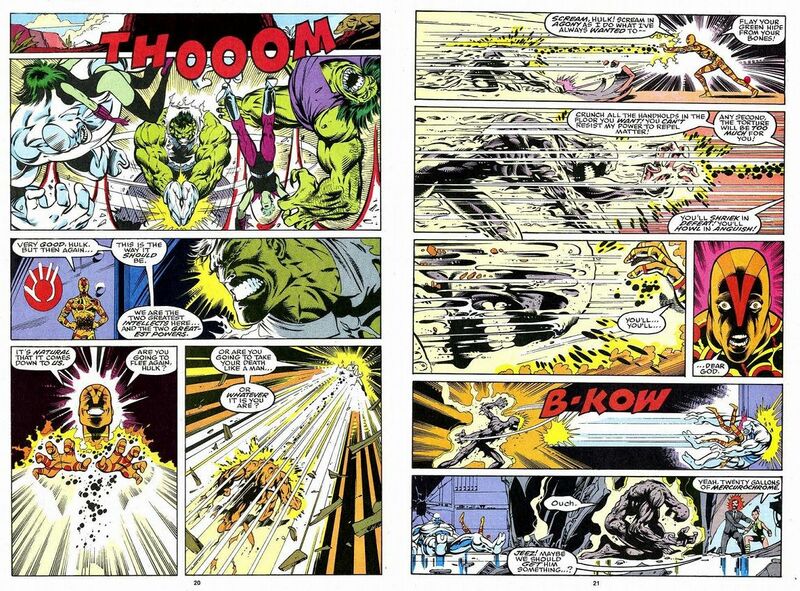 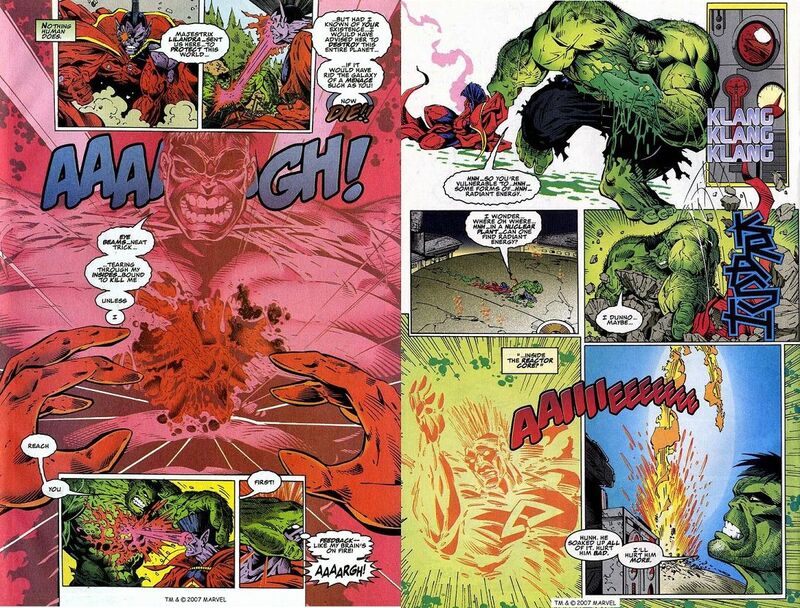 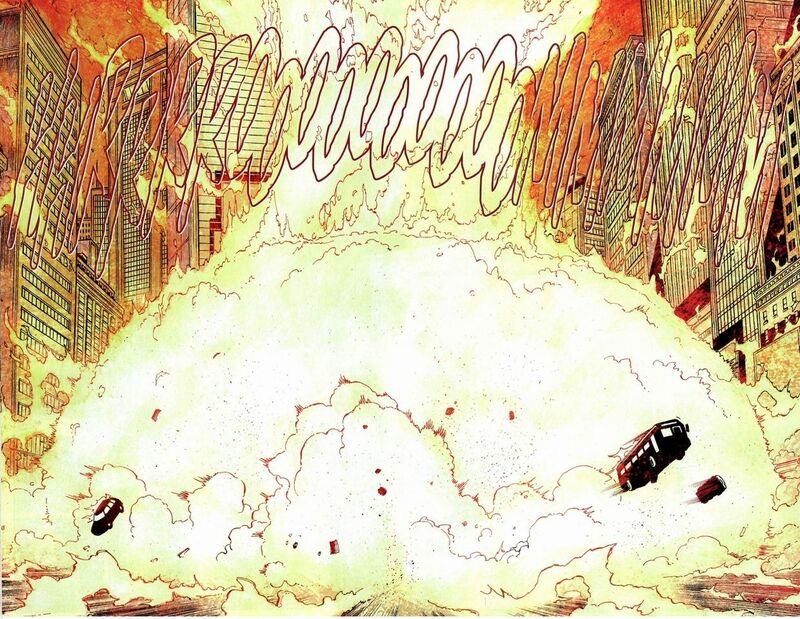 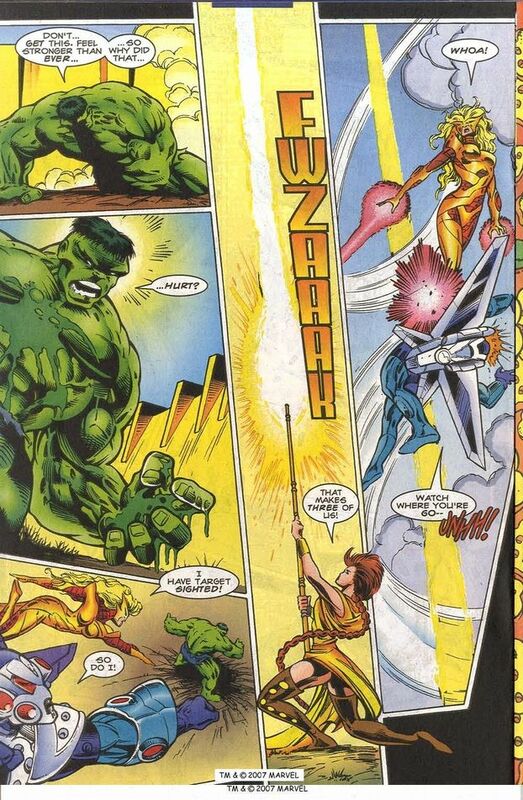 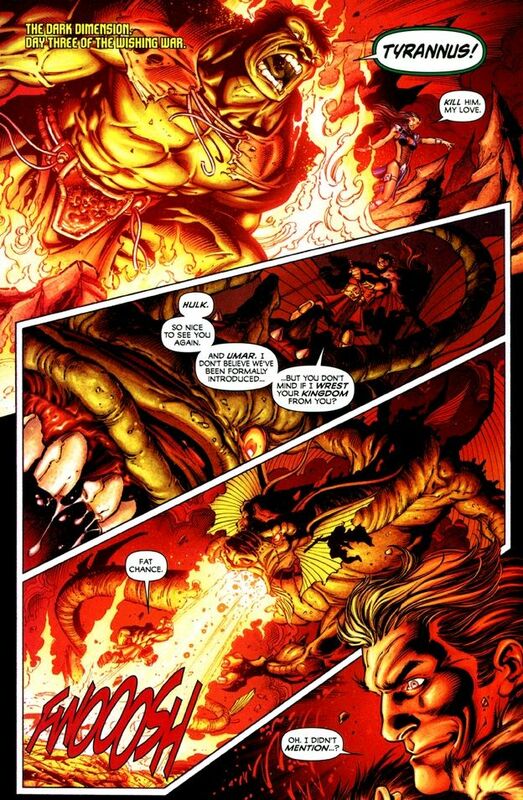 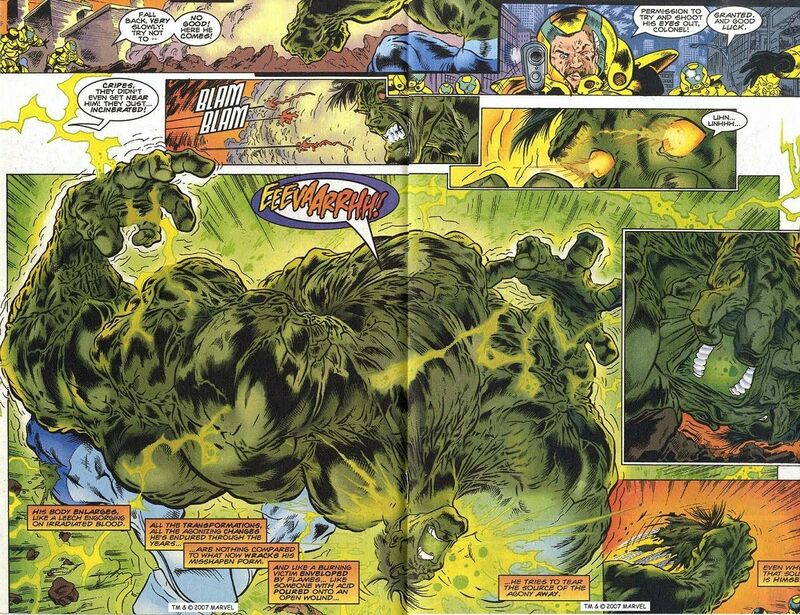 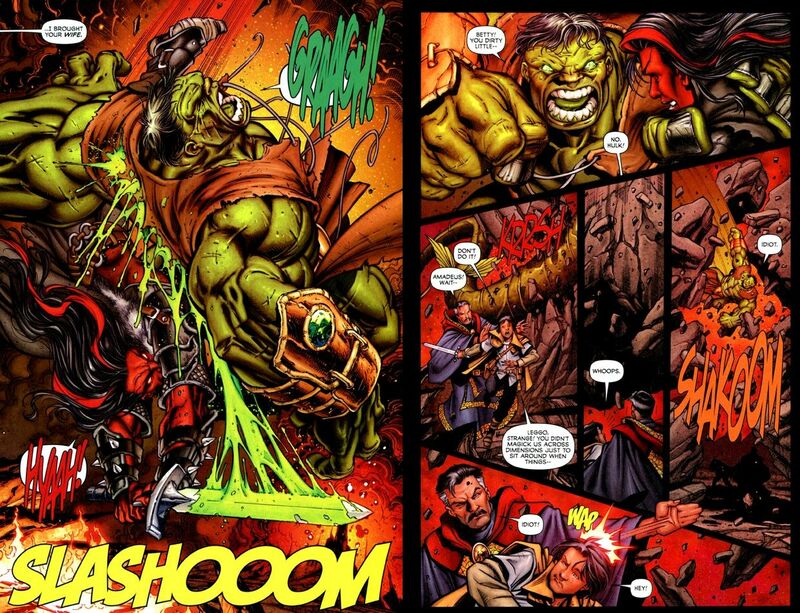 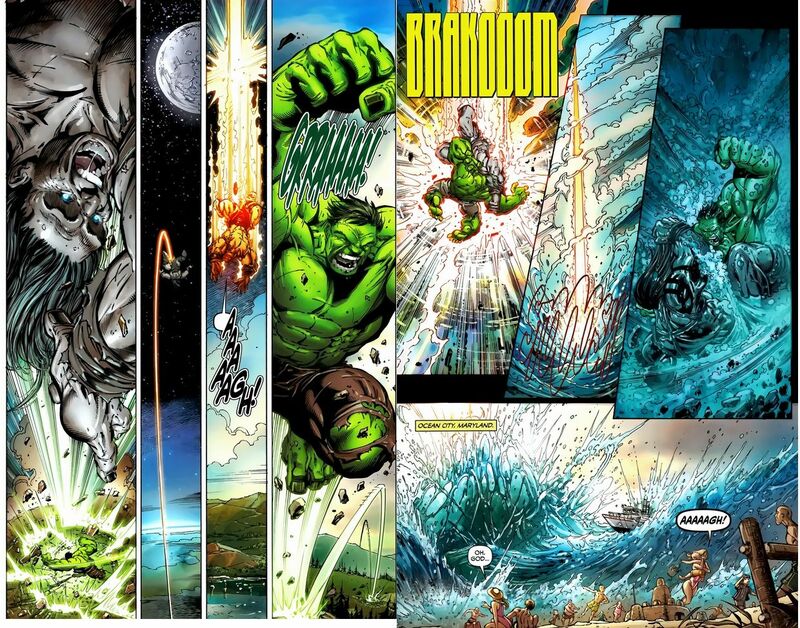 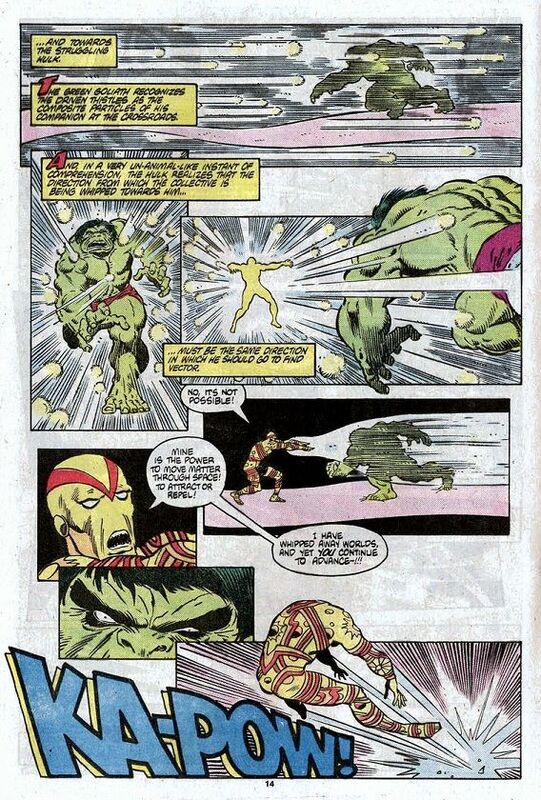 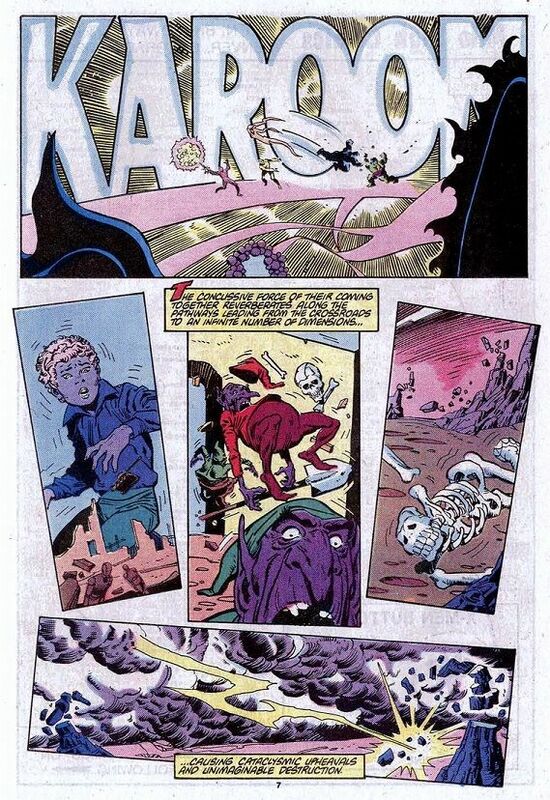 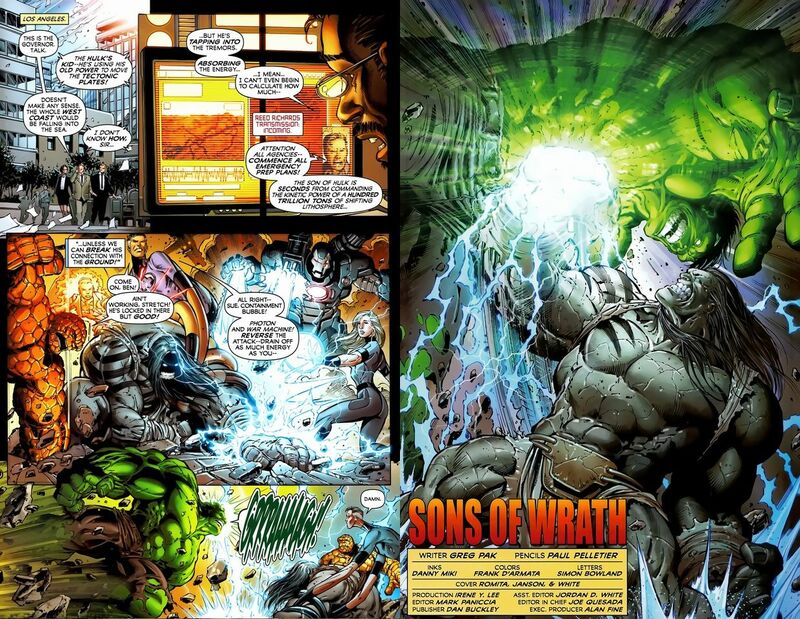 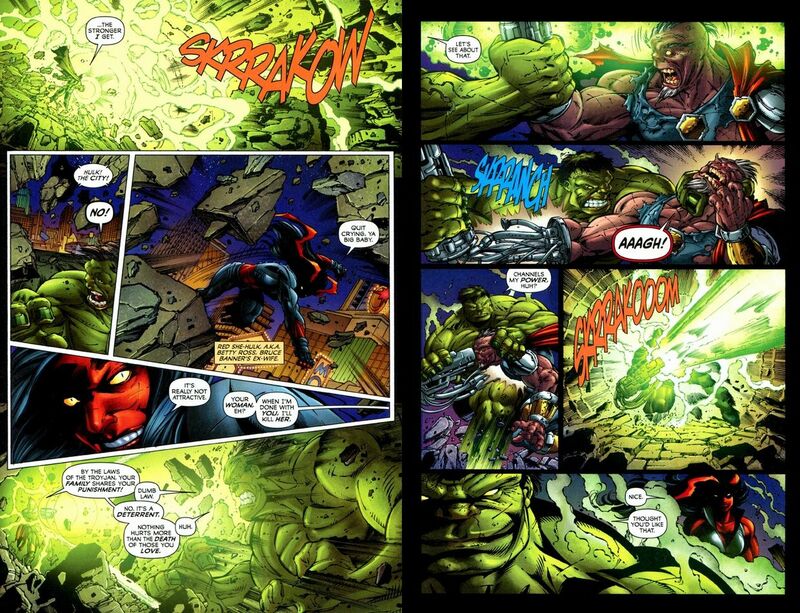 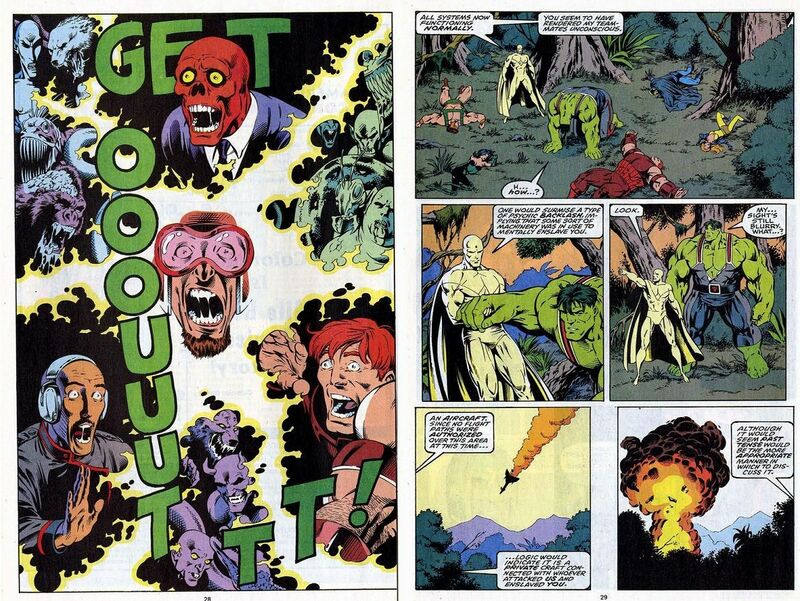 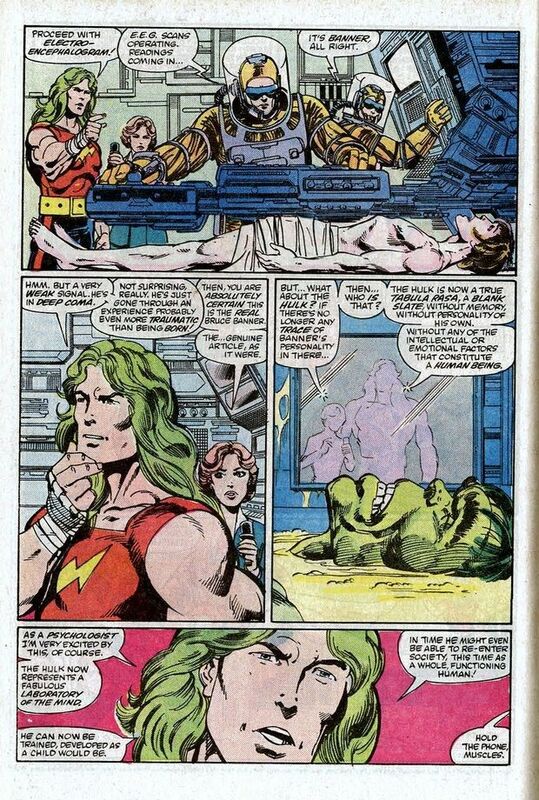 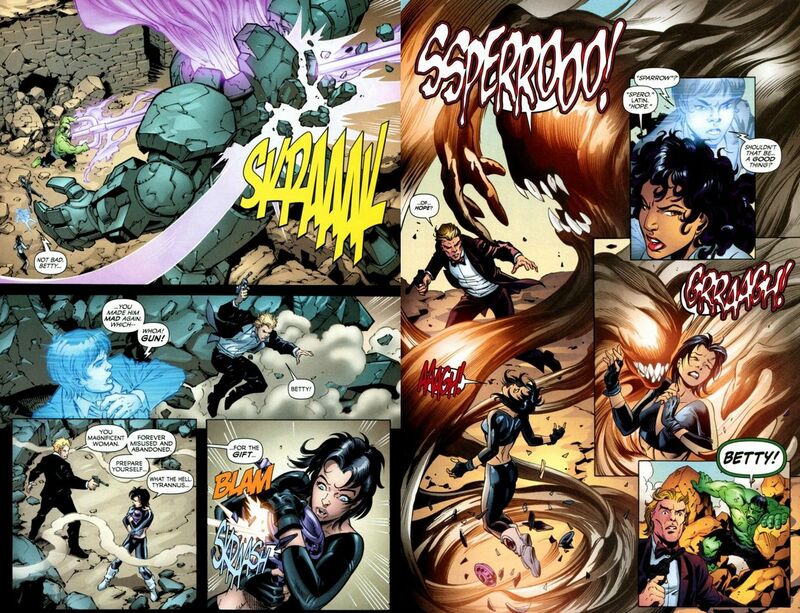 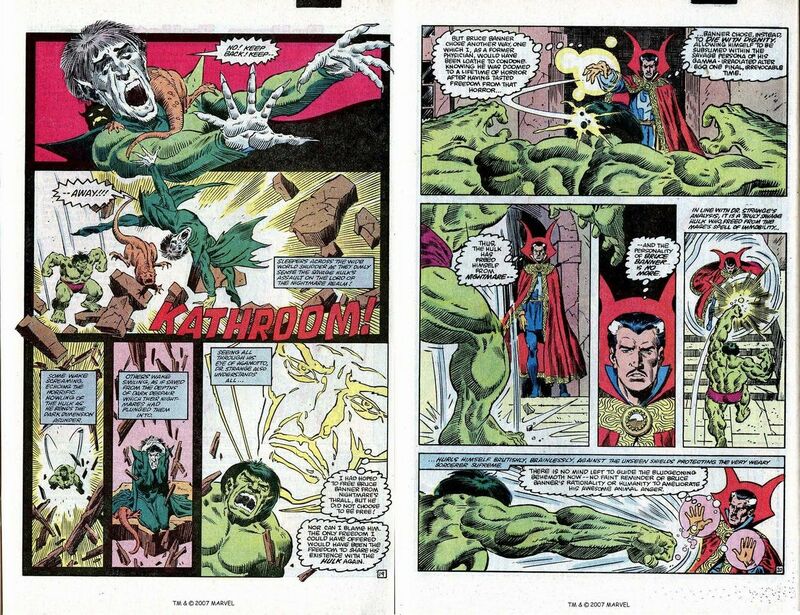 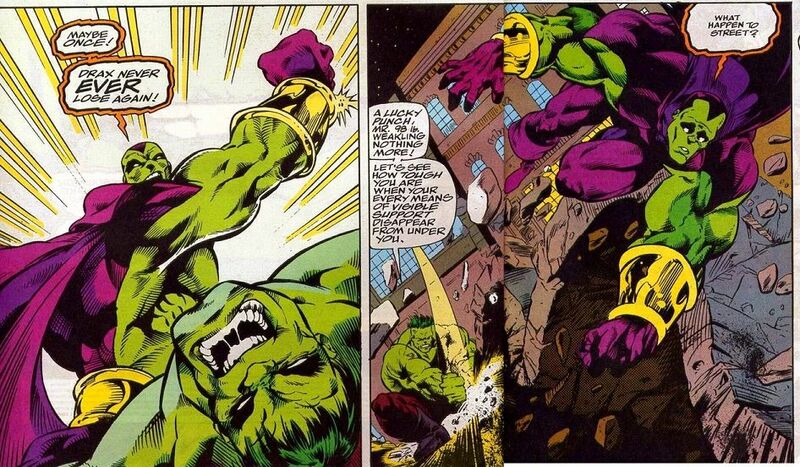 The third episode came when the eruption of Onslaught's reality-warping powers split Banner from Hulk. 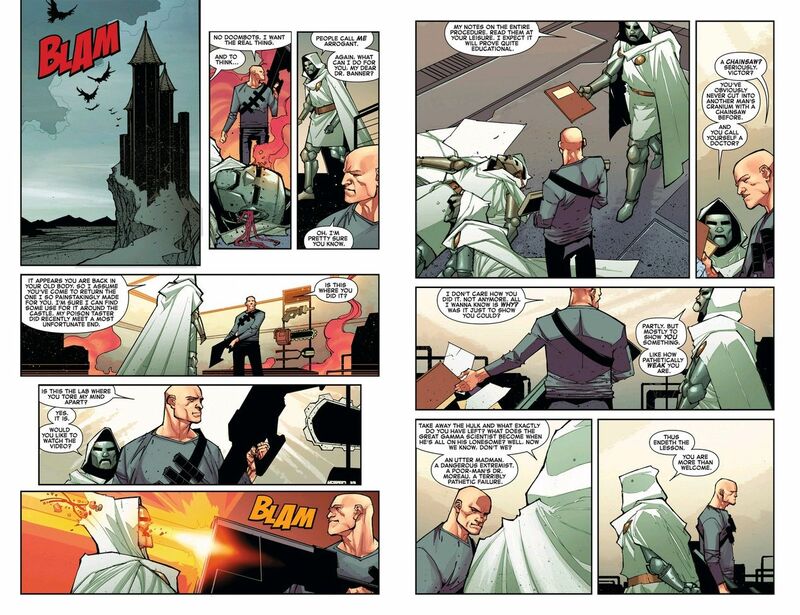 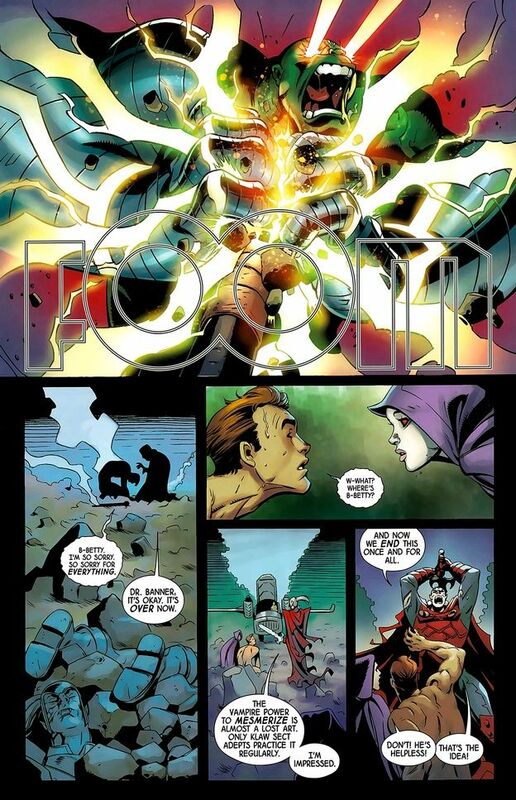 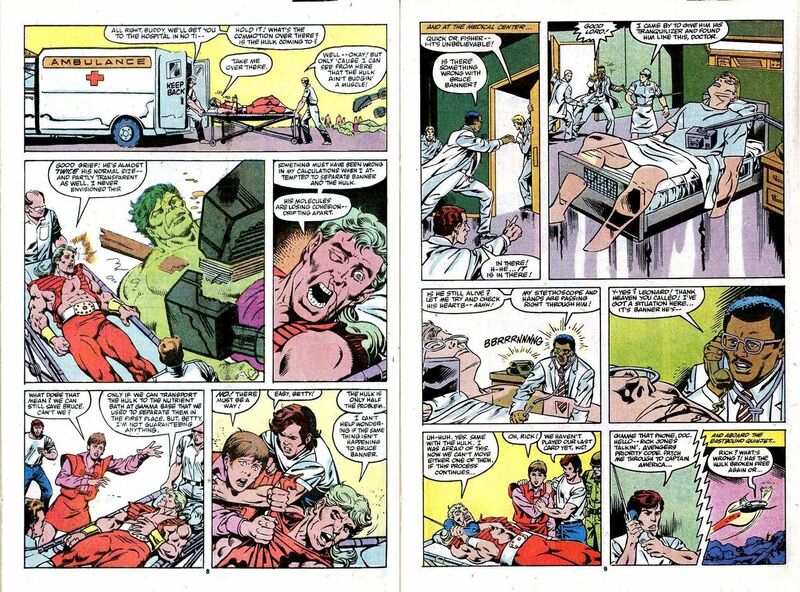 The most recent episode occurred when Dr. Doom surgically separated the two. 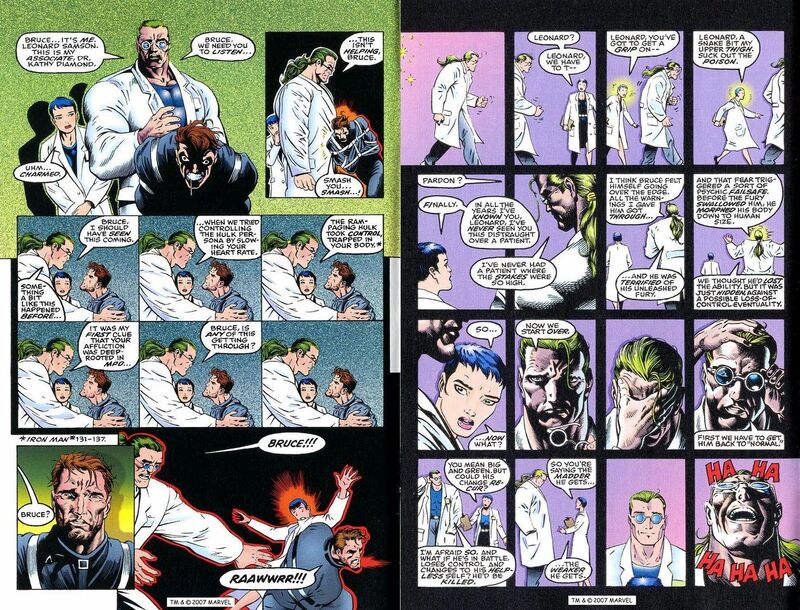 Each occurrence proved detrimental as one (or both) would eventually deteriorate physically or mentally. 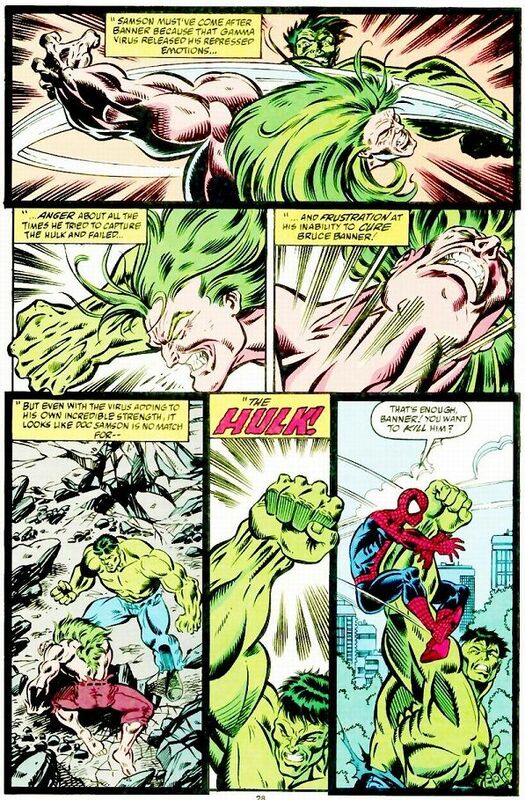 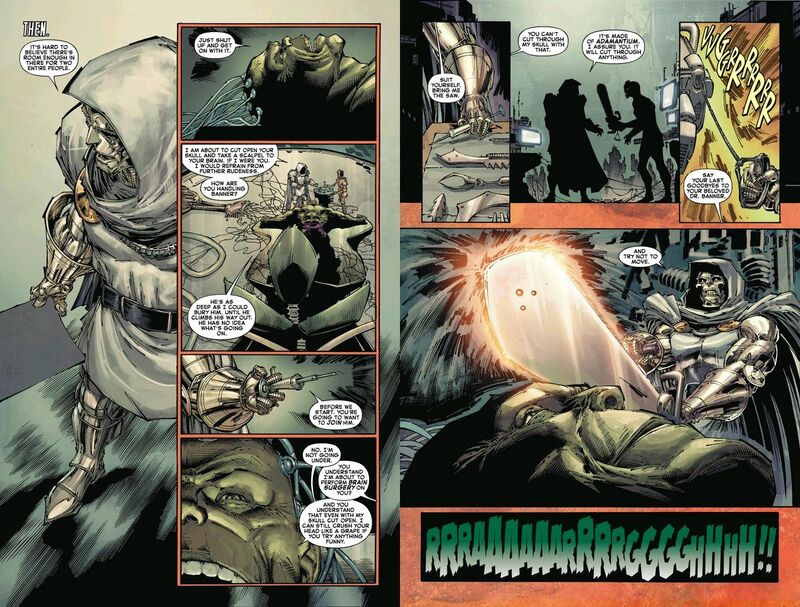 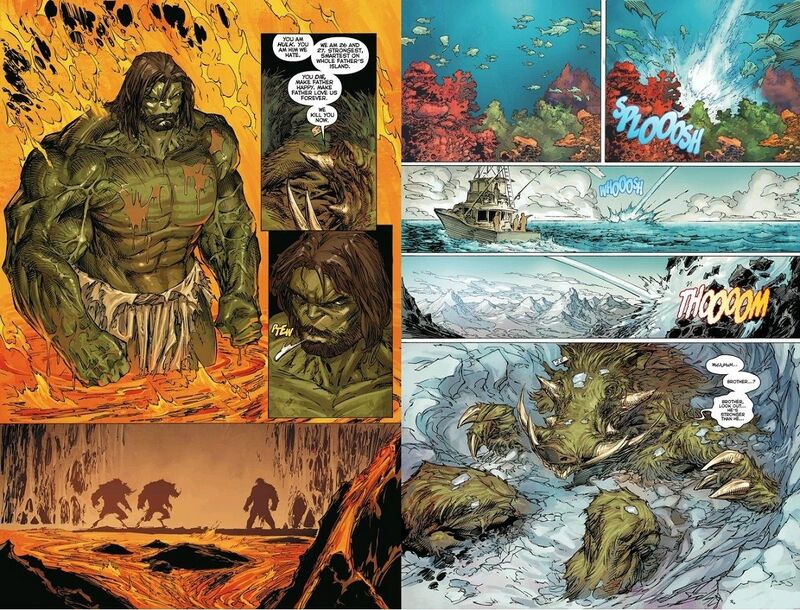 In any event, the Mindless Hulk would rarely restrain himself and having no human element within him, would demonstrate feats of strength surpassing the previous Hulk incarnations covered so far. 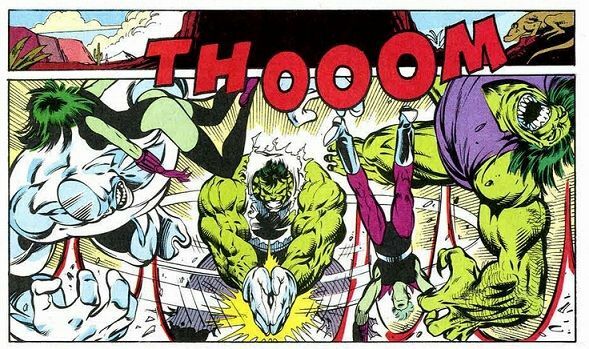 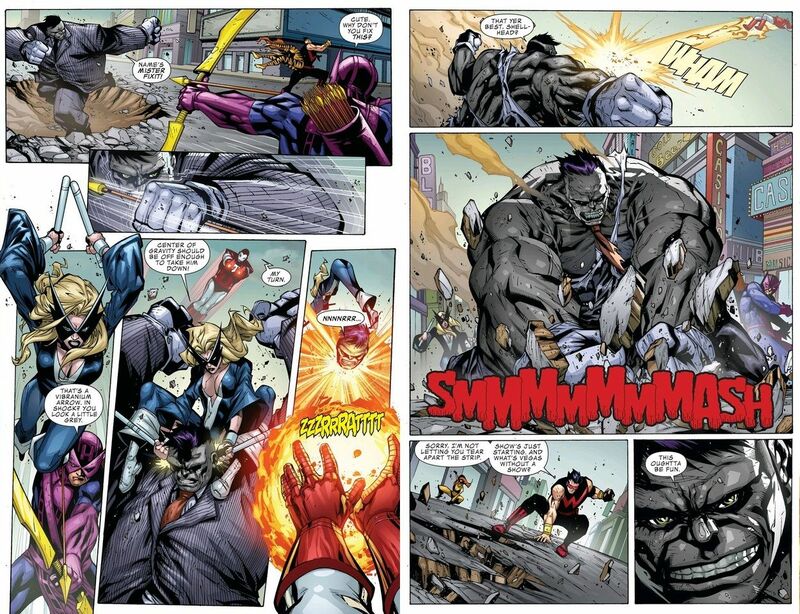 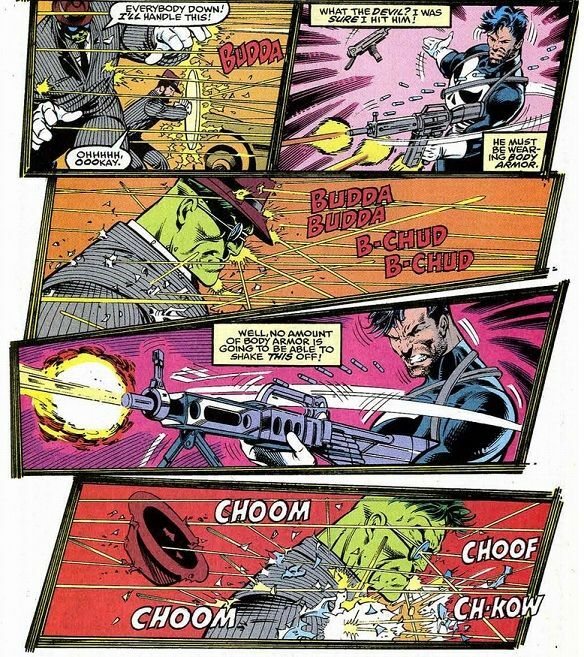 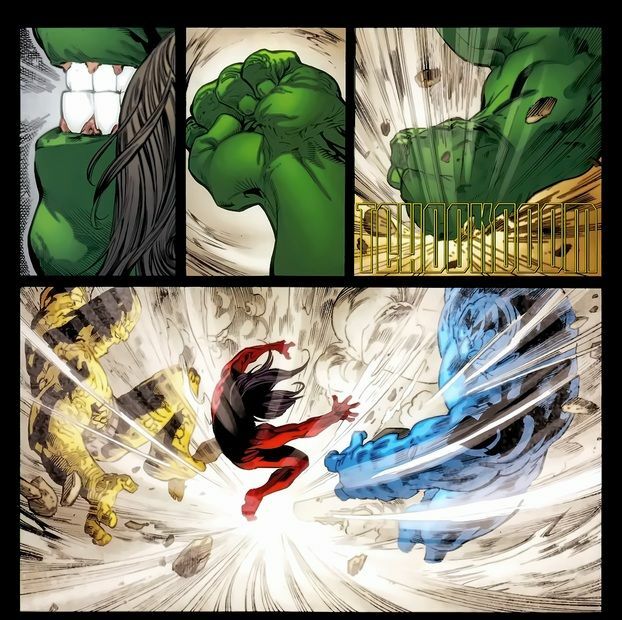 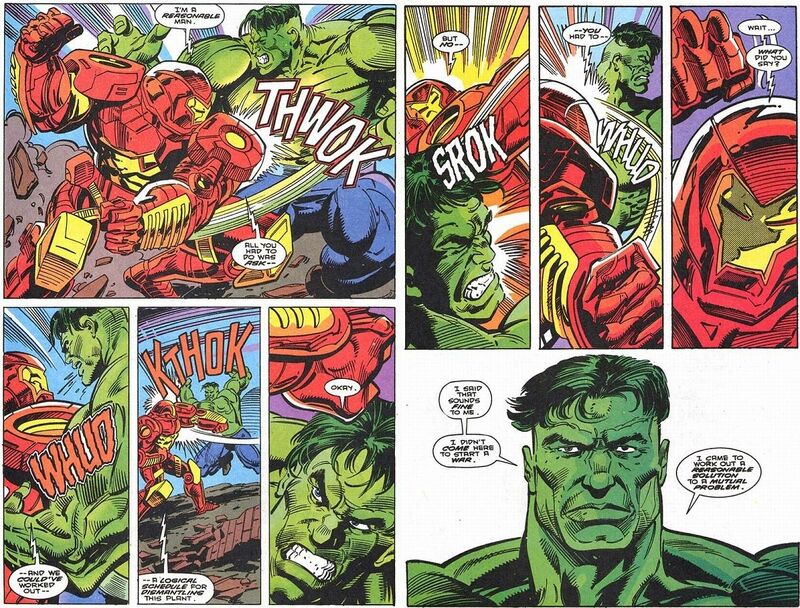 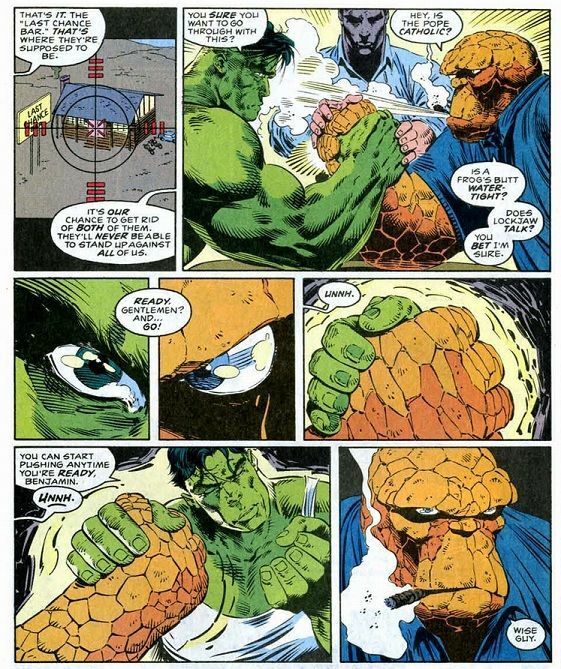 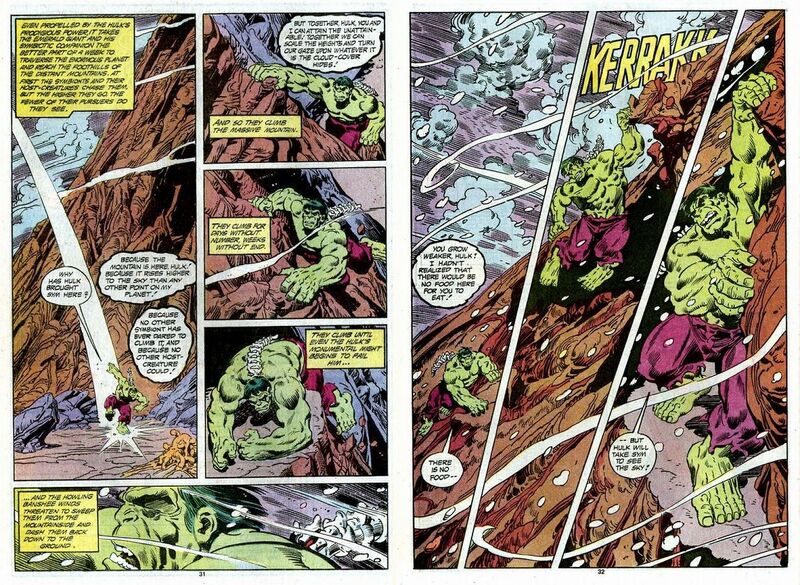 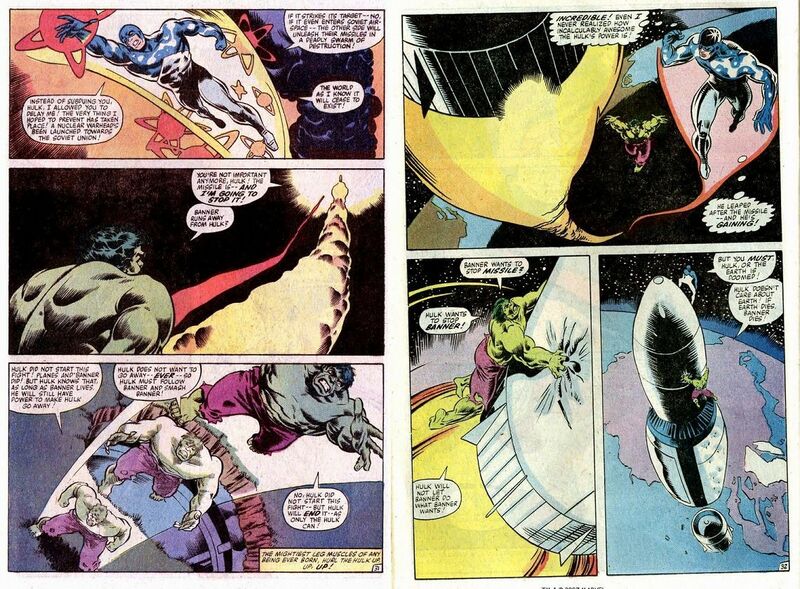 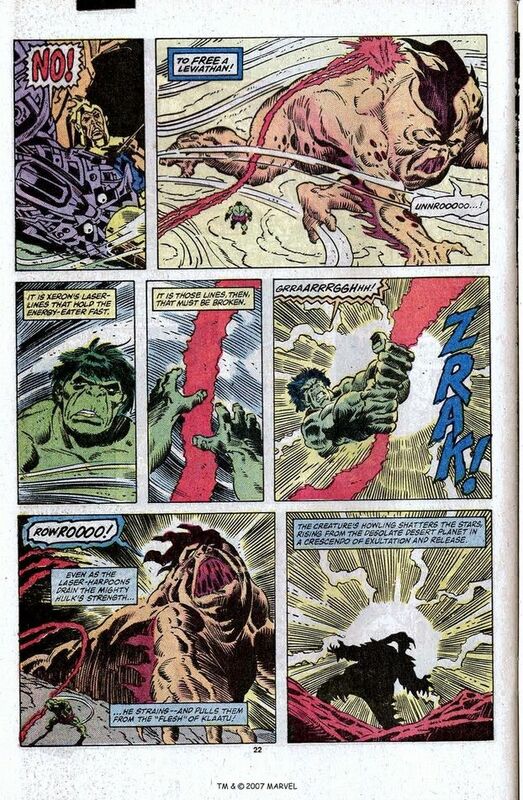 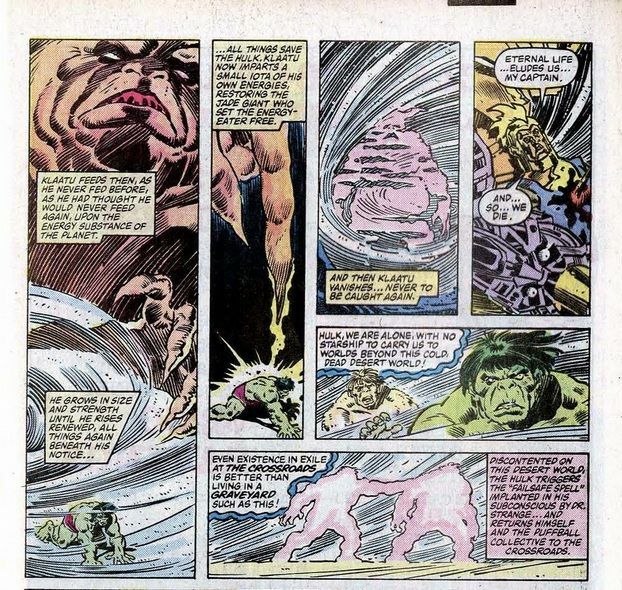 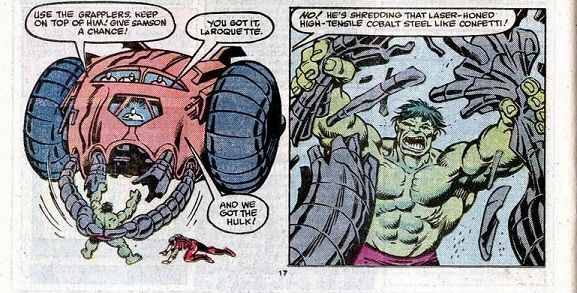 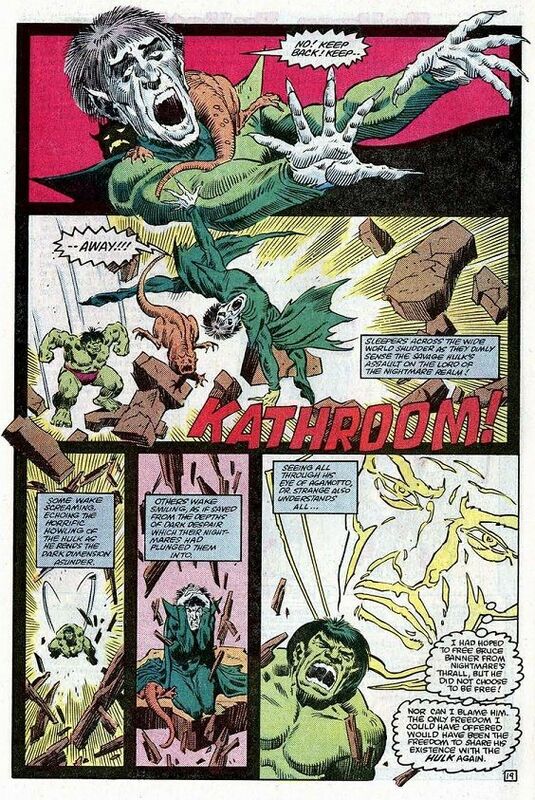 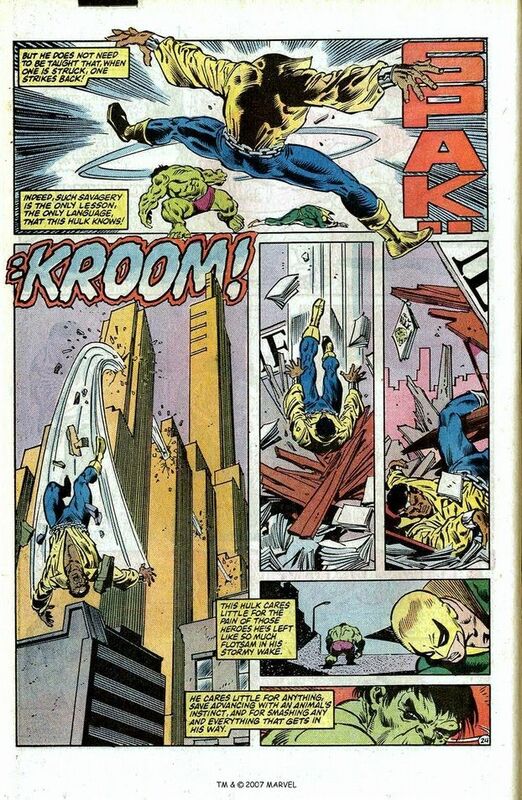 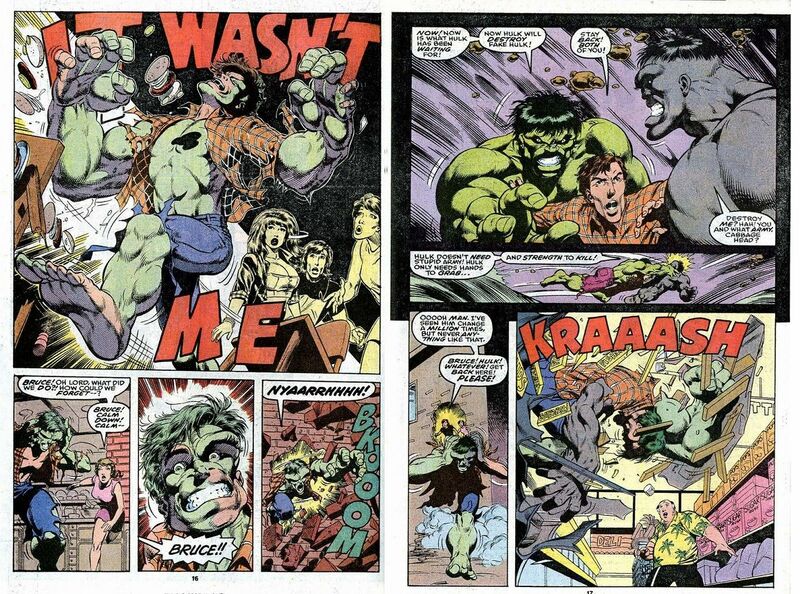 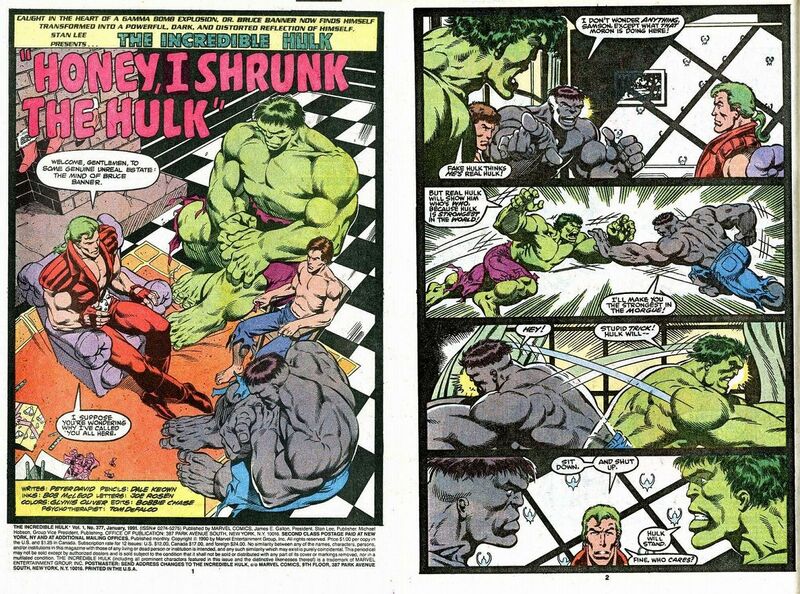 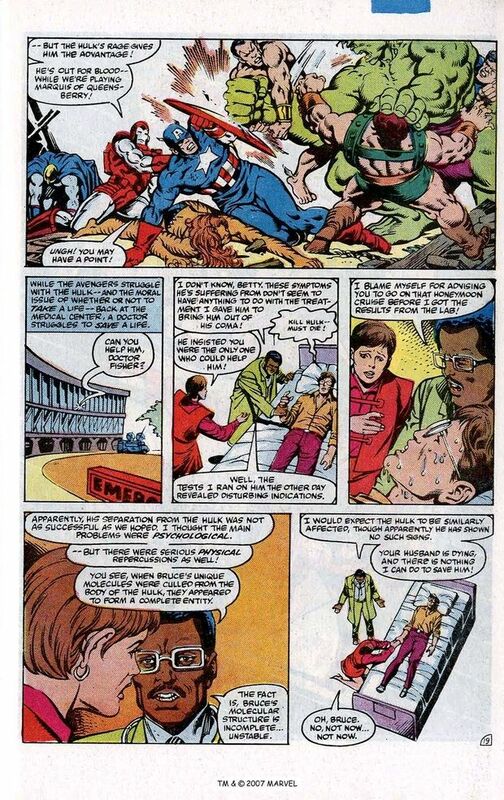 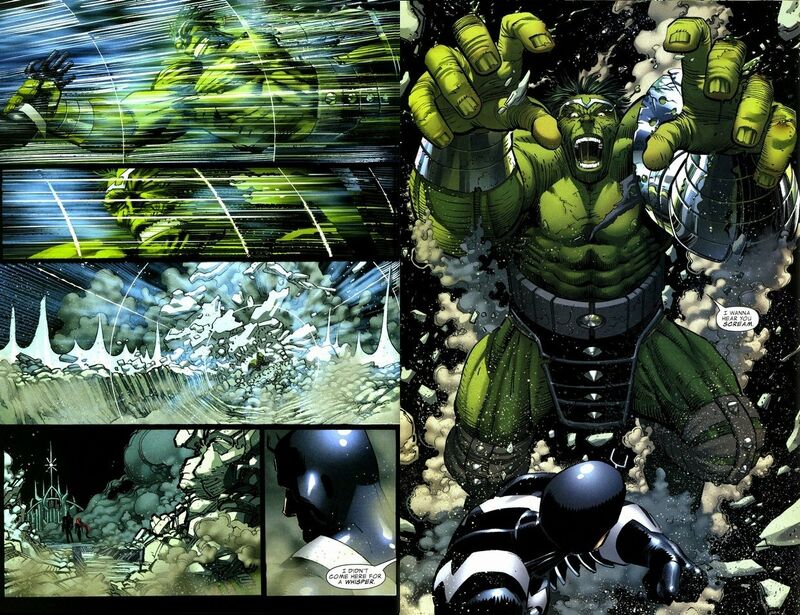 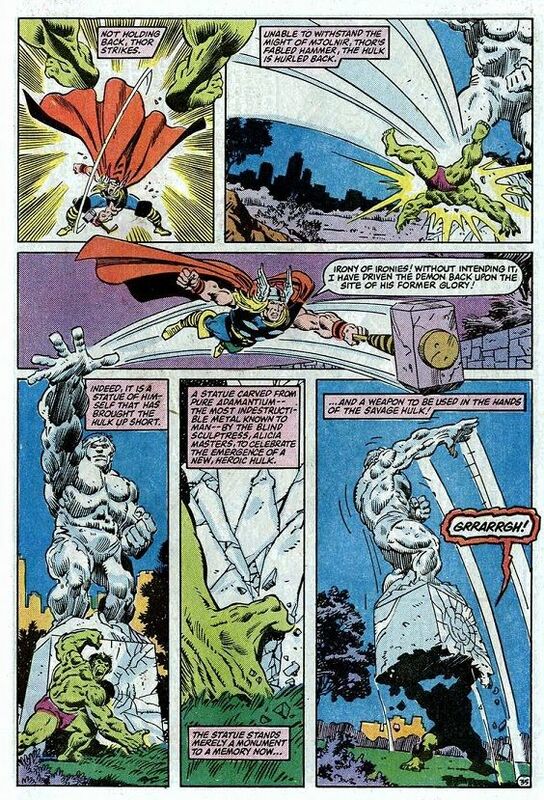 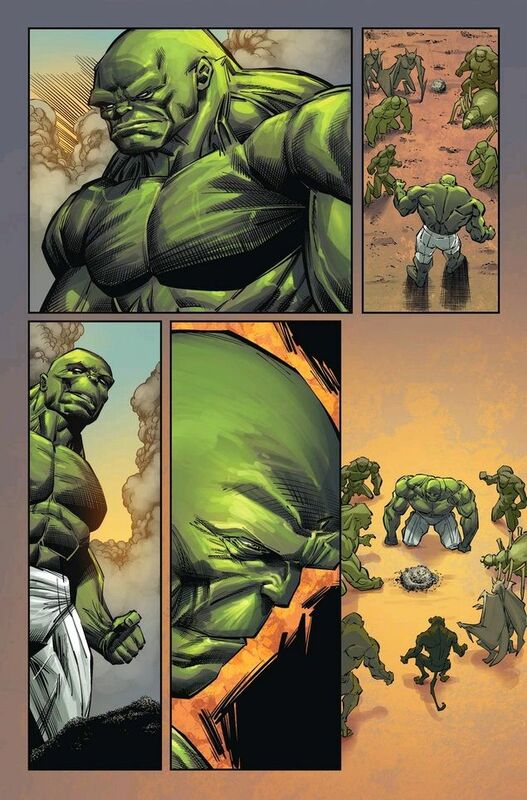 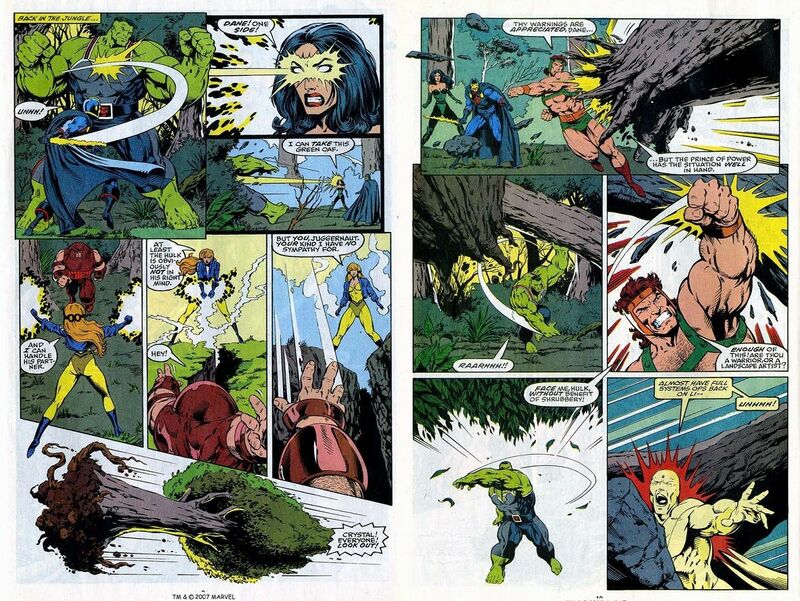 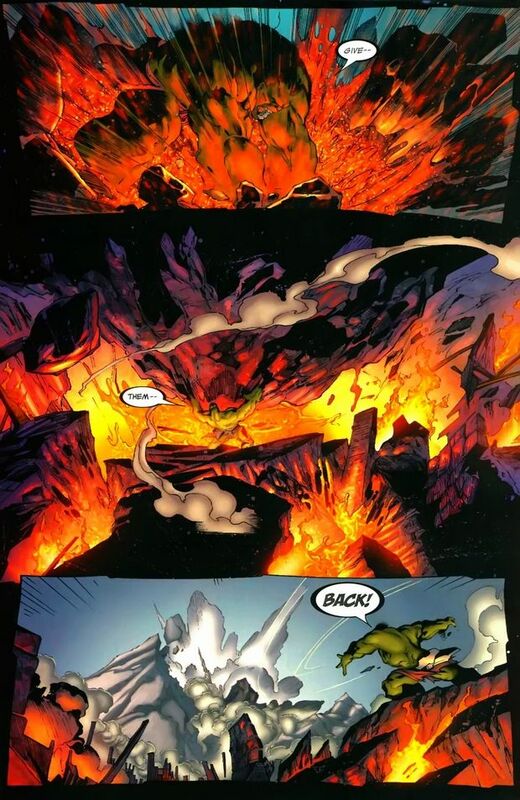 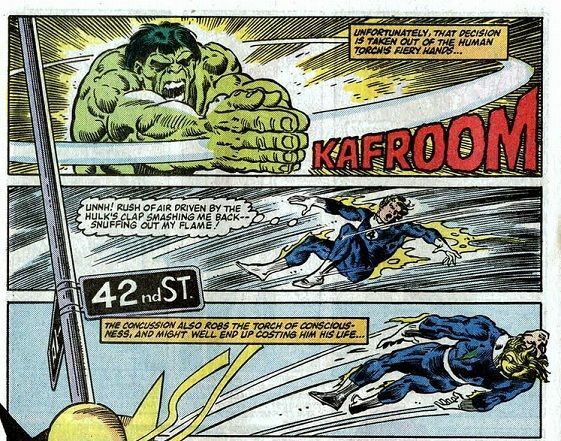 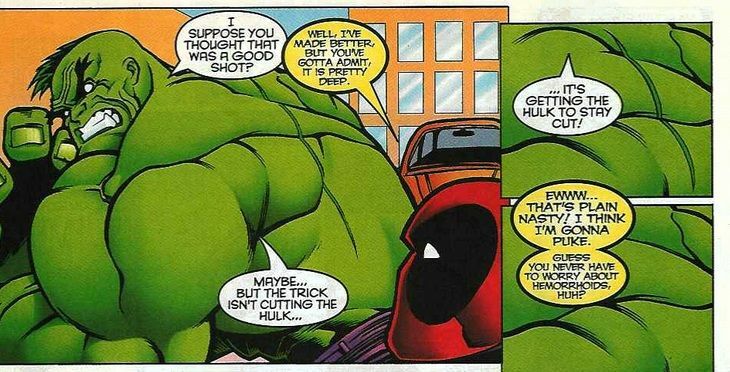 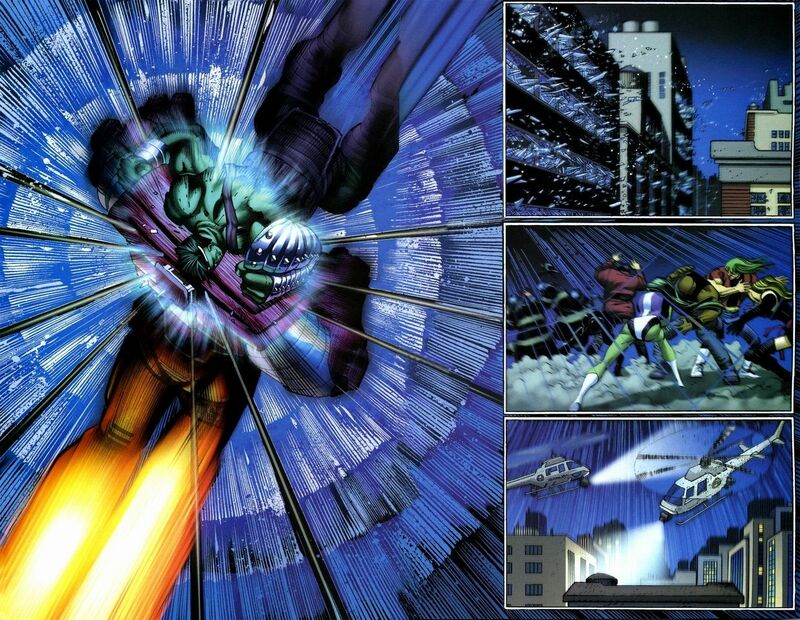 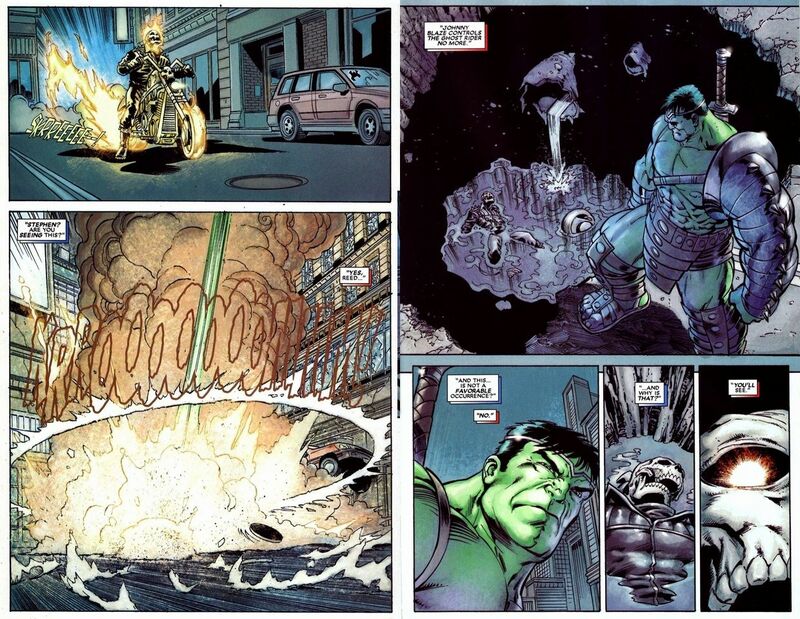 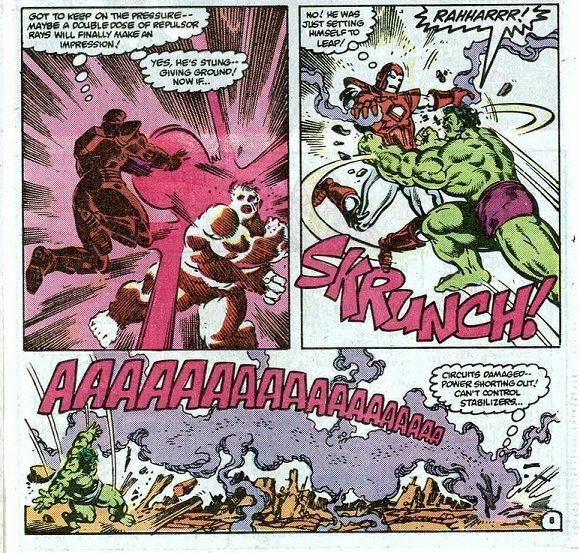 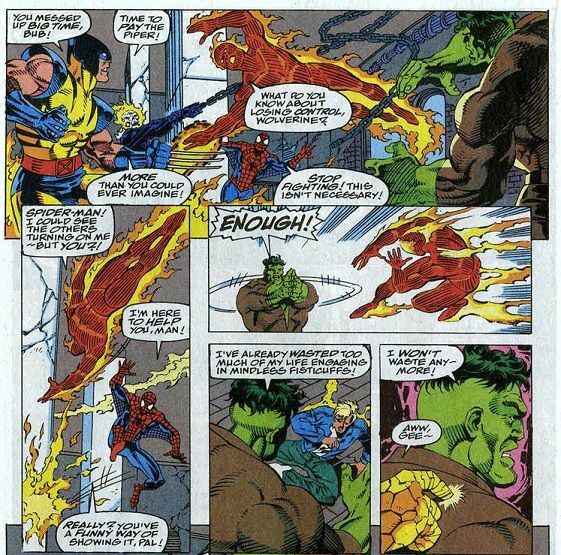 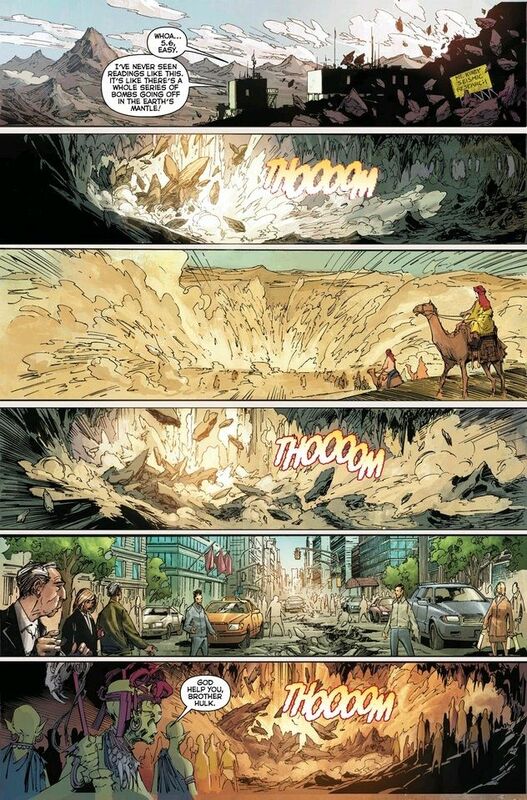 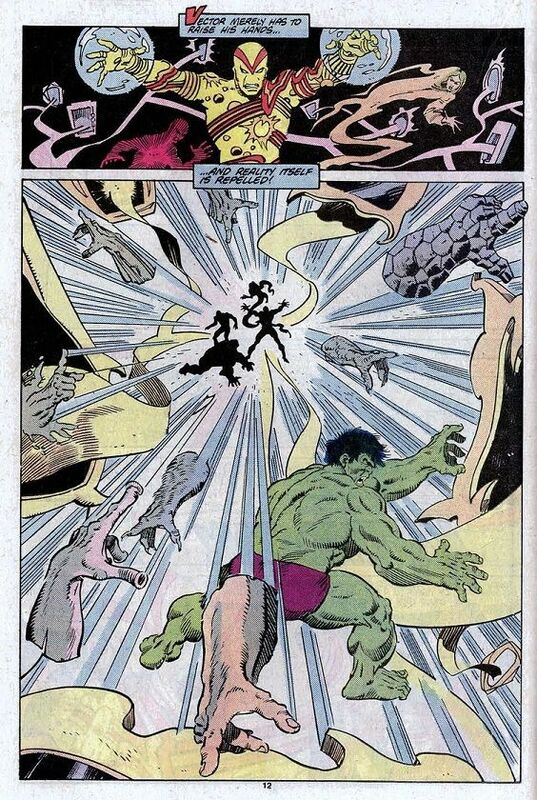 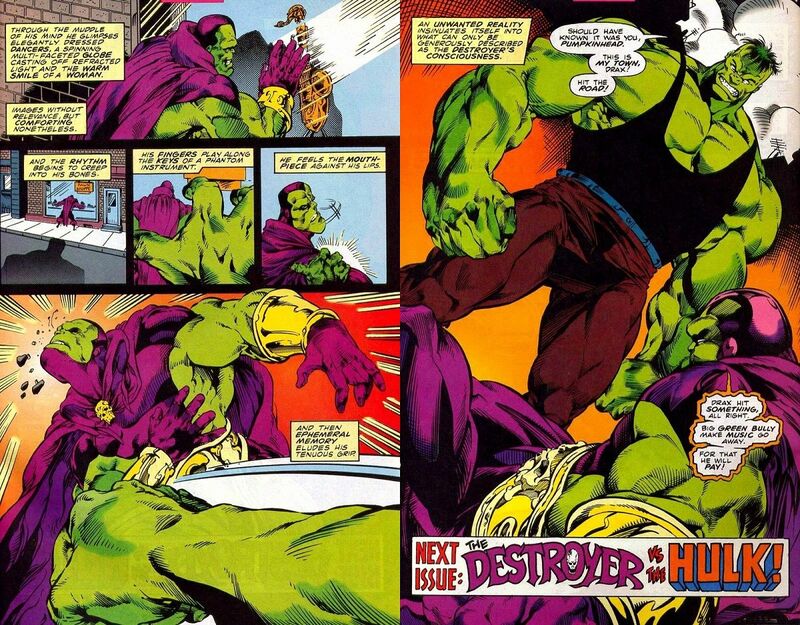 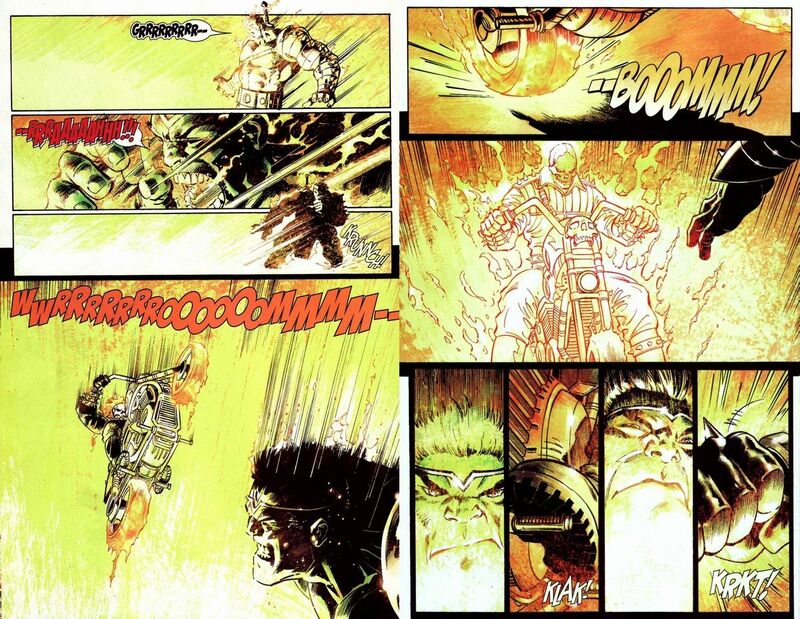 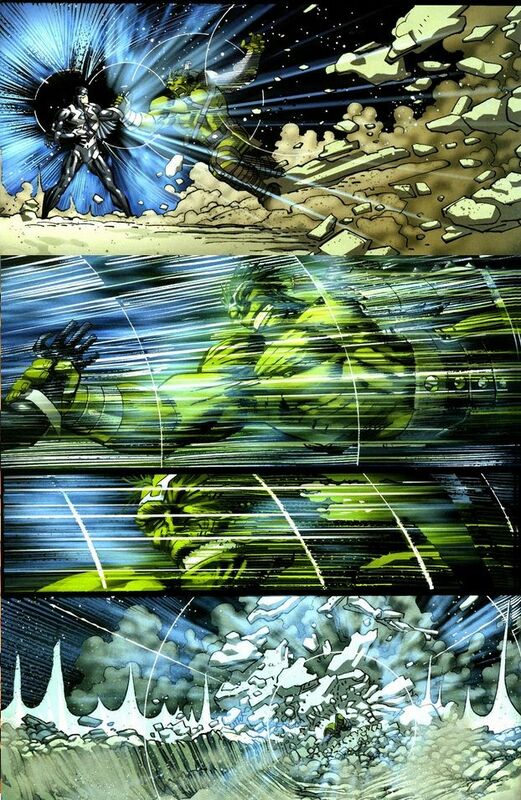 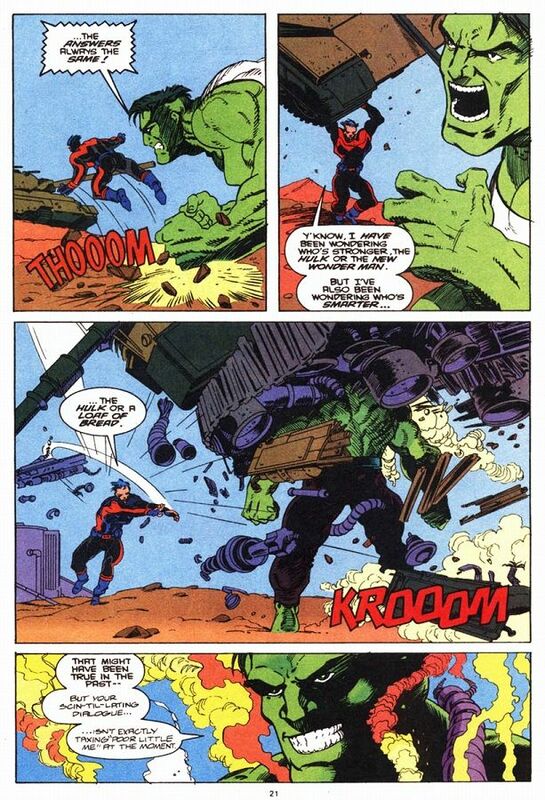 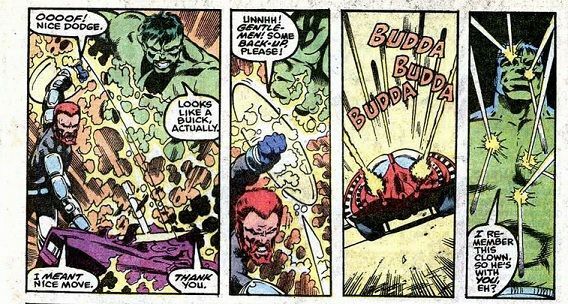 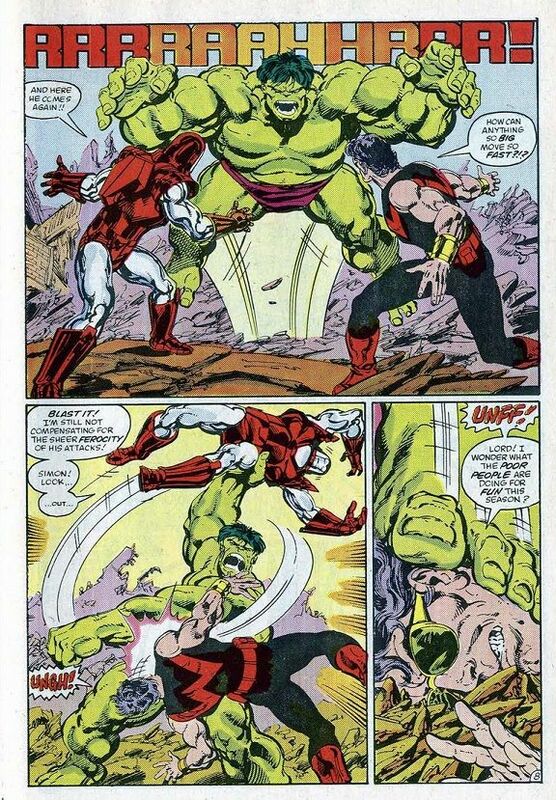 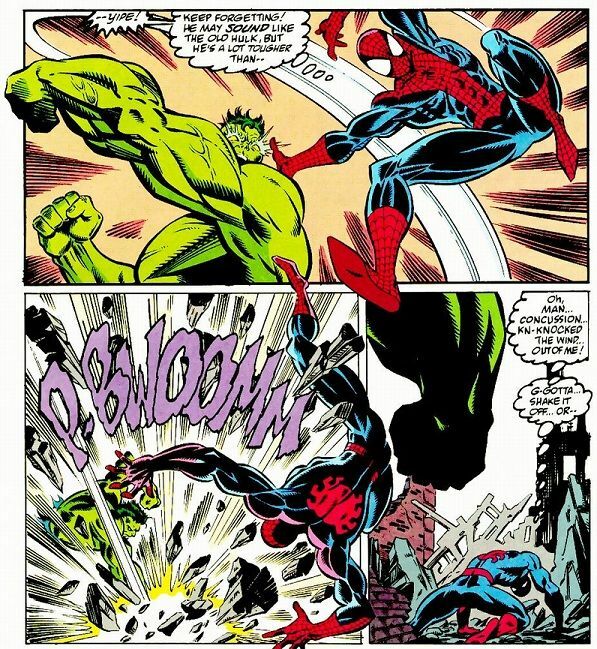 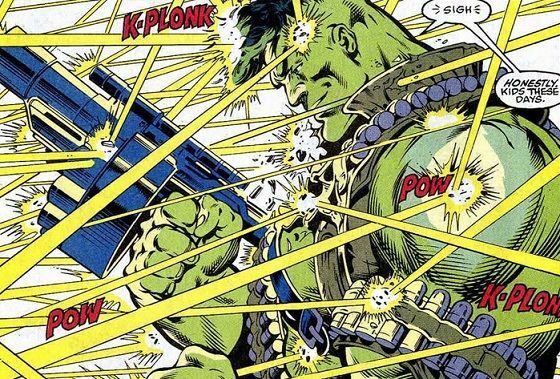 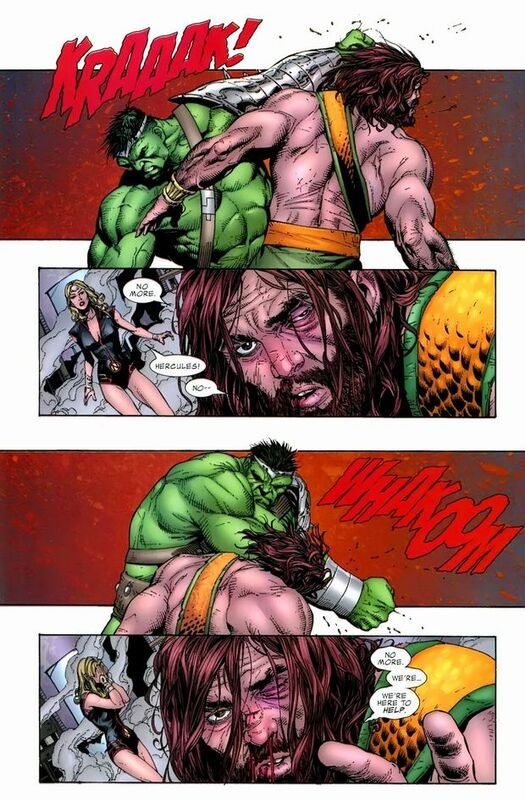 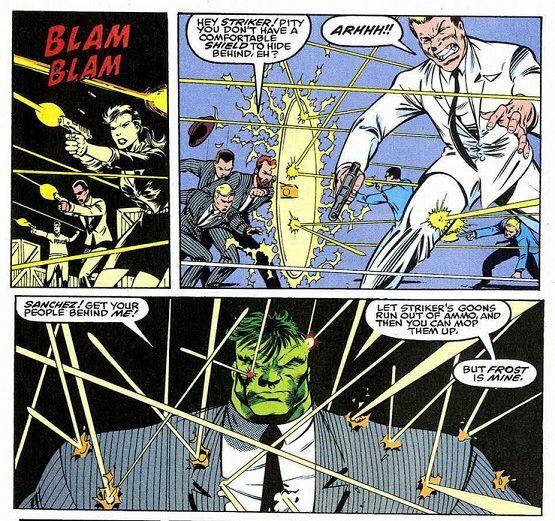 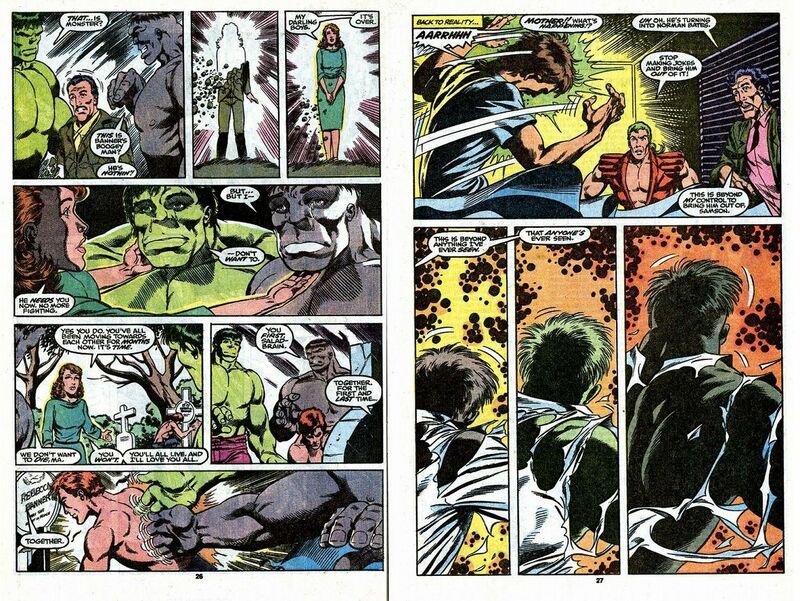 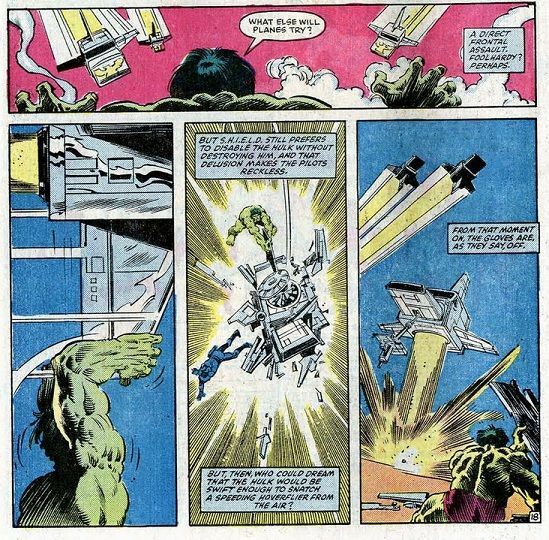 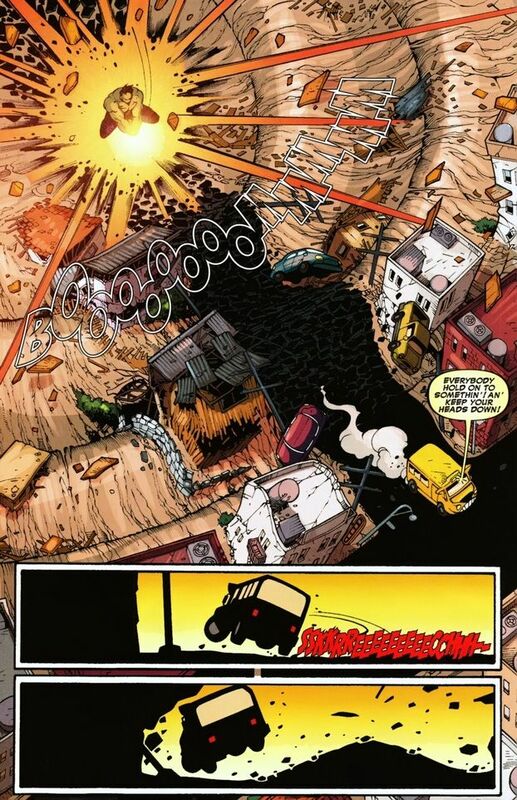 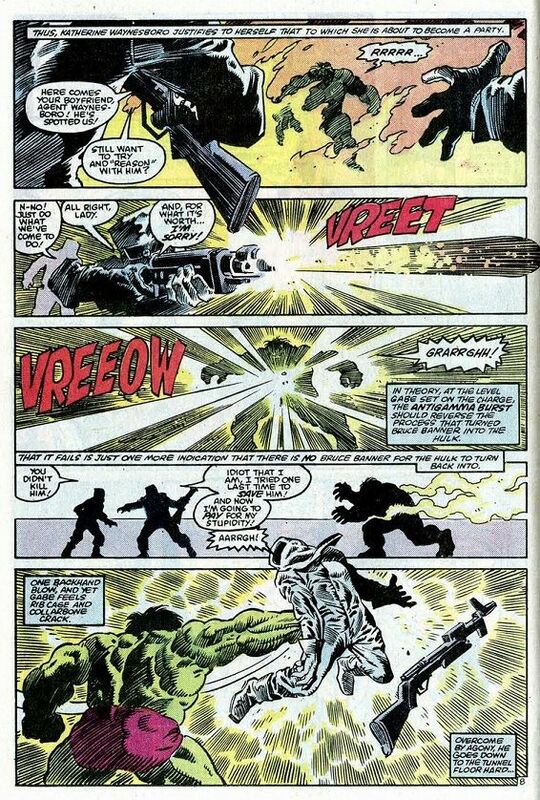 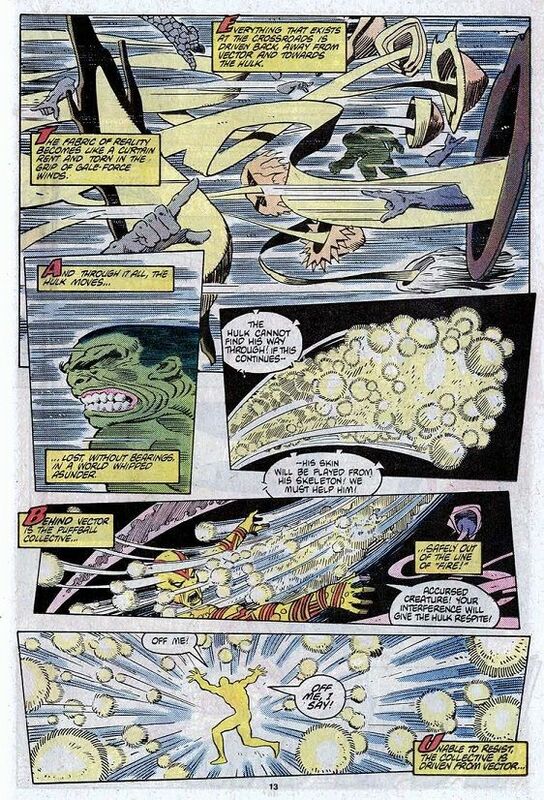 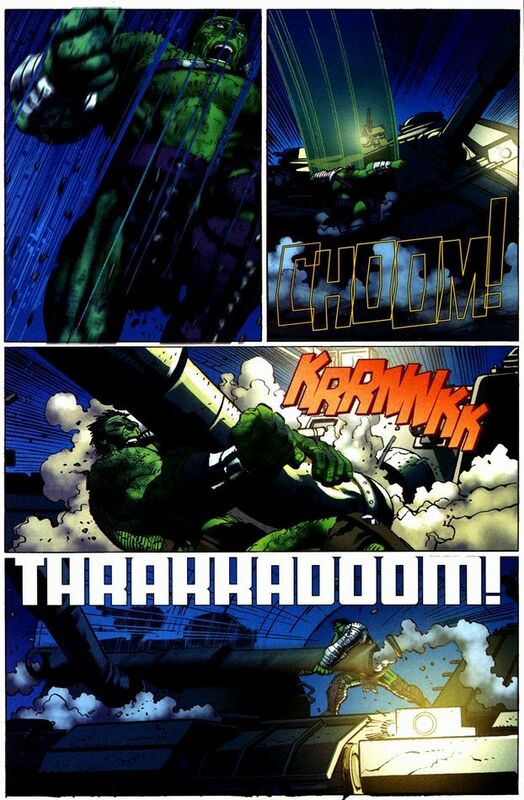 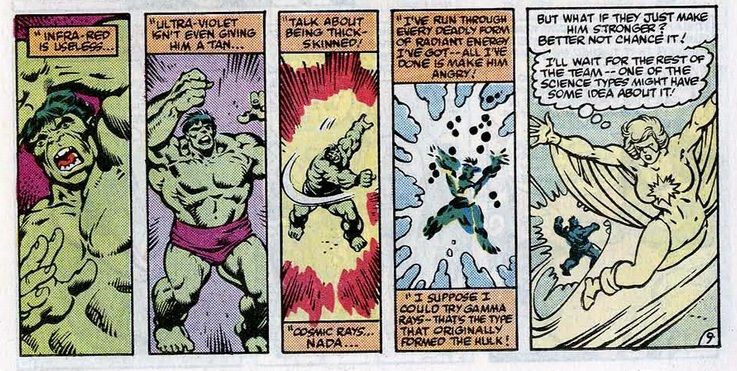 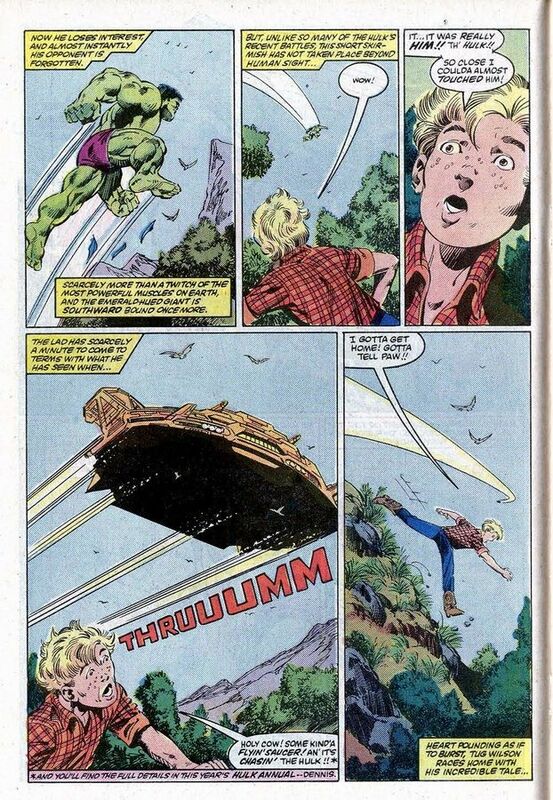 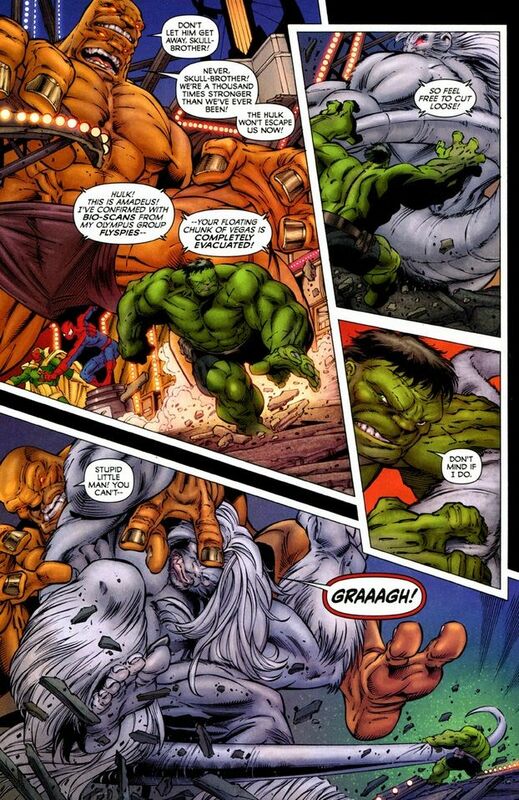 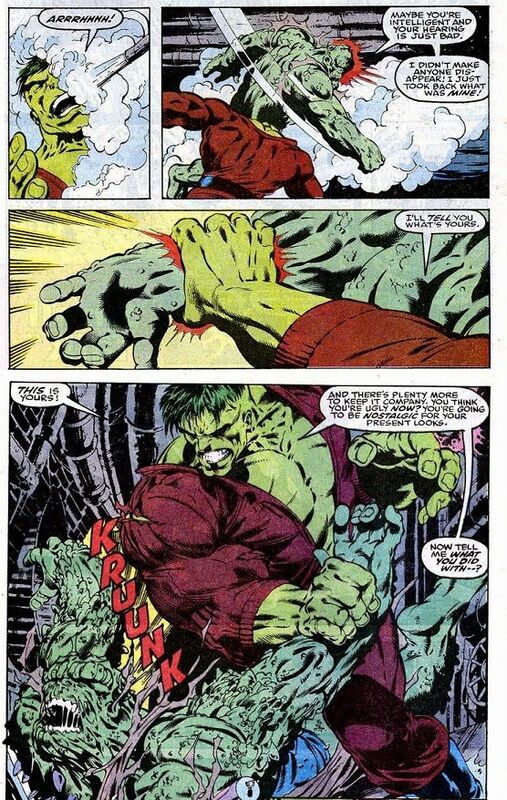 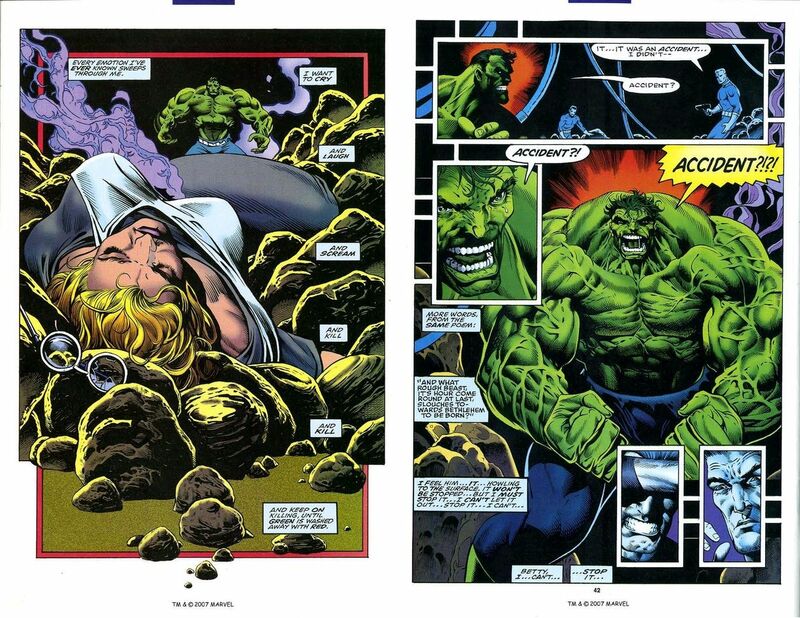 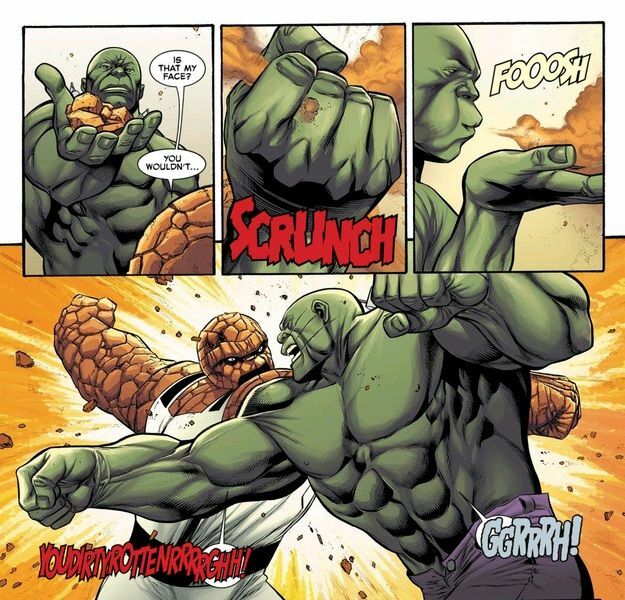 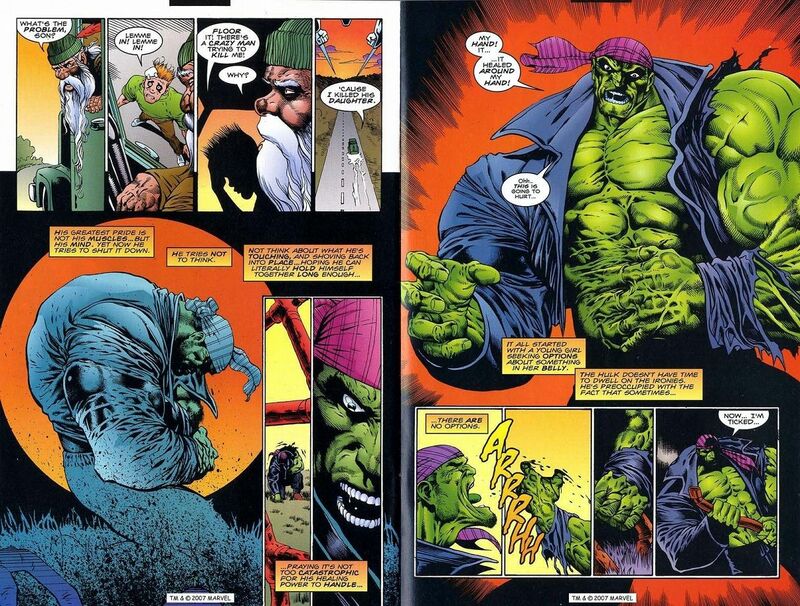 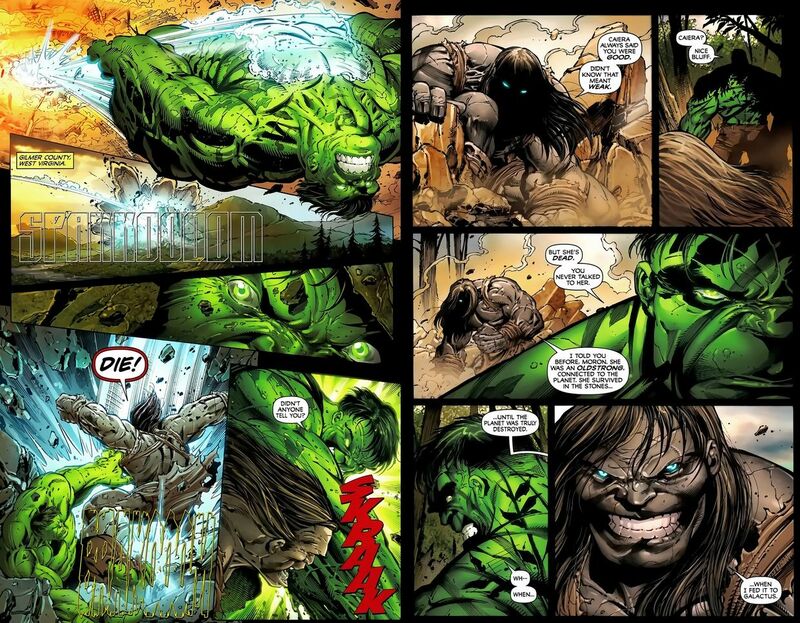 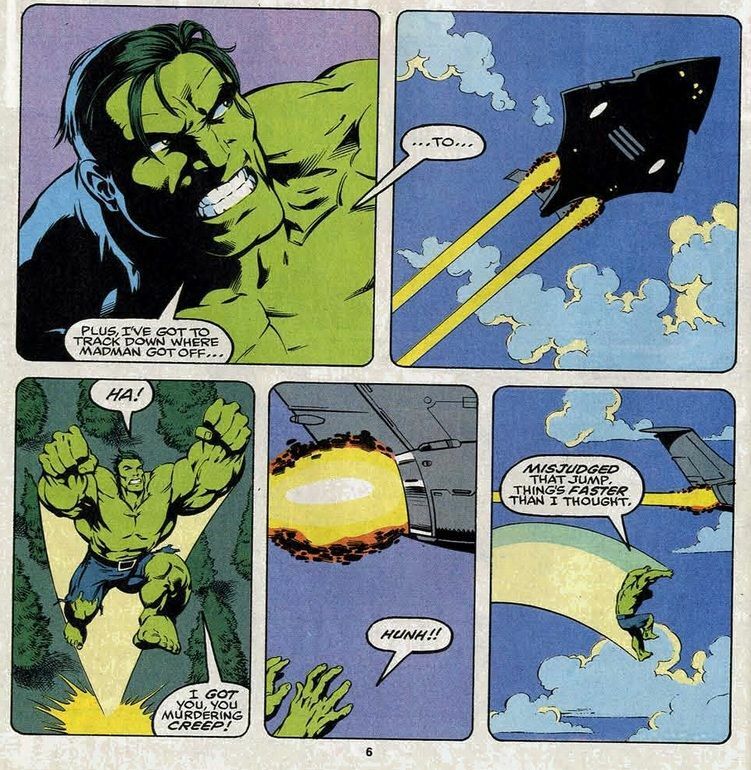 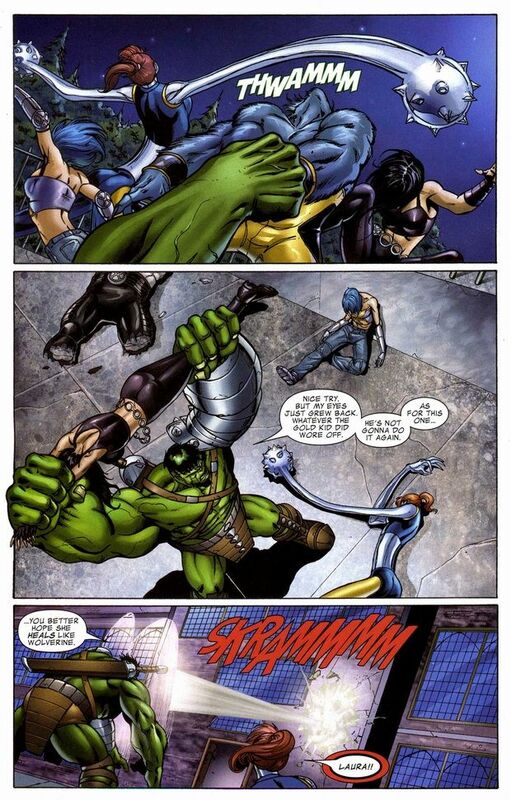 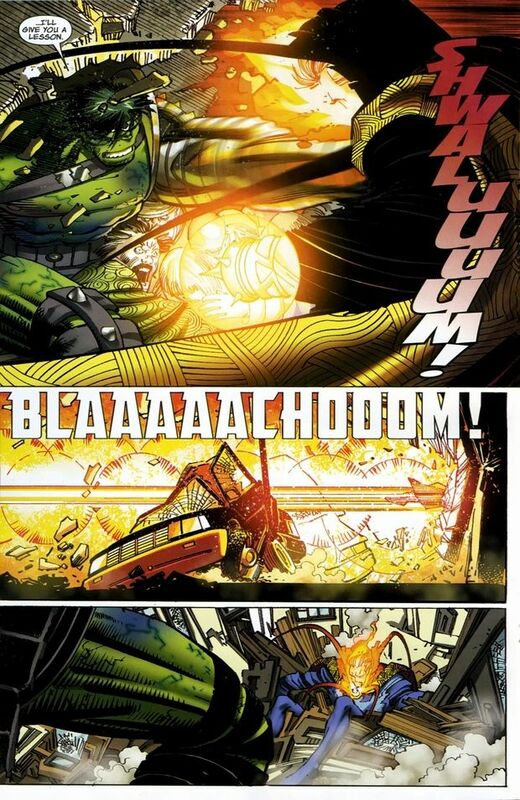 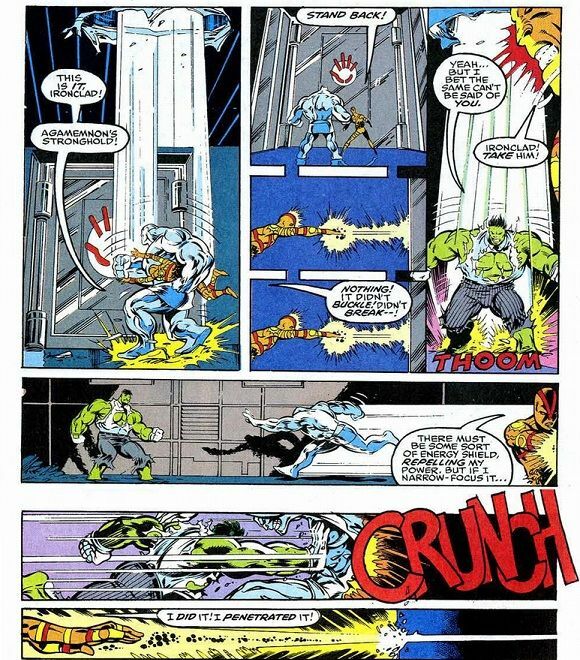 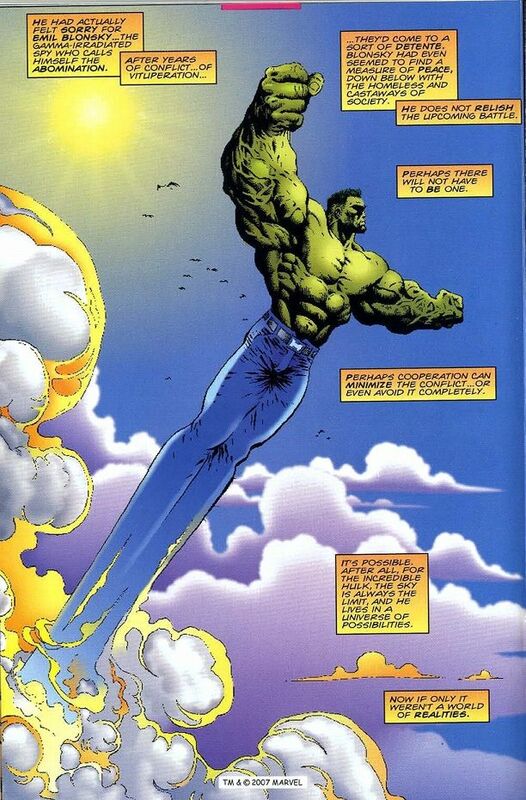 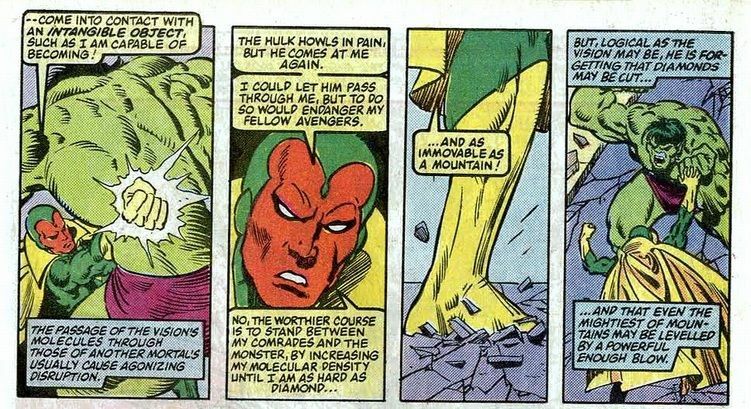 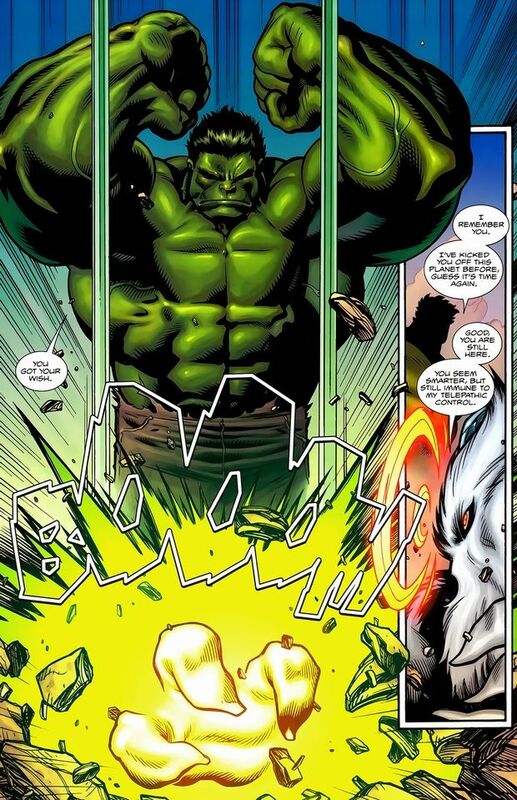 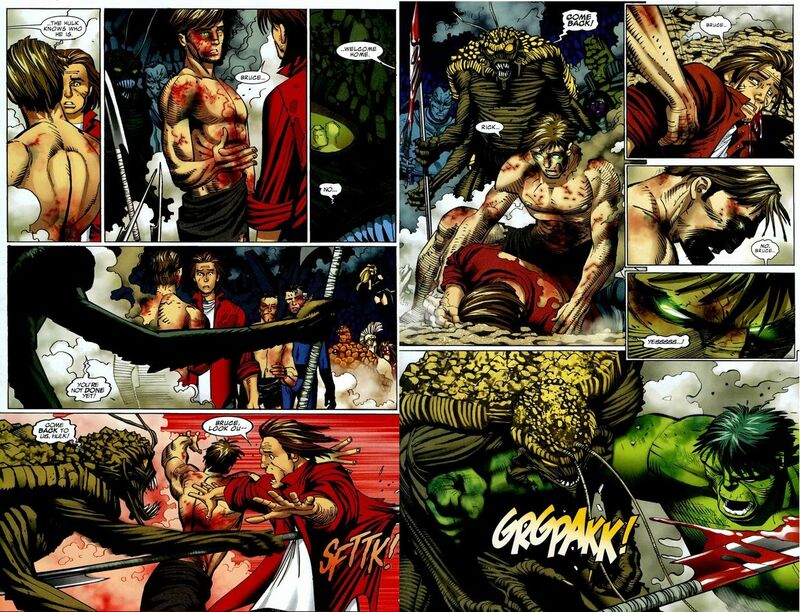 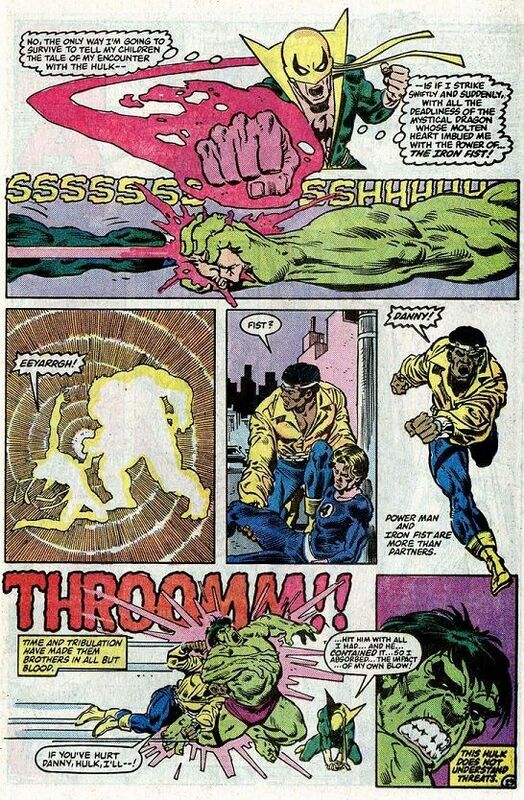 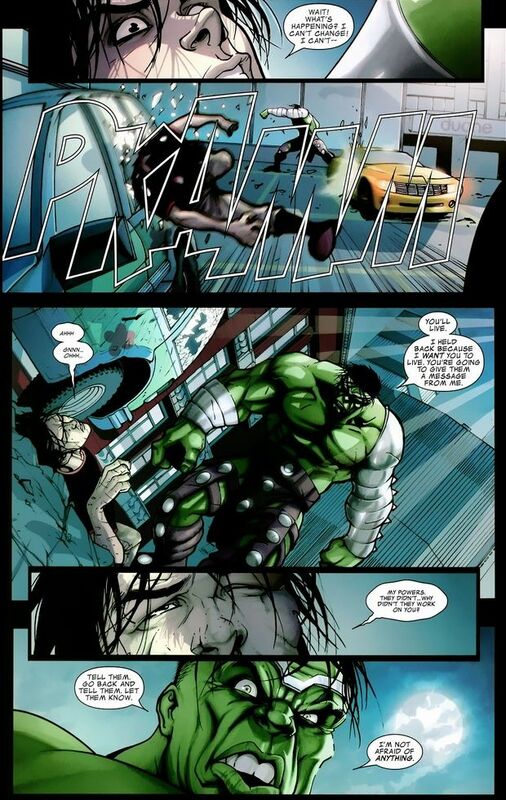 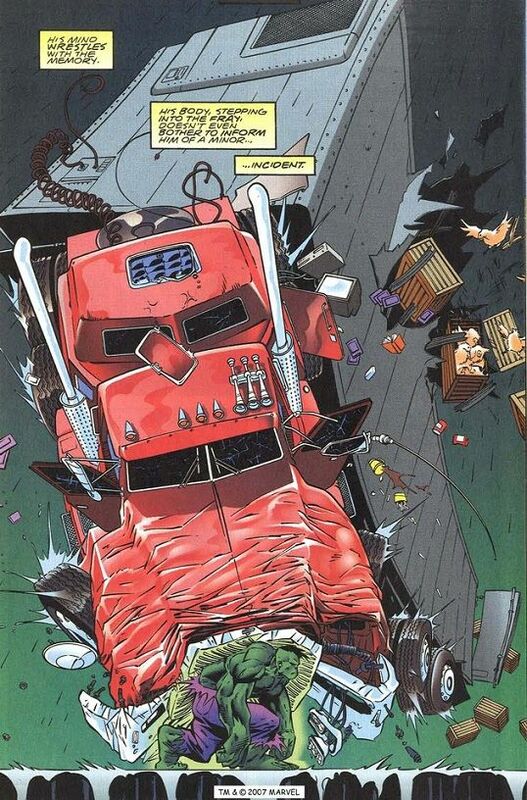 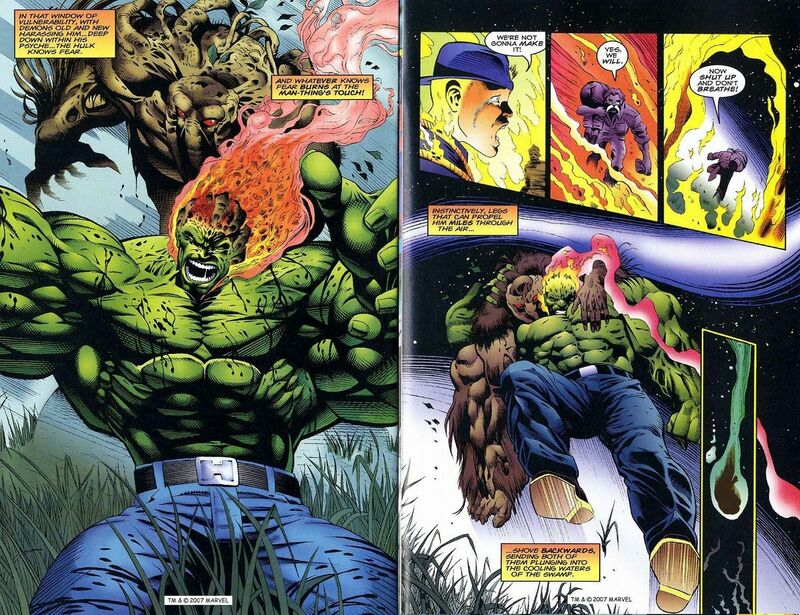 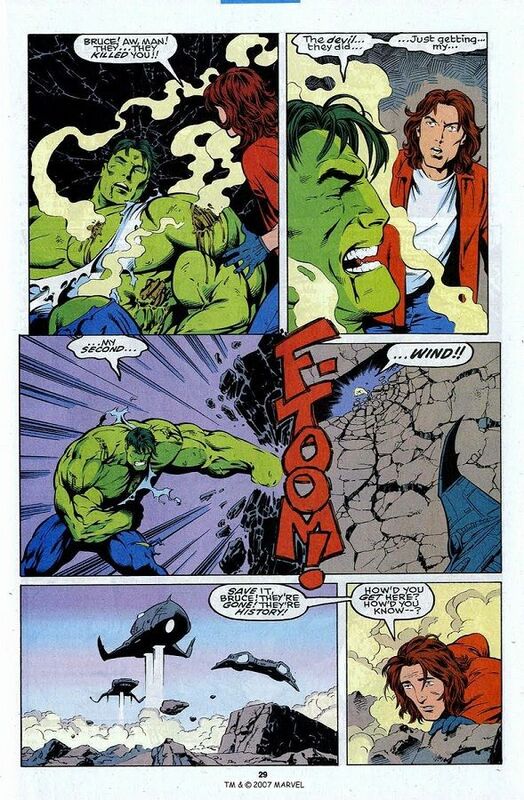 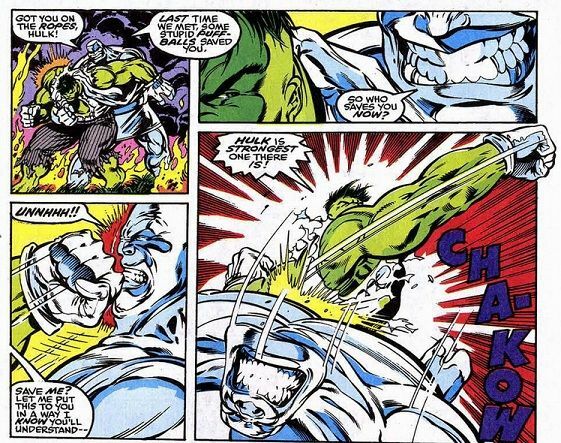 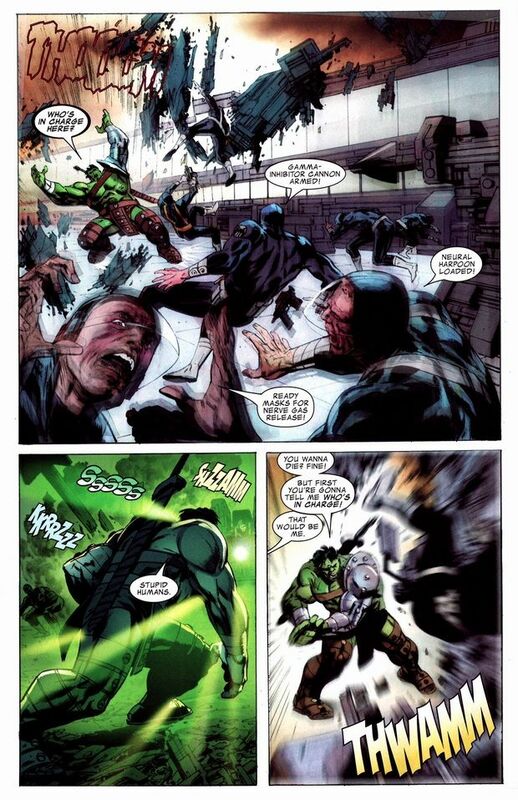 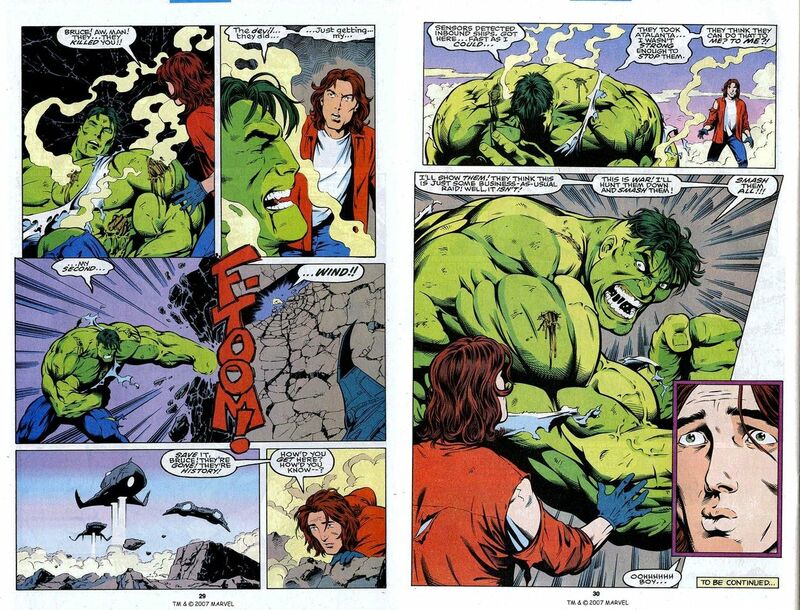 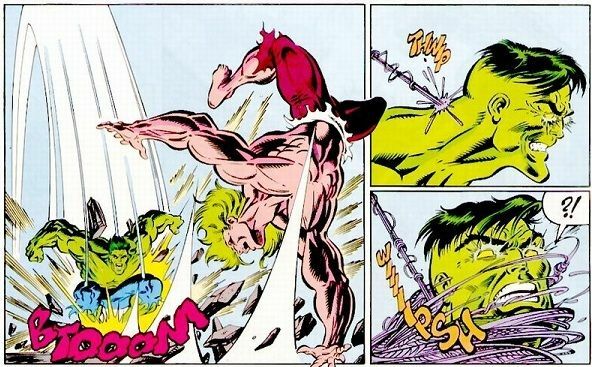 It goes without saying that Mindless Hulk's durability was just as seemingly limitless as his strength was. 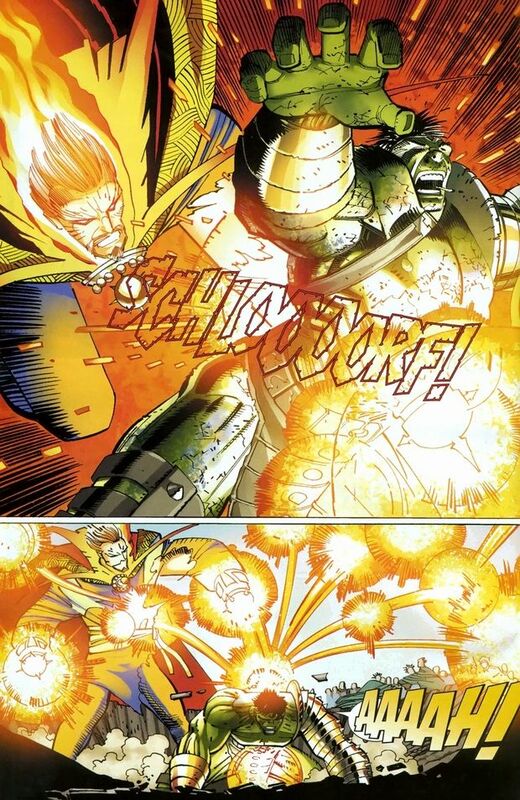 He was nearly impervious to physical force, energy projection, temperature extremes, piercing, chemical and mental attacks. 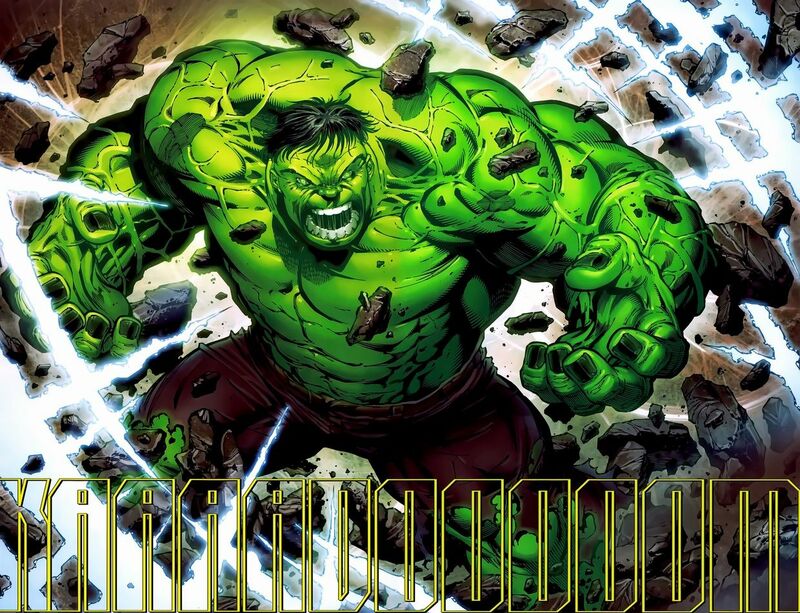 Haarg. 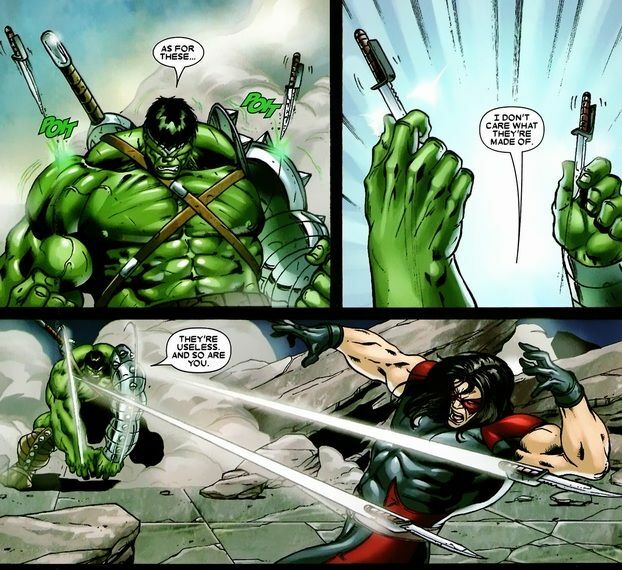 Green Scar. 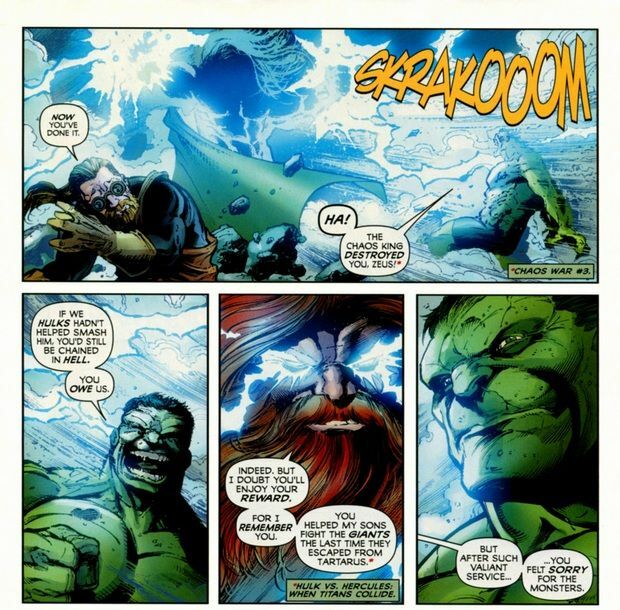 Harkanon. 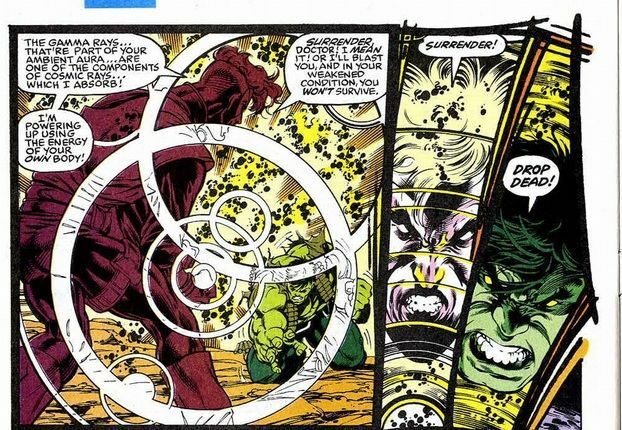 Eye of Anger. 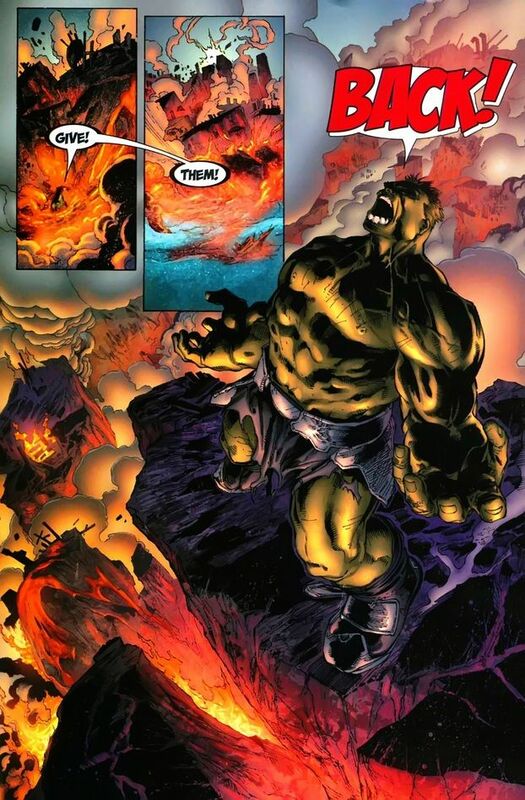 Holku. 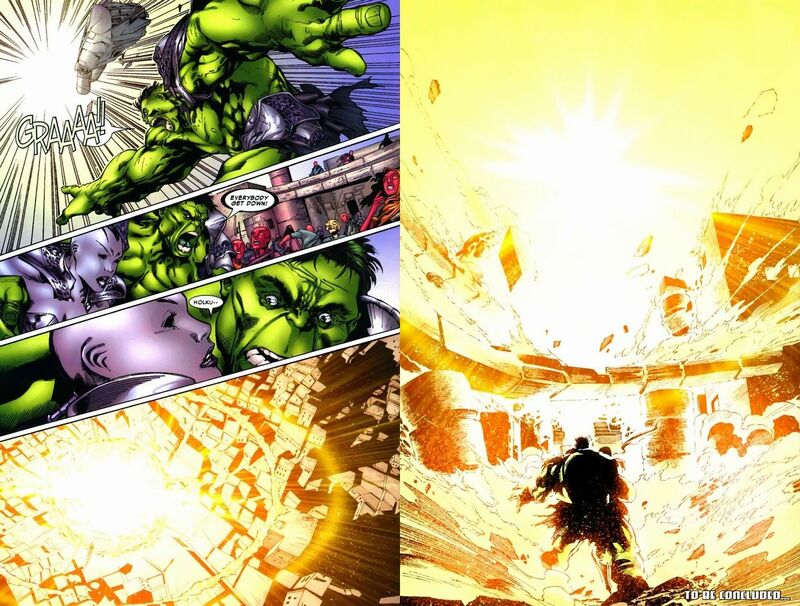 World Breaker. 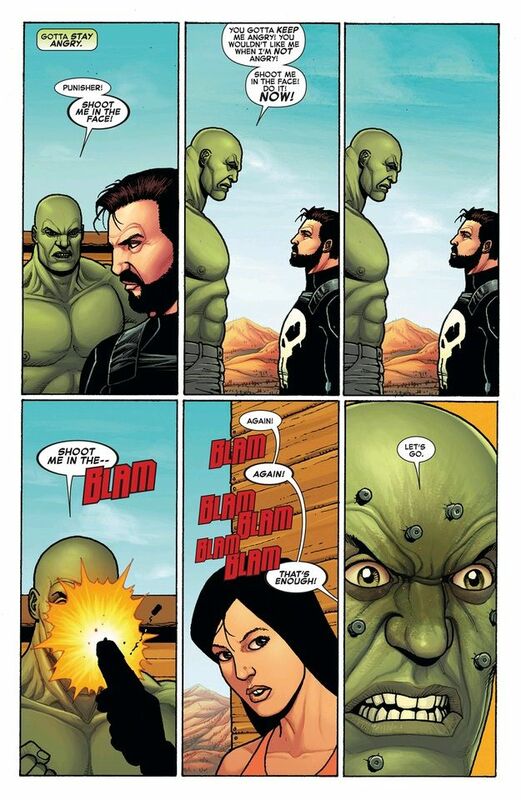 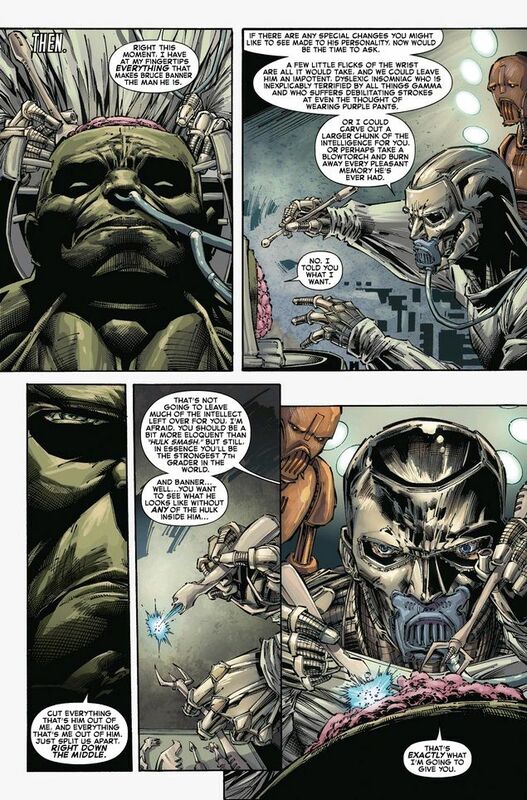 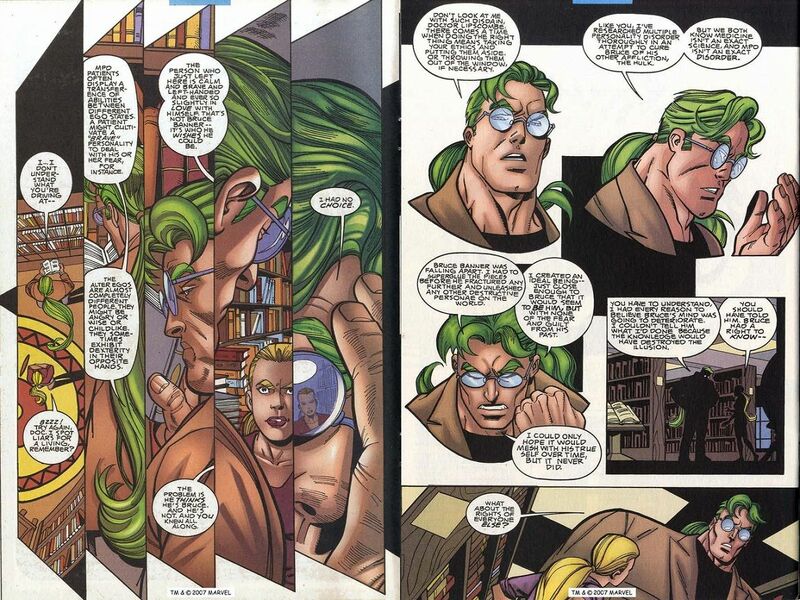 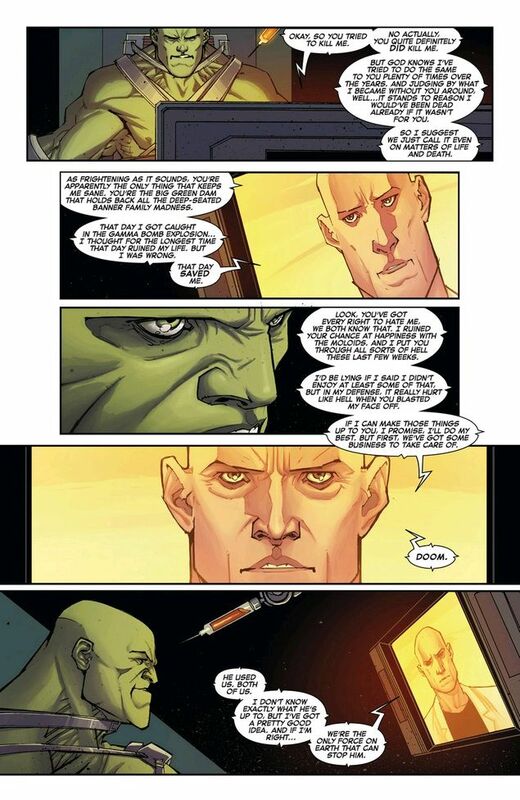 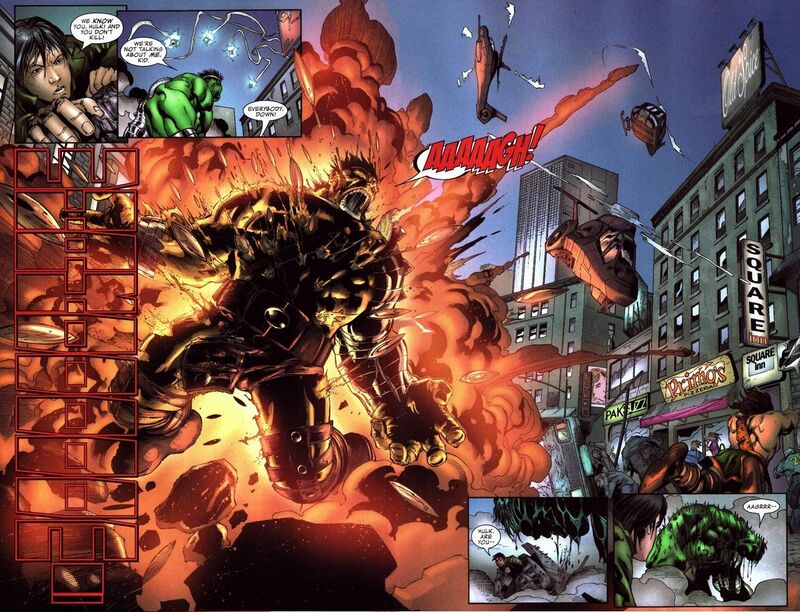 He went by several different names but the crossover event bears the name used here: World War Hulk. 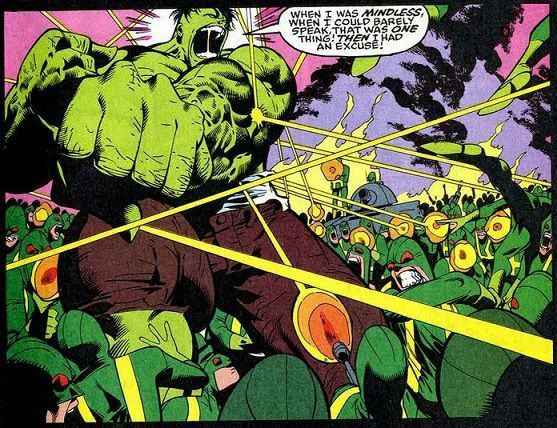 While not so much a wholly different persona, it refers specifically to a Hulk defined and driven by the rage he experienced on Sakaar. 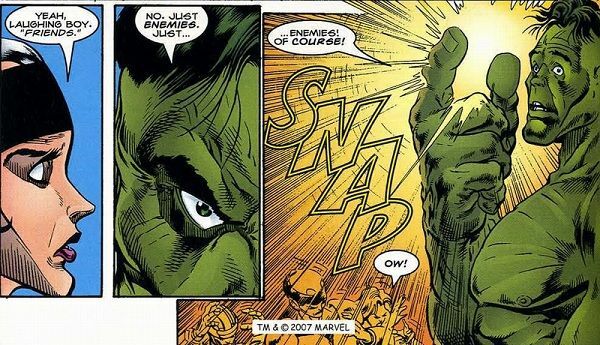 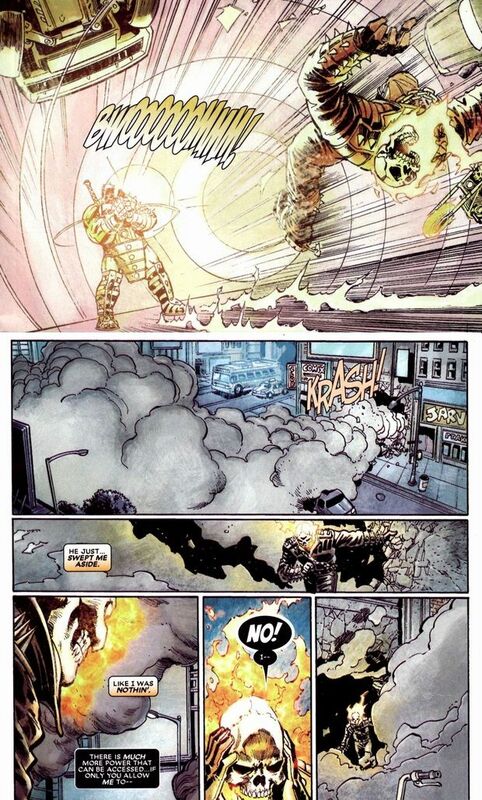 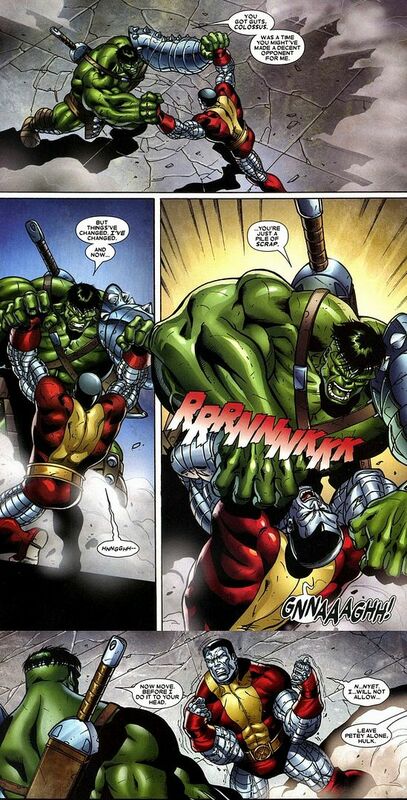 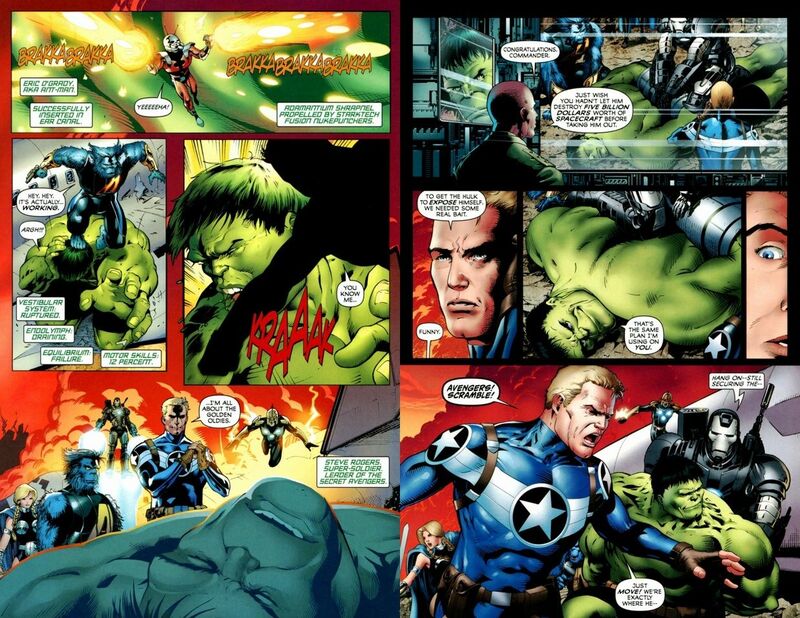 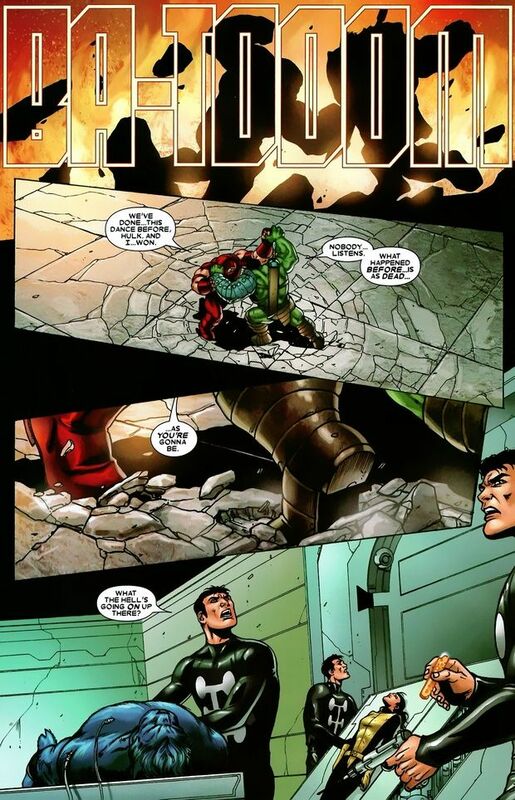 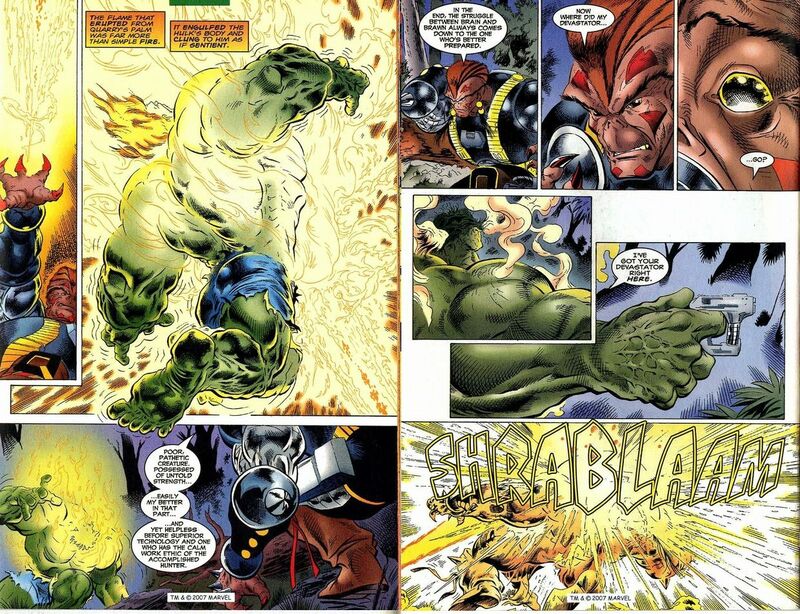 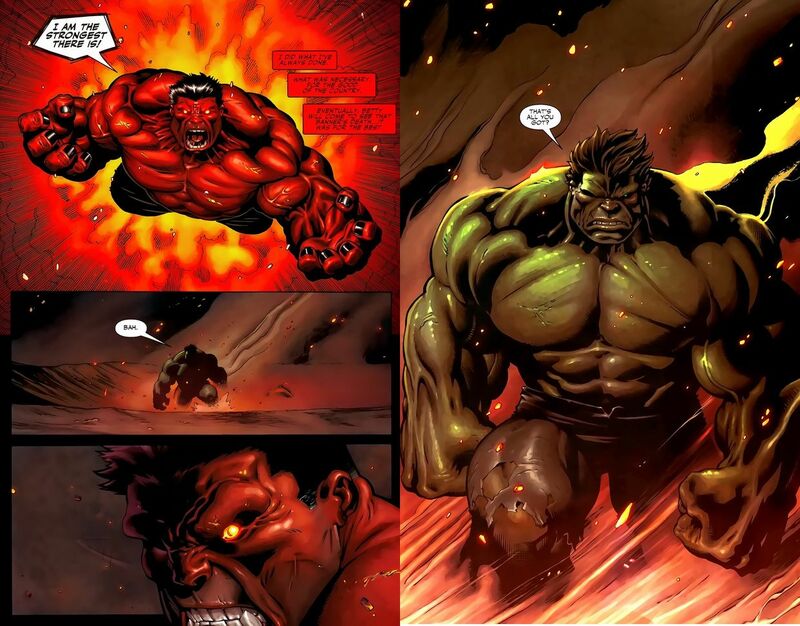 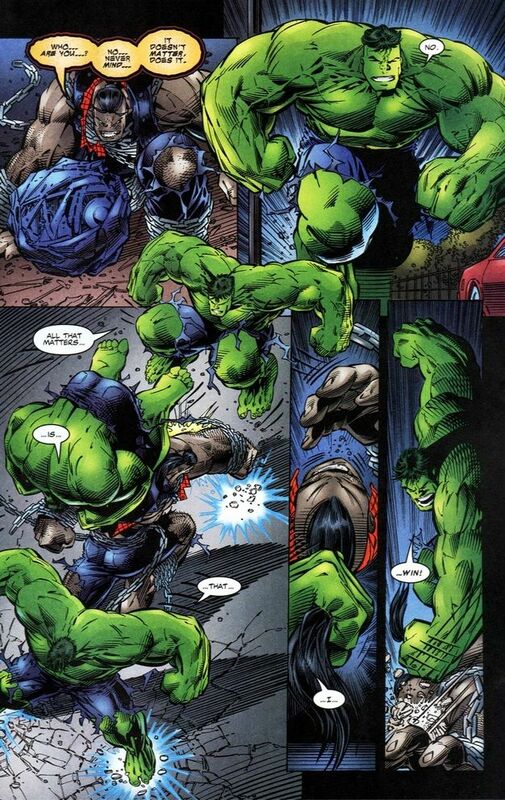 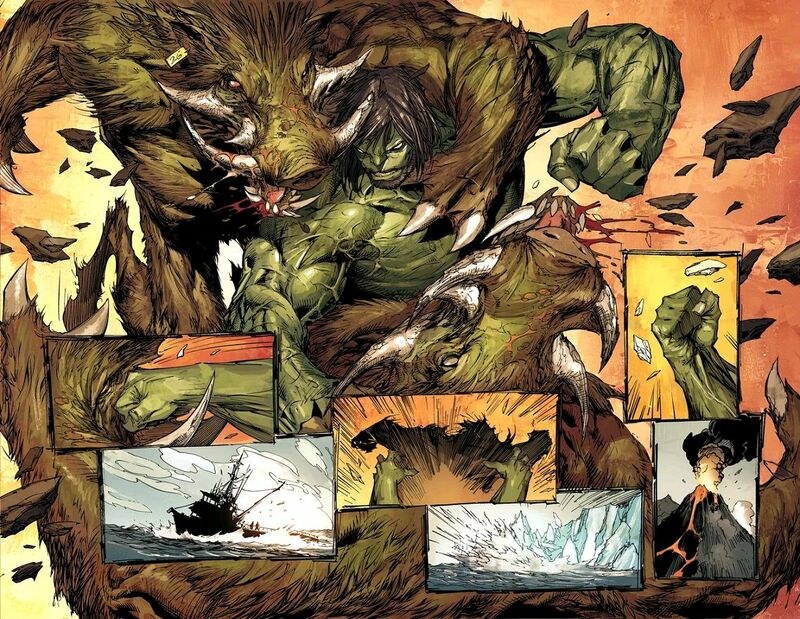 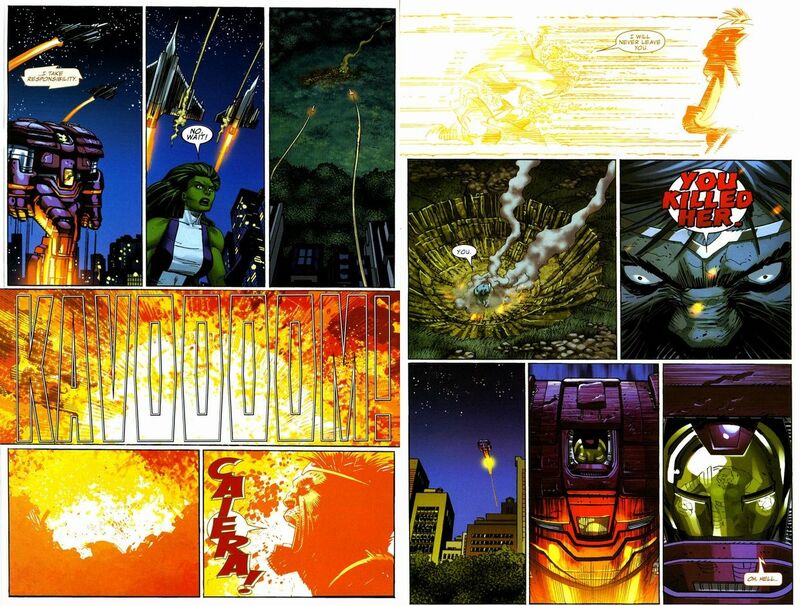 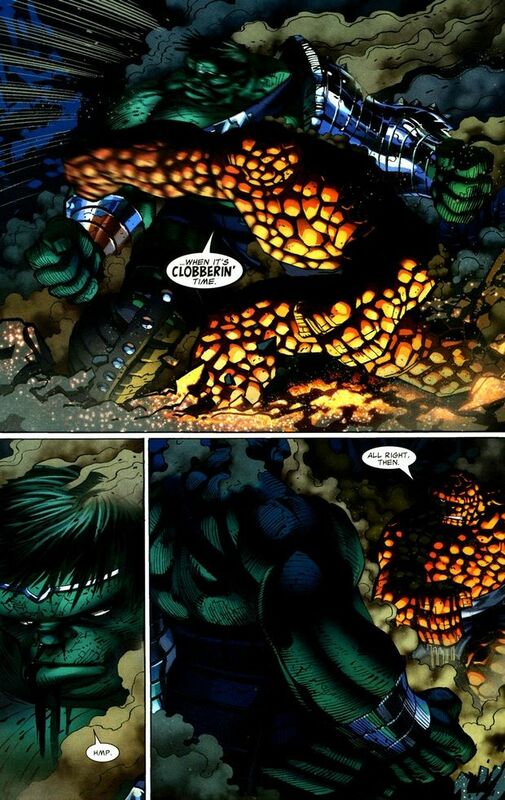 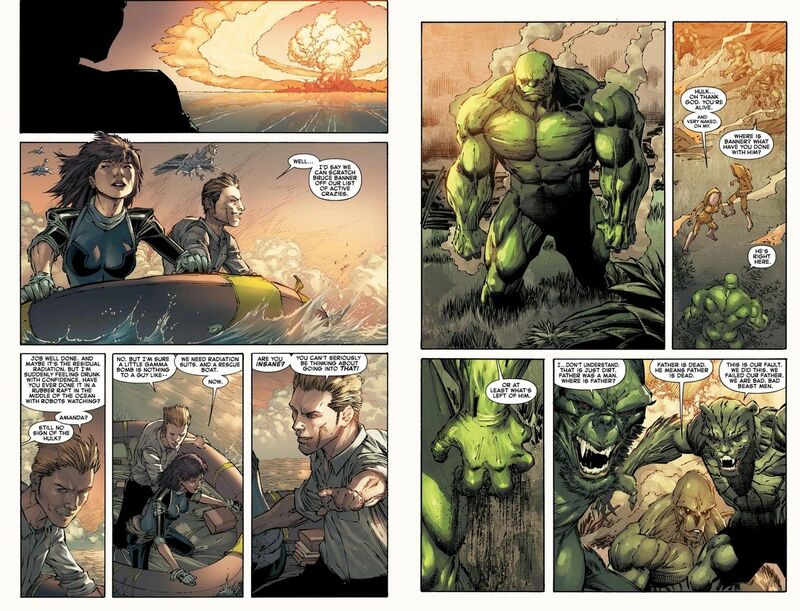 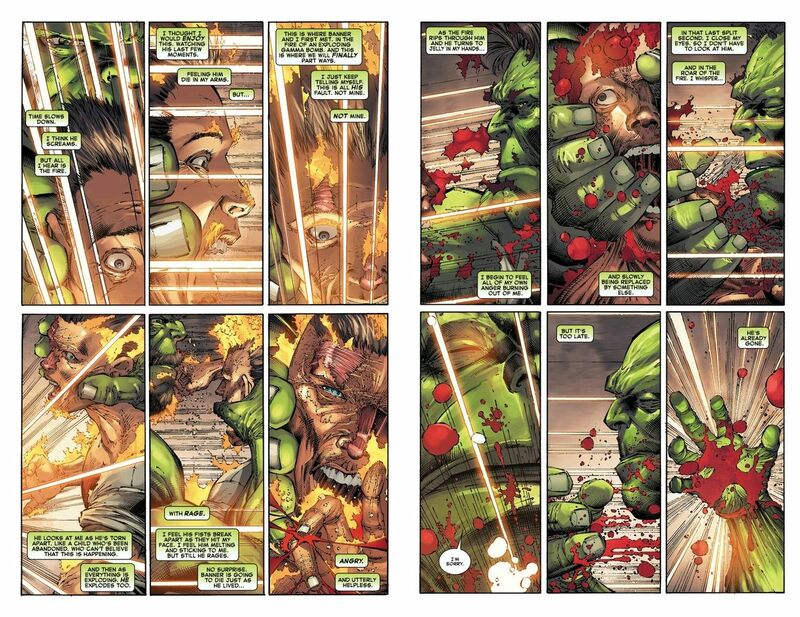 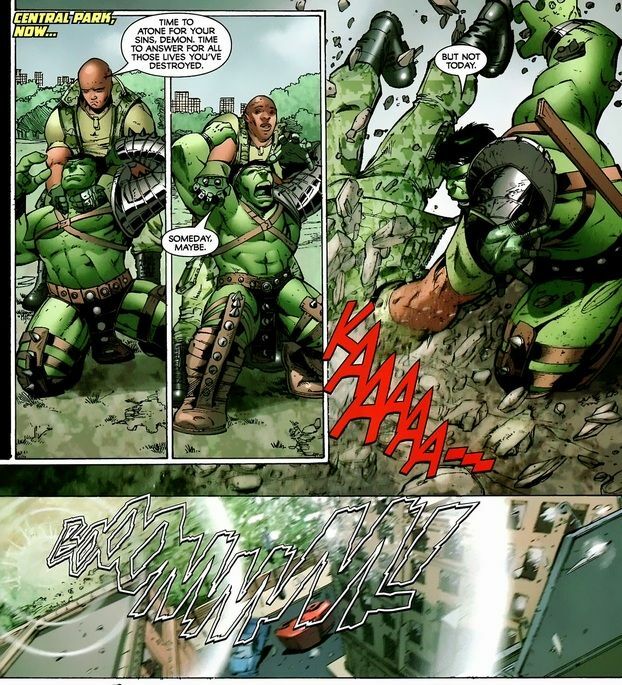 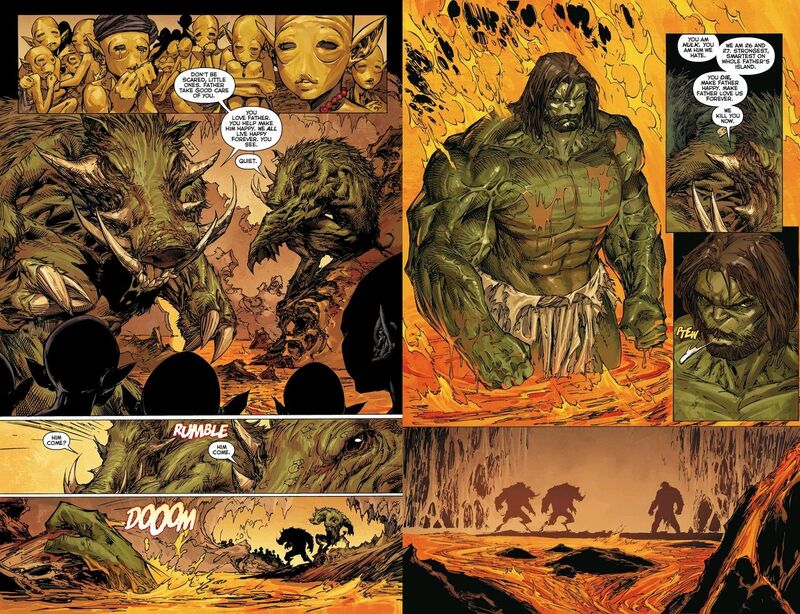 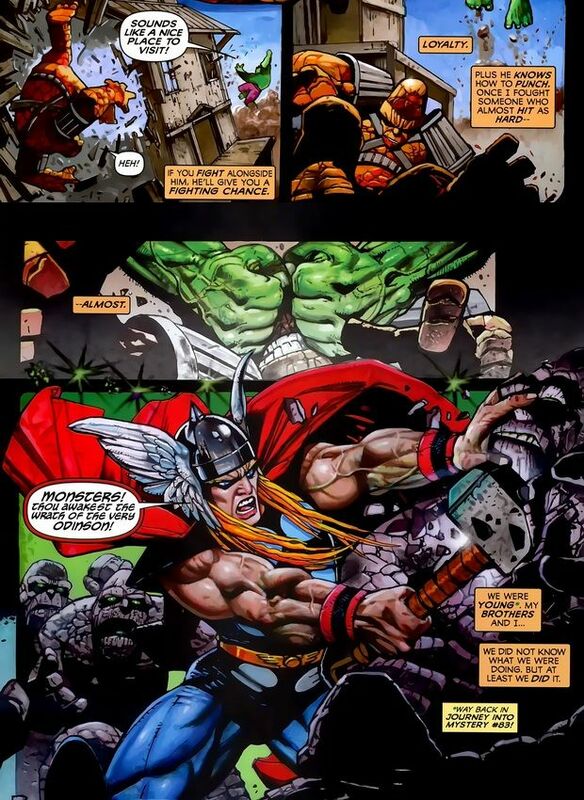 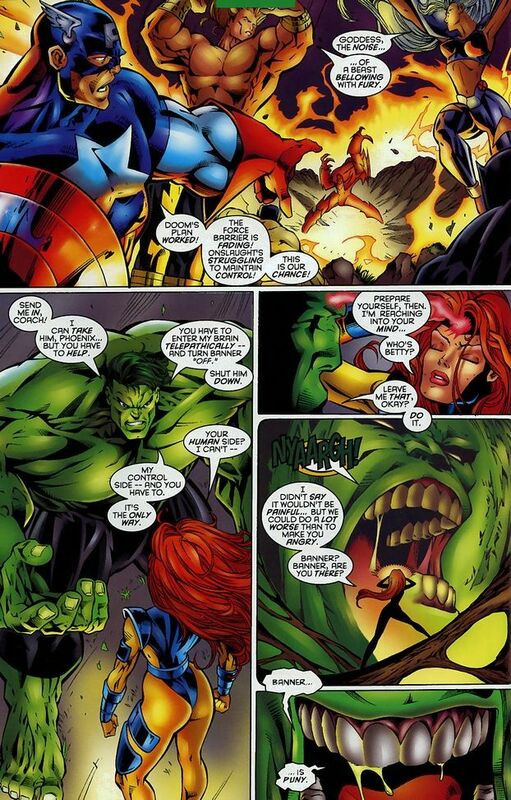 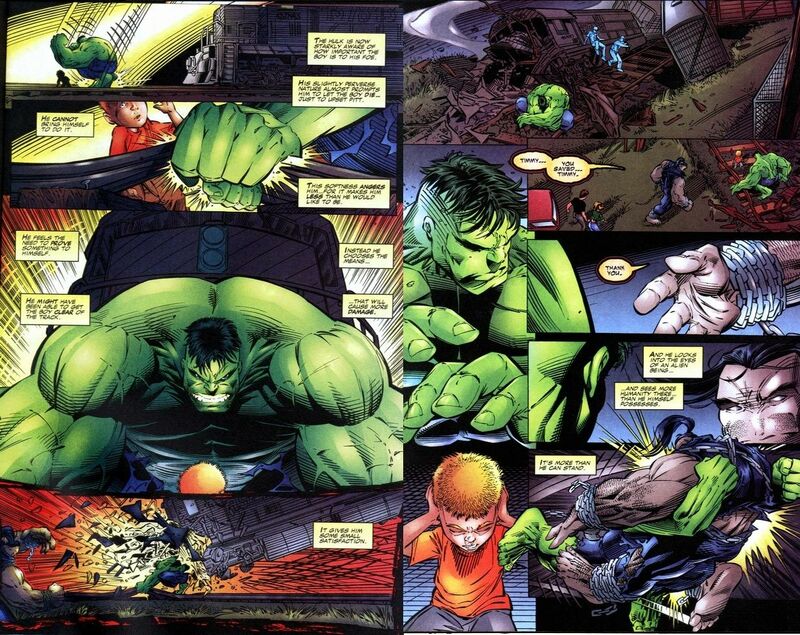 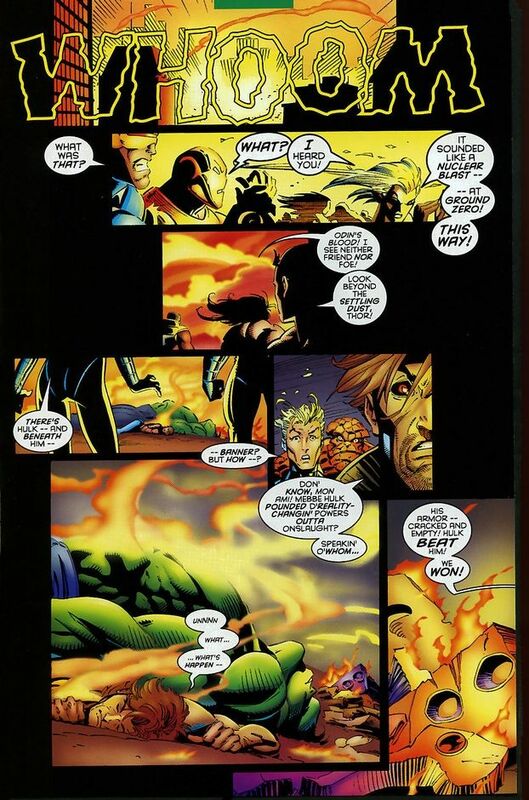 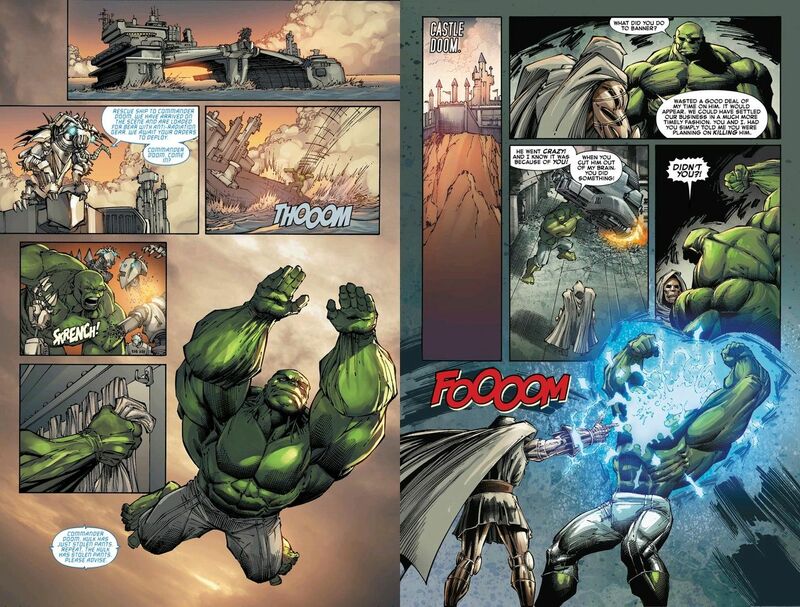 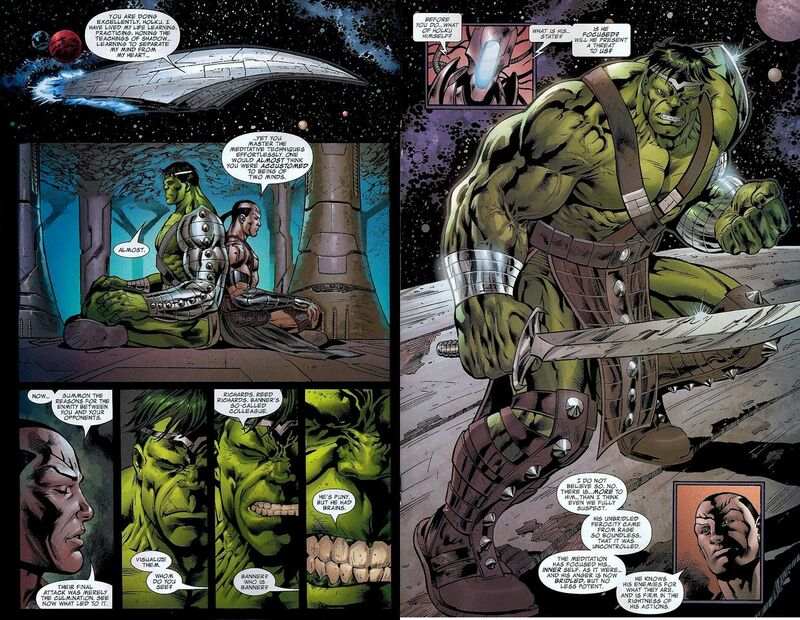 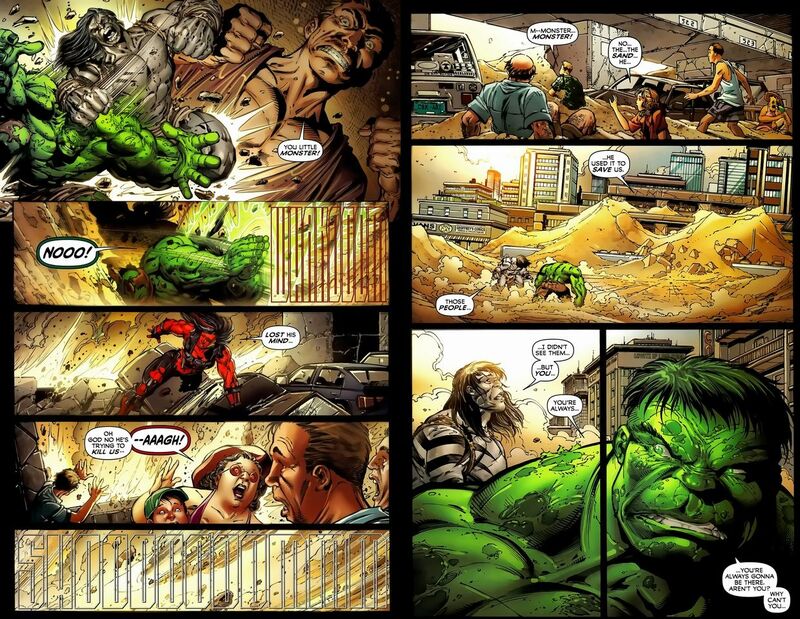 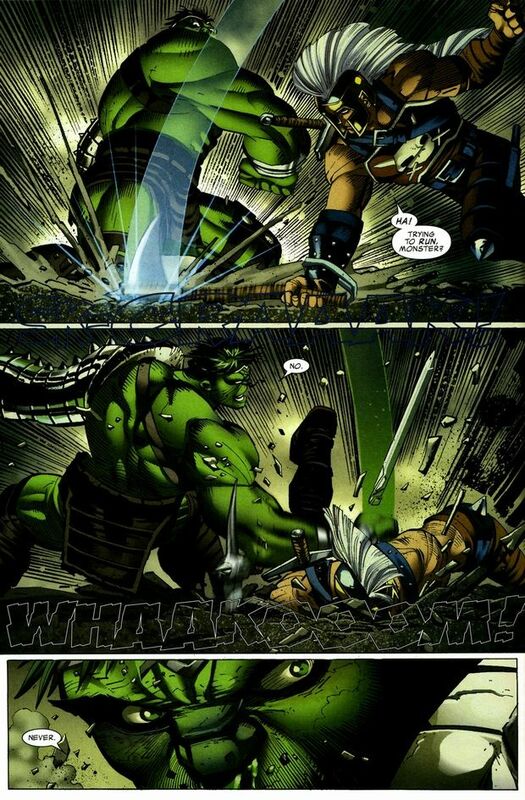 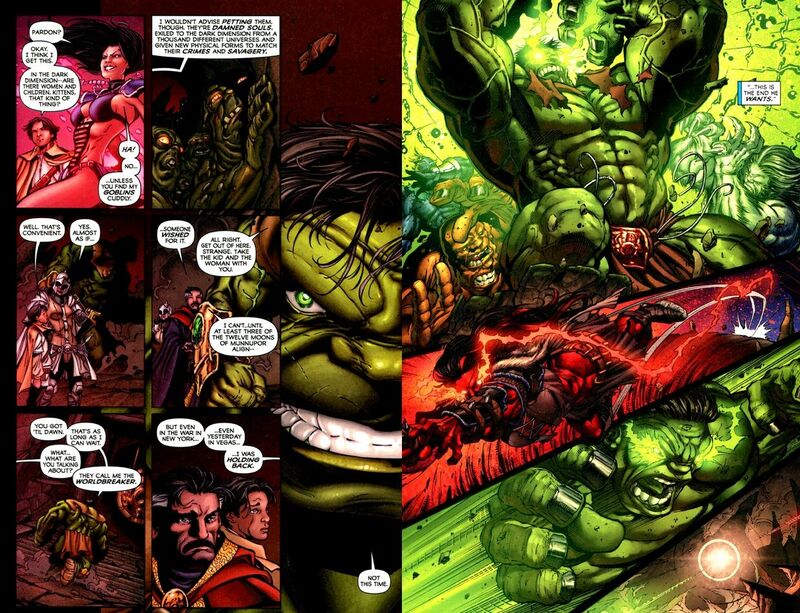 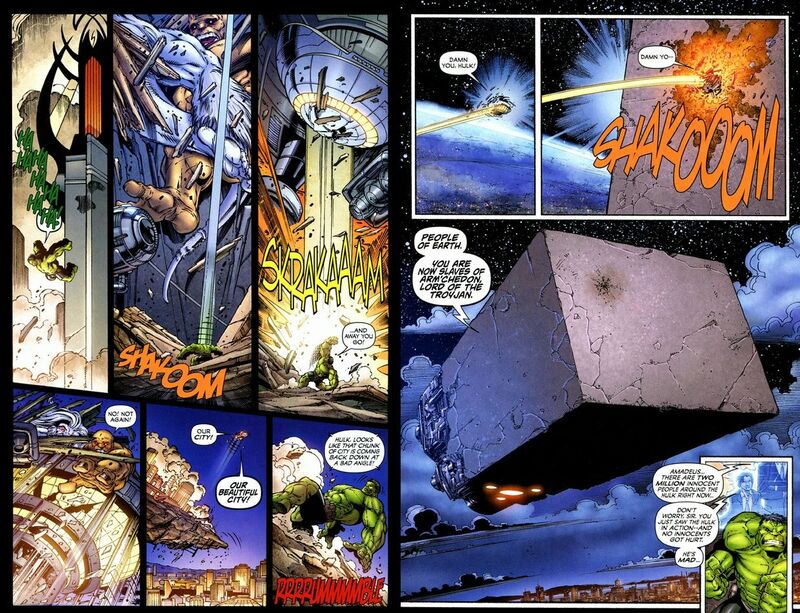 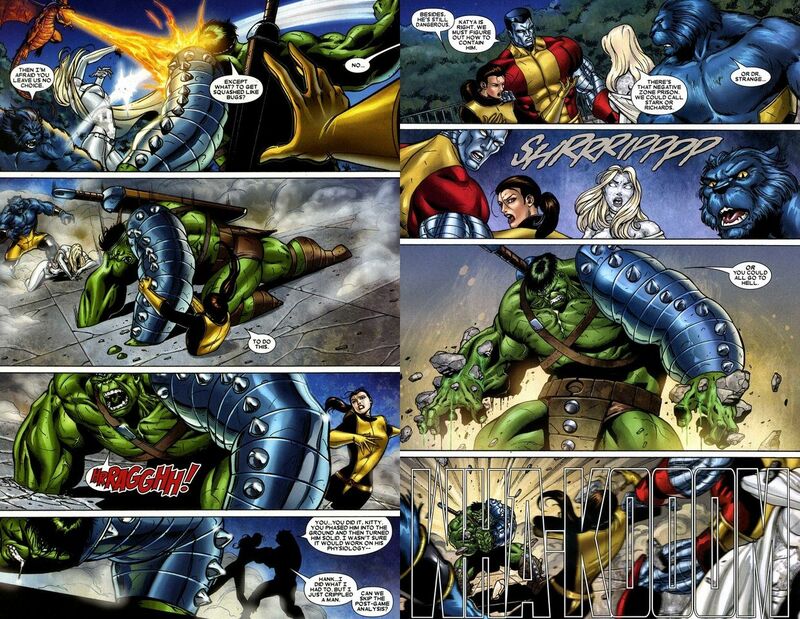 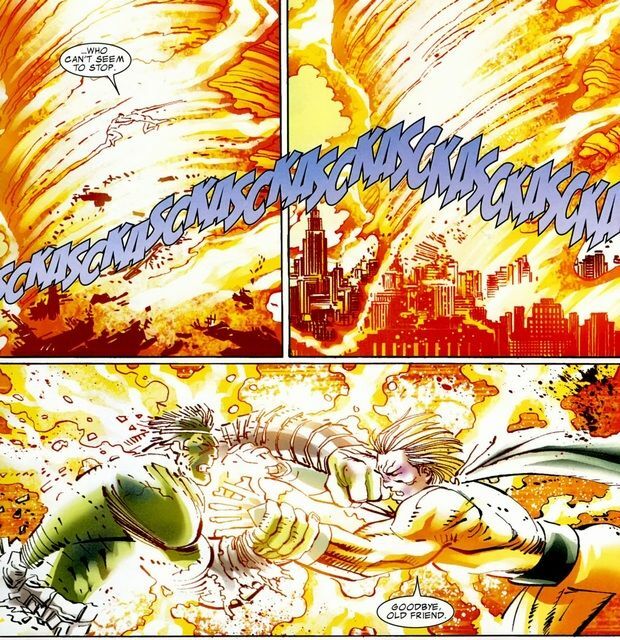 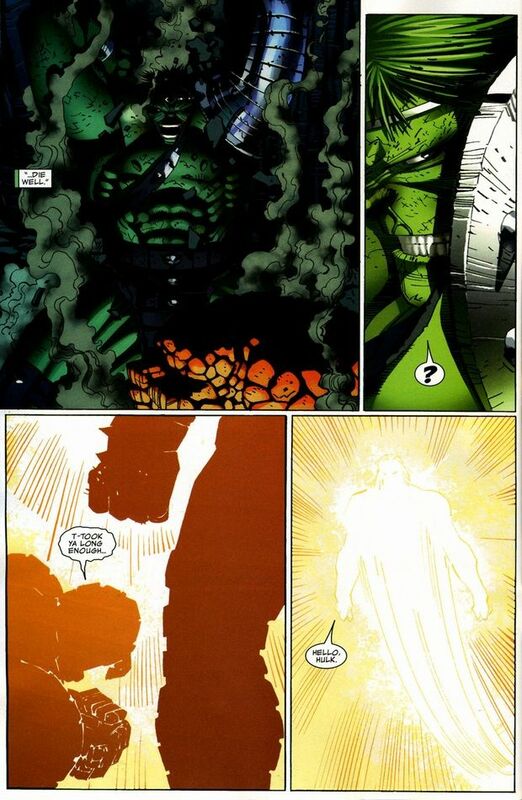 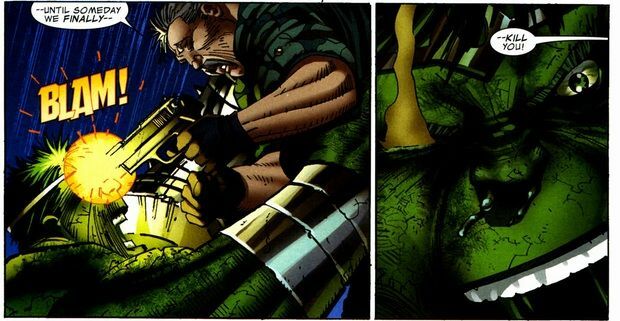 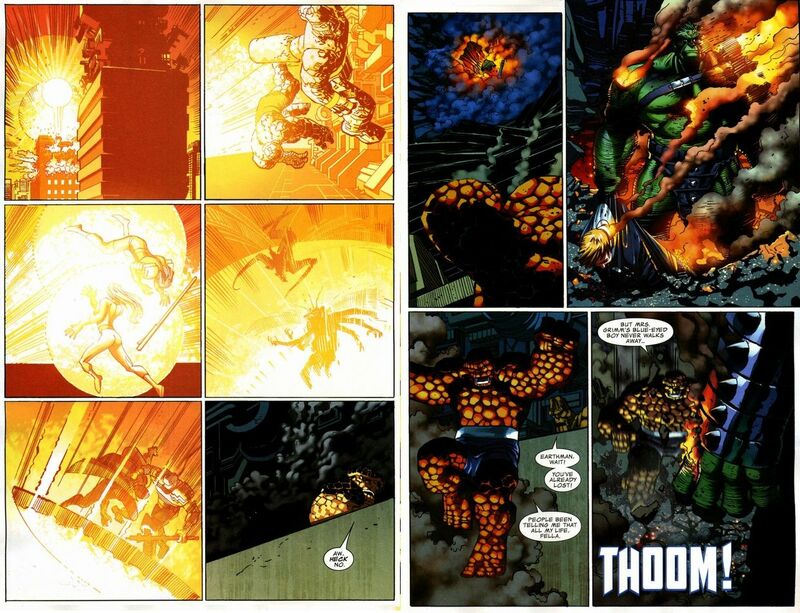 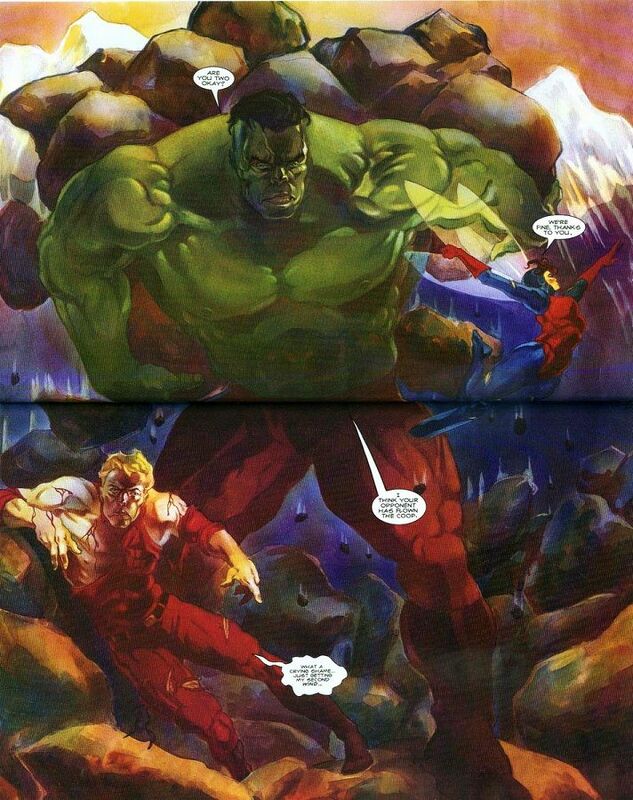 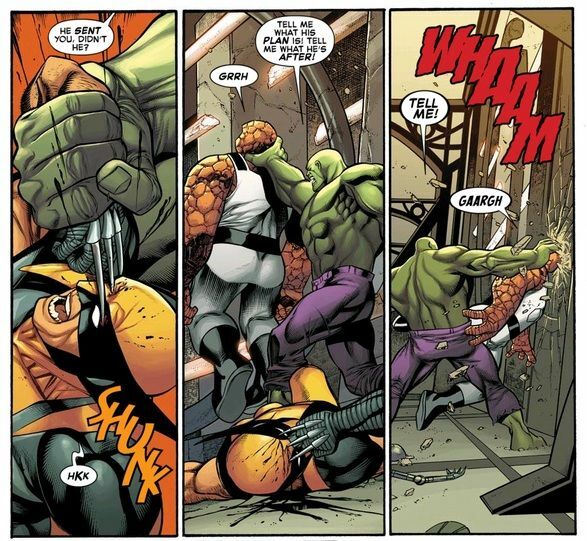 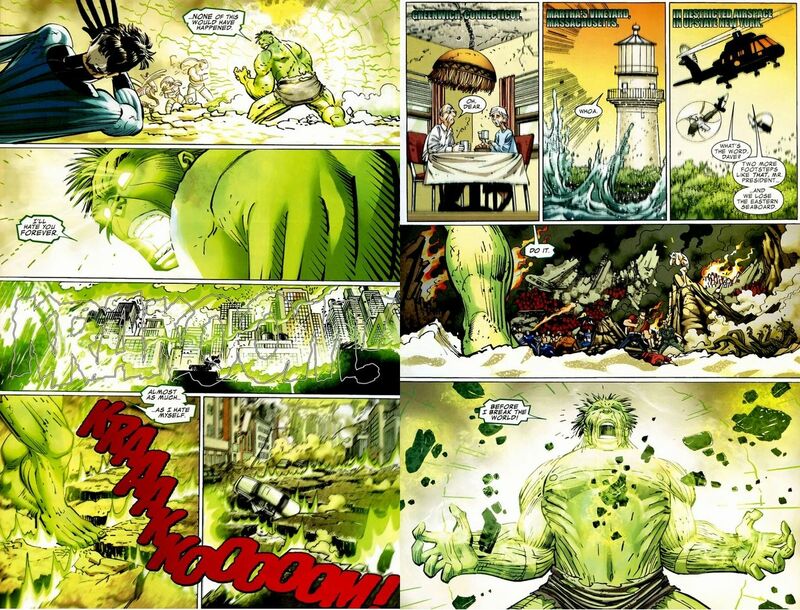 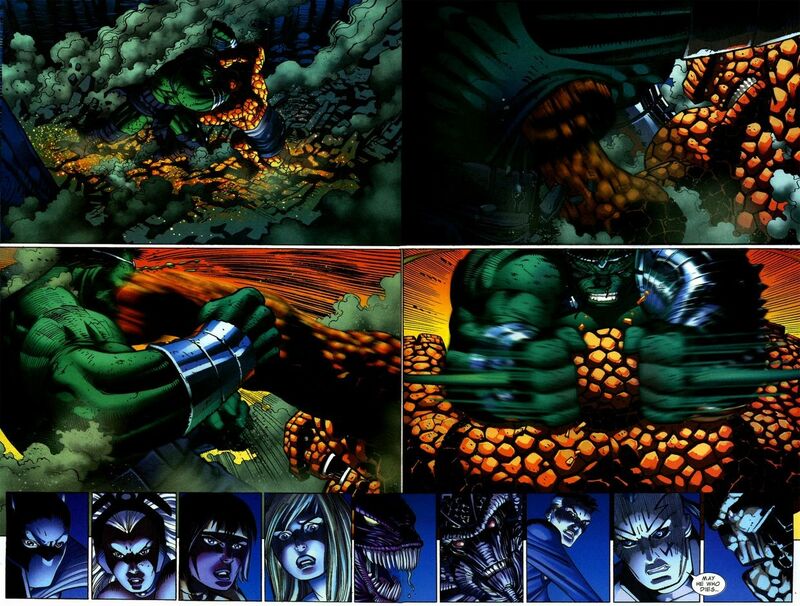 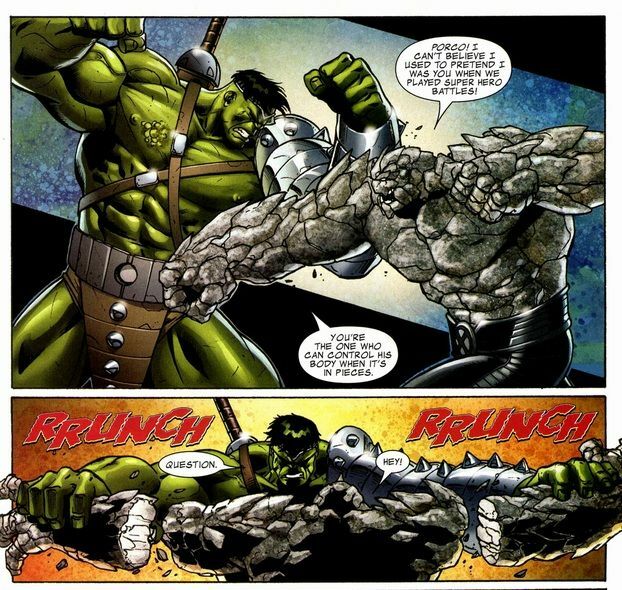 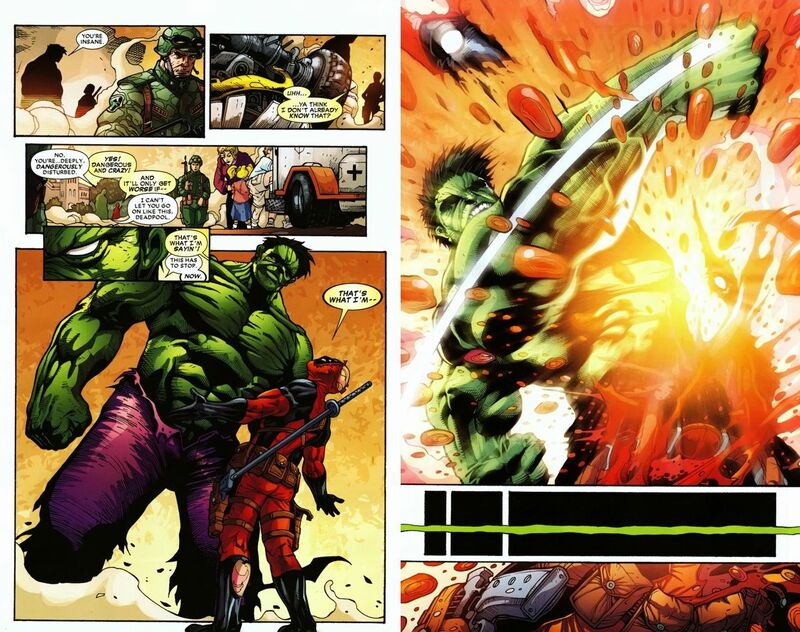 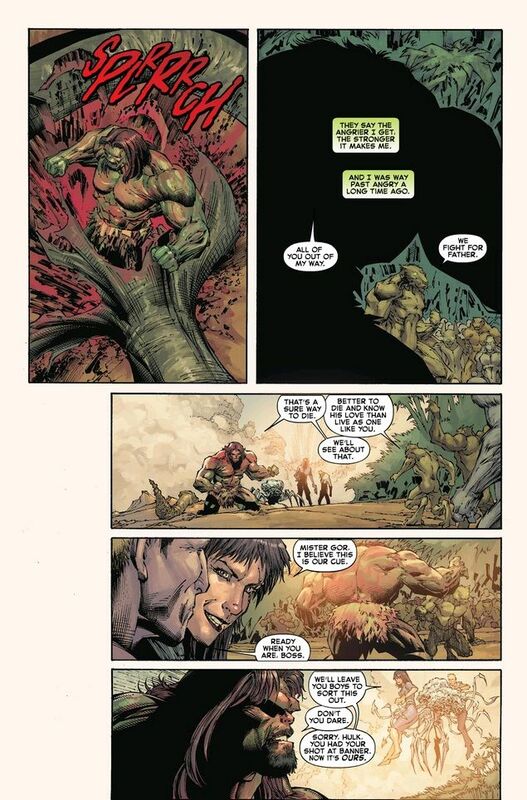 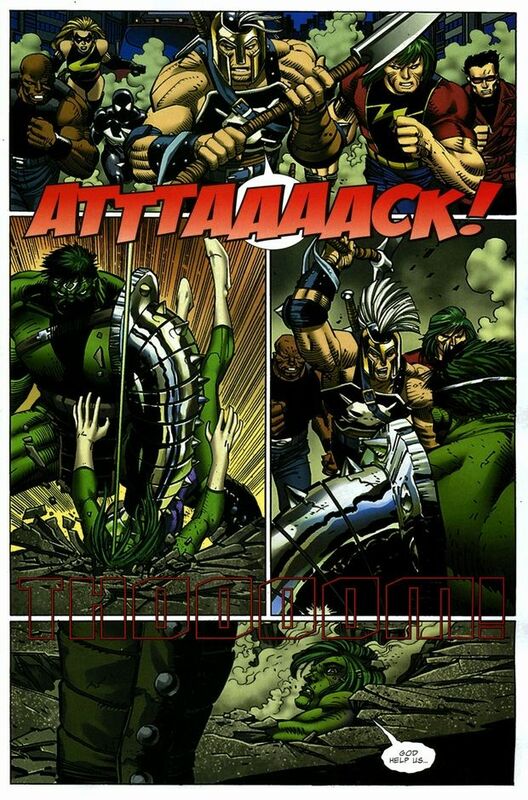 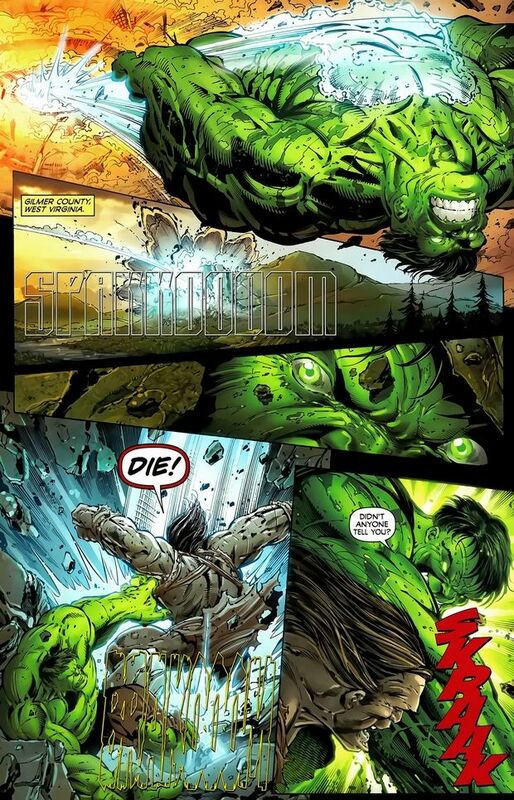 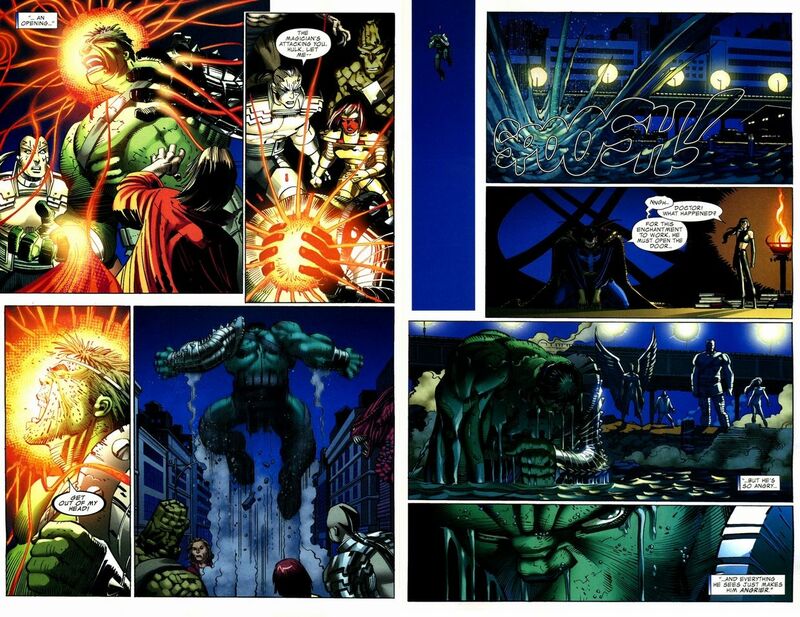 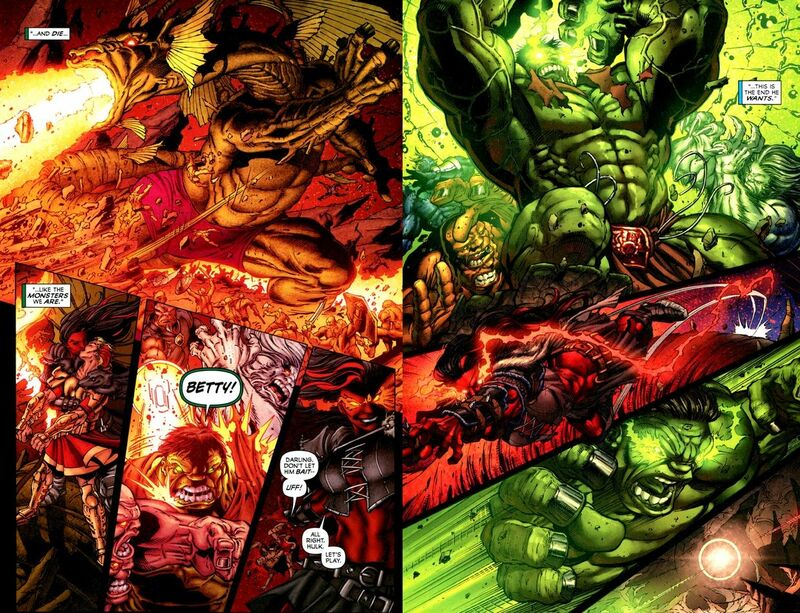 World War Hulk was the strongest Hulk ever. 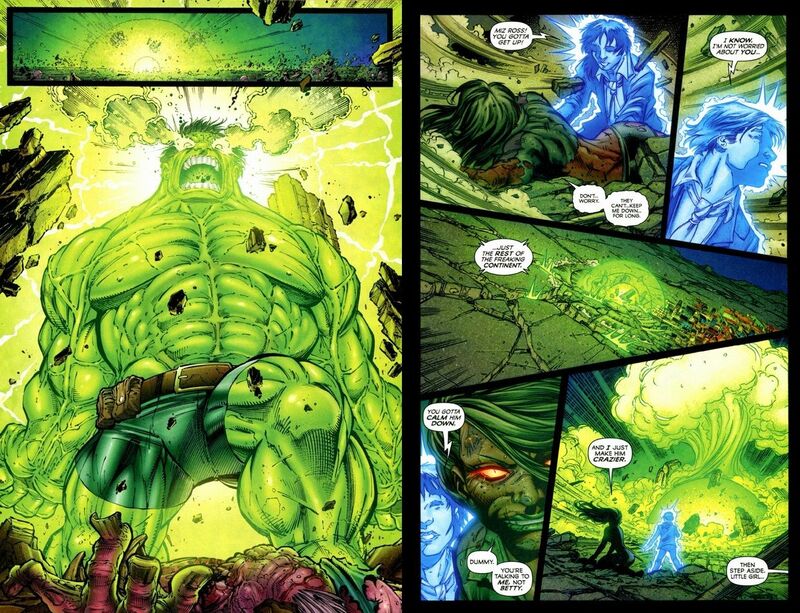 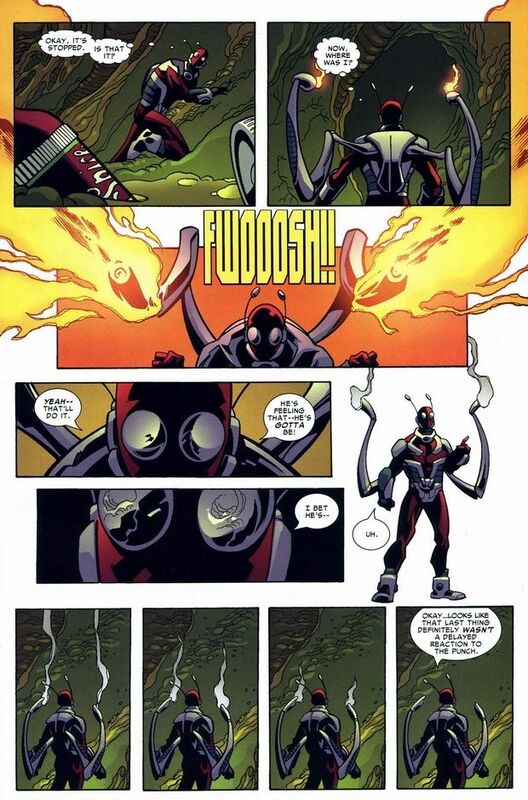 He was also the most durable and could easily be described as practically invulnerable to harm, whether it involved physical force, energy projection, temperature extremes, piercing, chemical or mental attacks.